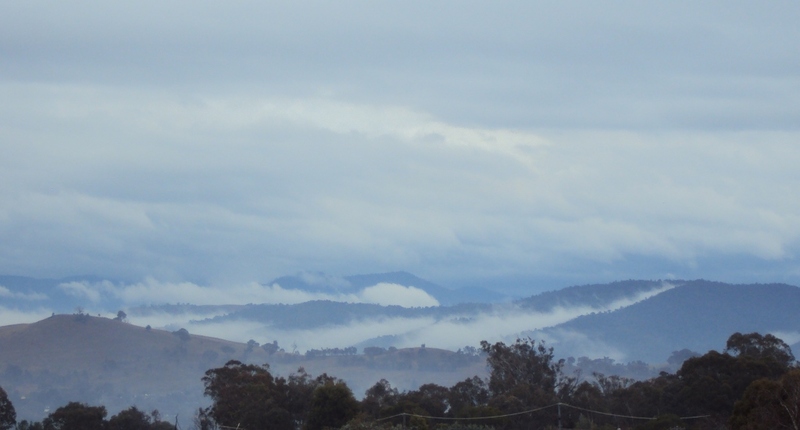 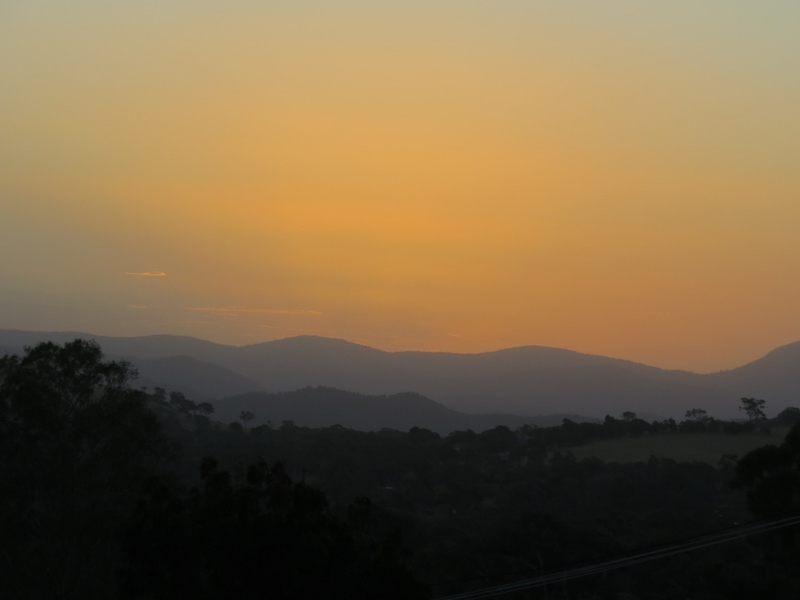 On a cold June morning, we flew out of Canberra, and four hours later we landed in a very different Australian city, Cairns, in Far North Queensland. 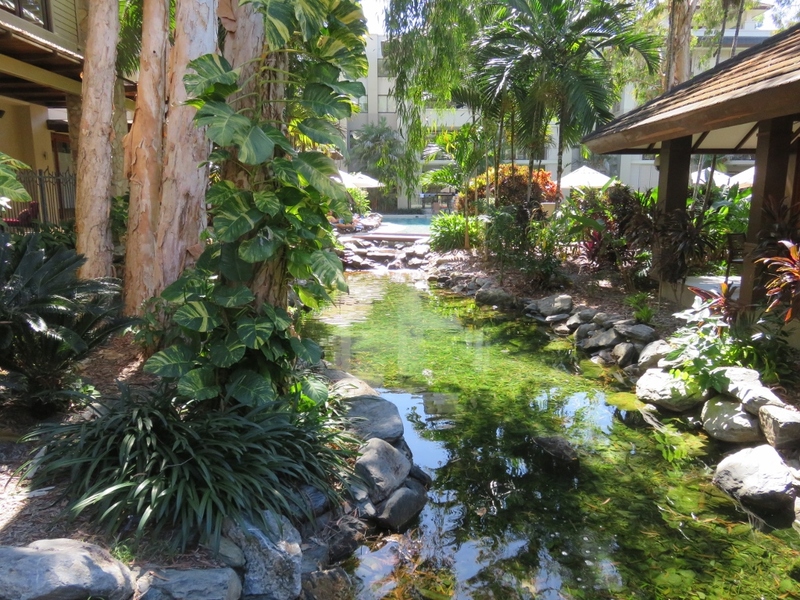 Cairns is the gateway to the Great Barrier Reef, and the Daintree Forests, part of the Wet Tropics World Heritage area. 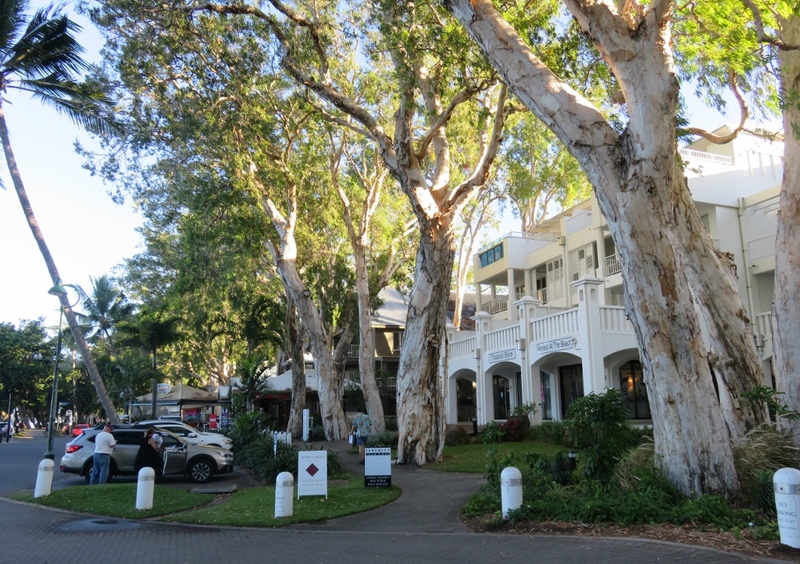 Despite its international airport and city status, Cairns has lost none of its original laid-back Queensland character. 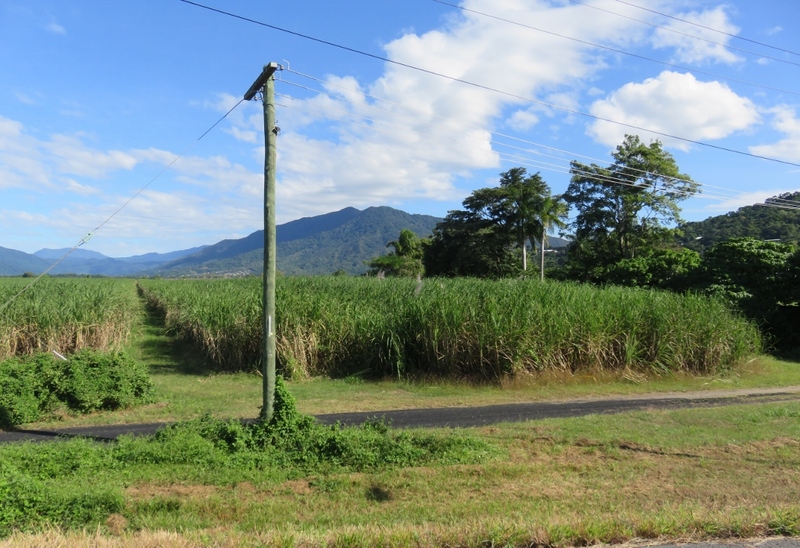 Driving from the airport there are cane farms on either side of the road, and some original old Queensland houses dotted around the countryside. 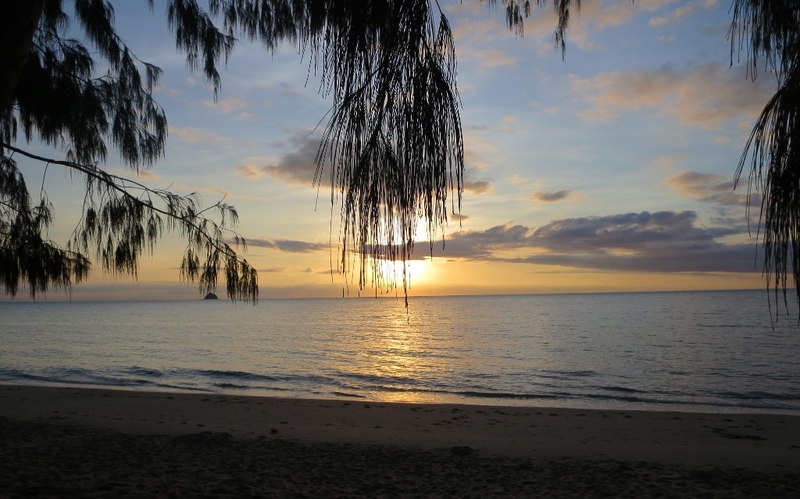 We are heading just a short distance away to our favourite spot, Palm Cove…where the winter temperatures at this time of the year are around 14 degrees to 26 degrees. 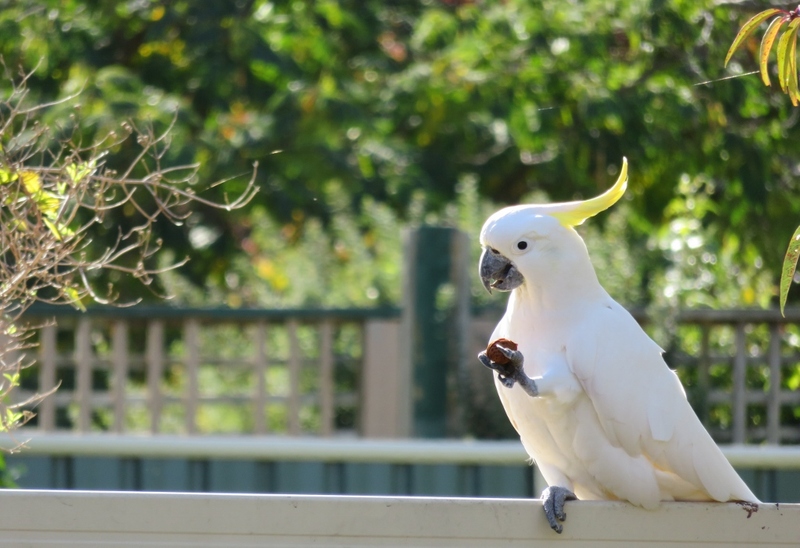 We have been visiting Palm Cove with our family for about twenty years. 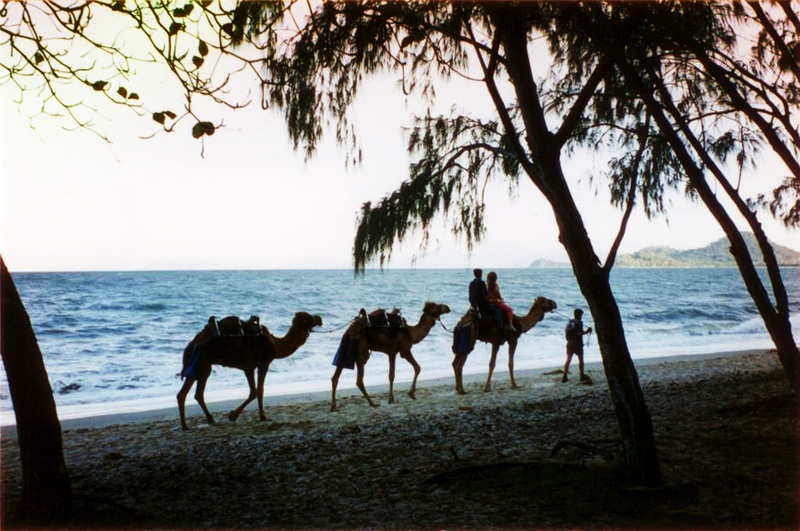 When our children were young, you could take camel rides along the beach, and an old hippie had a little wooden stand where you could have a foot massage…..those were the days! 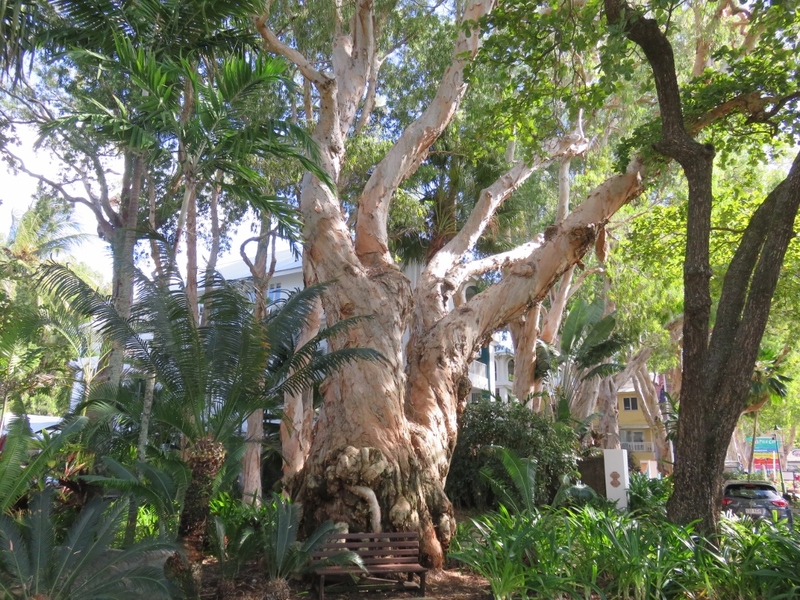 However, Palm Cove’s signature for me, are the most incredible Paperbark Melaleuca trees. 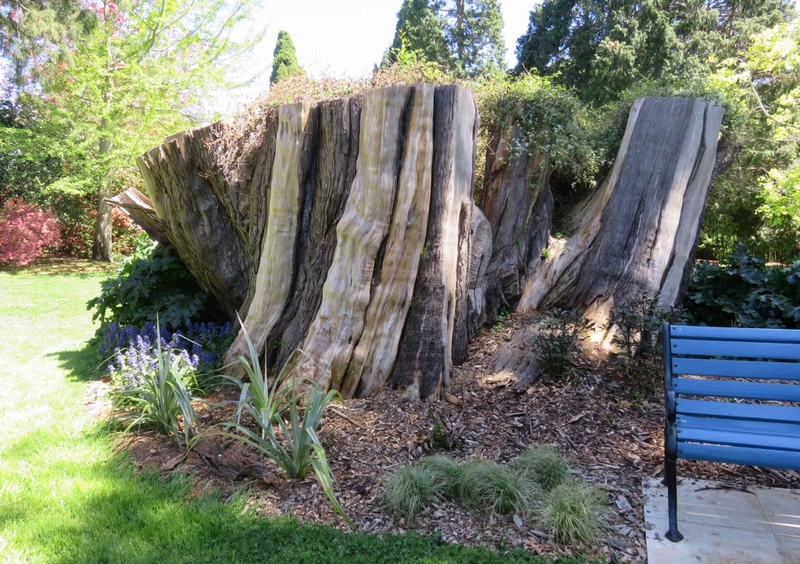 The trunk of the tree is layered with papery bark, which is in a continuous process of peeling and replacing. 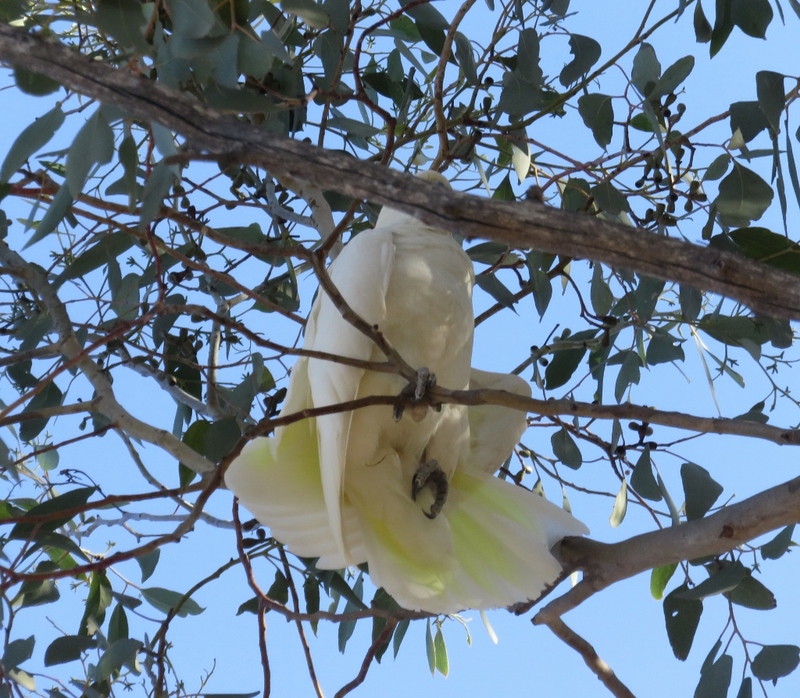 In a monsoonal tropical climate like Palm Cove, this discourages parasites from getting a hold on the tree. 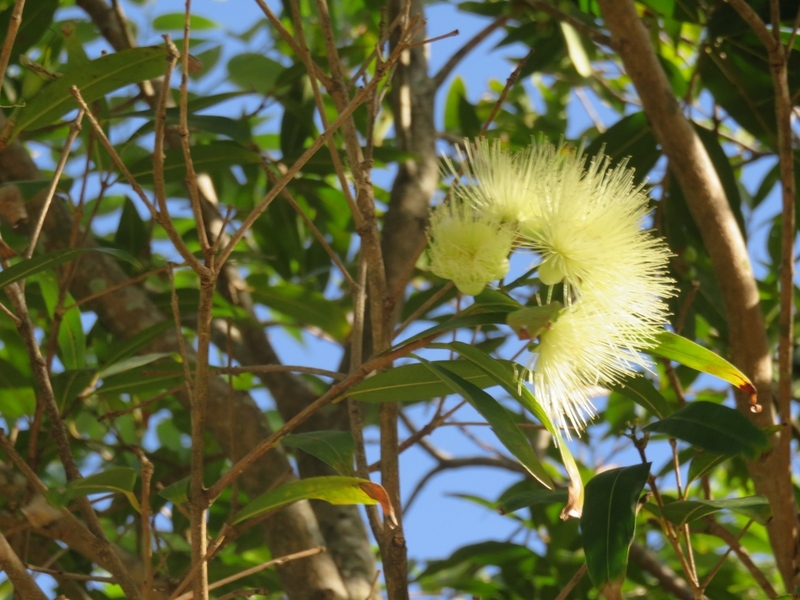 Tea tree oil is distilled from the fresh leaves and twigs of the Melaleuca, and come to think of it, this is probably what the hippie used, all those years ago, for his foot massages. 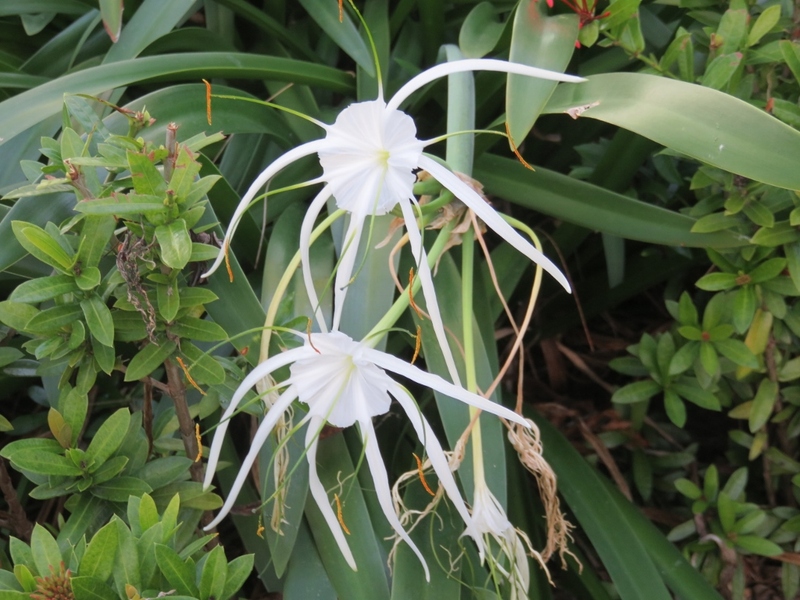 These distinctive Melaleucas were here when Captain James Cook sailed his ship, the Endeavour, within three leagues of the Palm Cove foreshore on 10 June 1770….some of the species are reported to be over 400 years old. 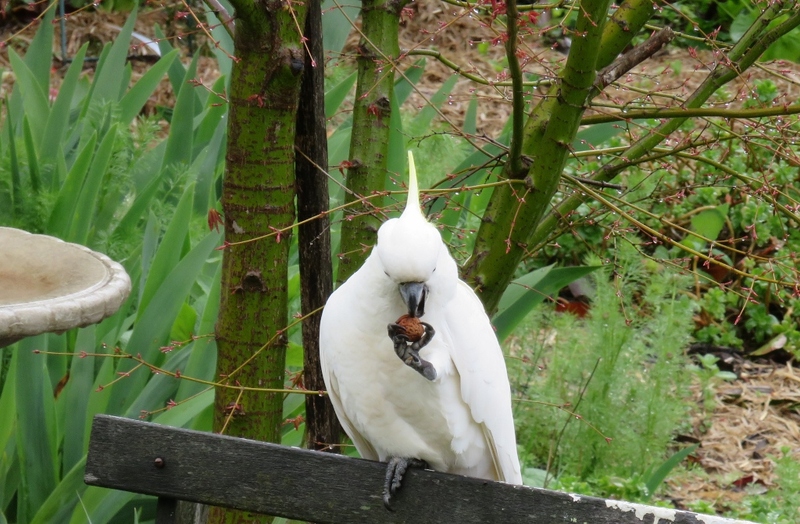 It is said that Captain Cook tried using the oil from the leaves to make tea, as a possible way of preventing scurvy. 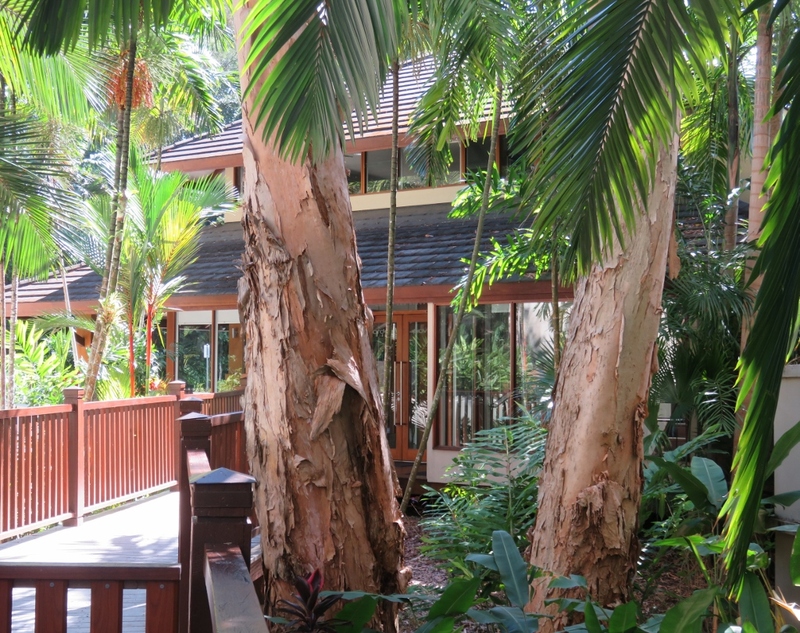 The beauty of the Paperbark Melaleucas in Palm Cove is the seamless way the buildings, paths and people fit around the trees. 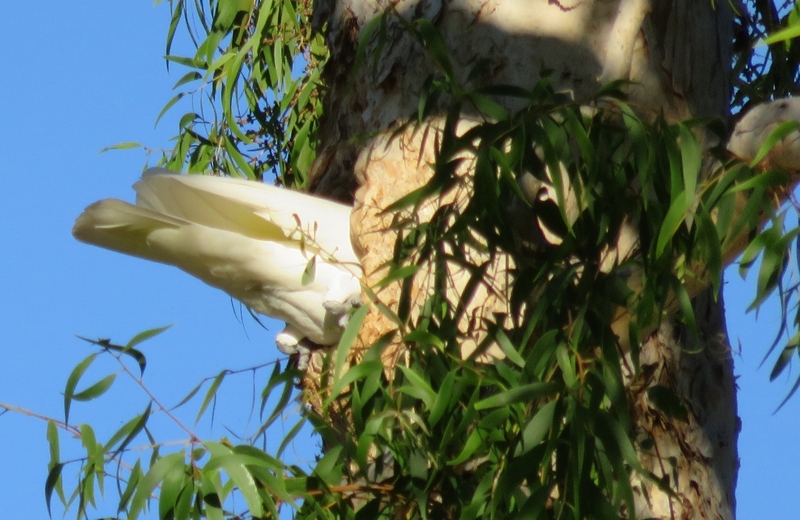 I have read that the local council regulated, many years ago, that buildings in Palm Cove could not be built higher than the Melaleucas…what a visionary decision! 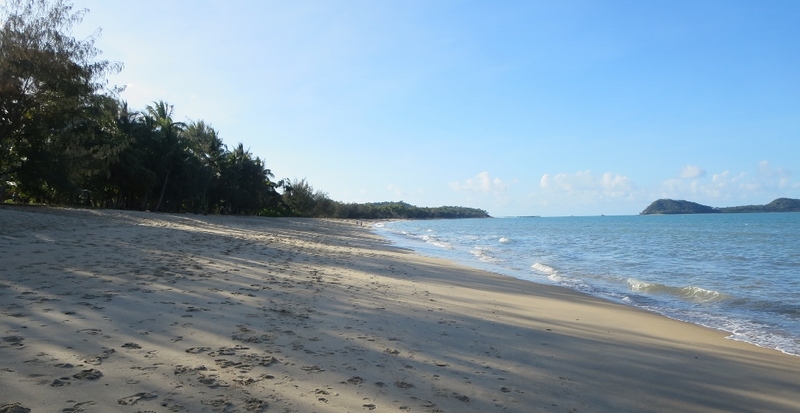 Palm Cove will never be one of the many beaches lined by generic high rise buildings, all looking exactly the same. 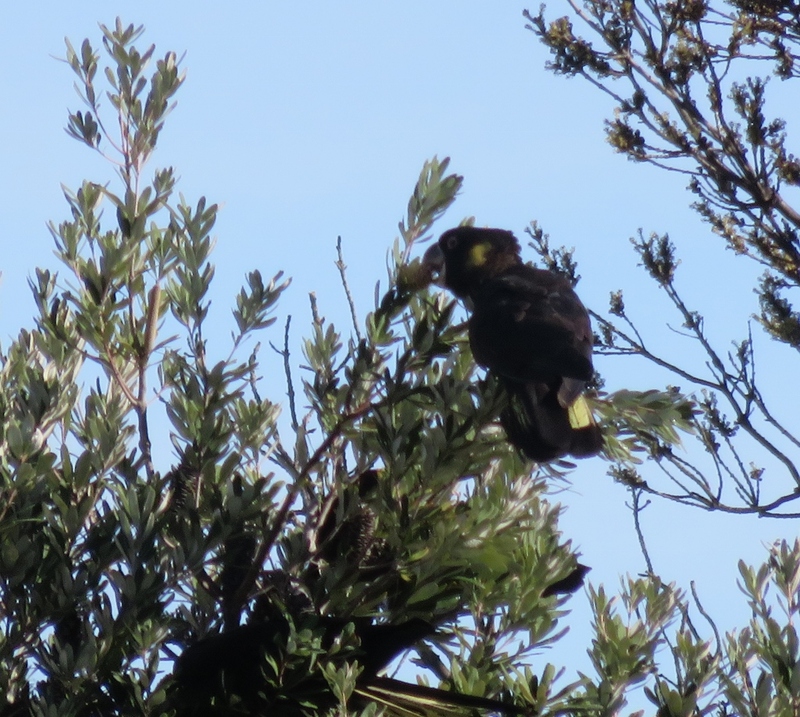 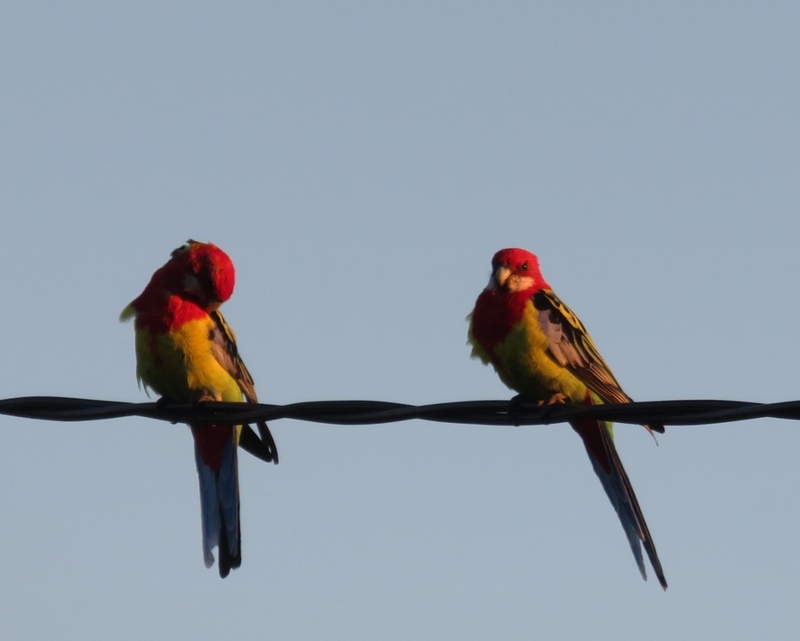 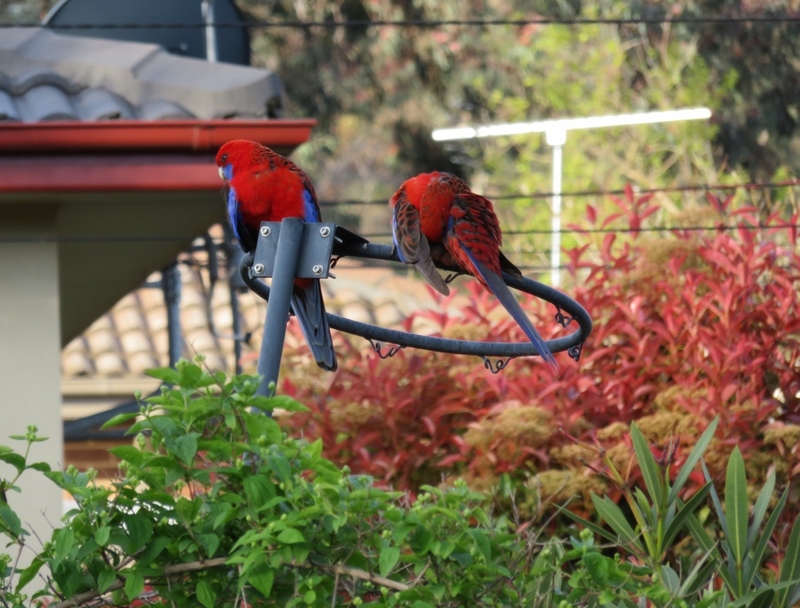 Rainbow lorikeets, the busy noisy local parrots in this area, are regular visitors to the trees, as are honey eaters, sunbirds, fruit bats, native bees and many other species that feed on the Paperbark trees. 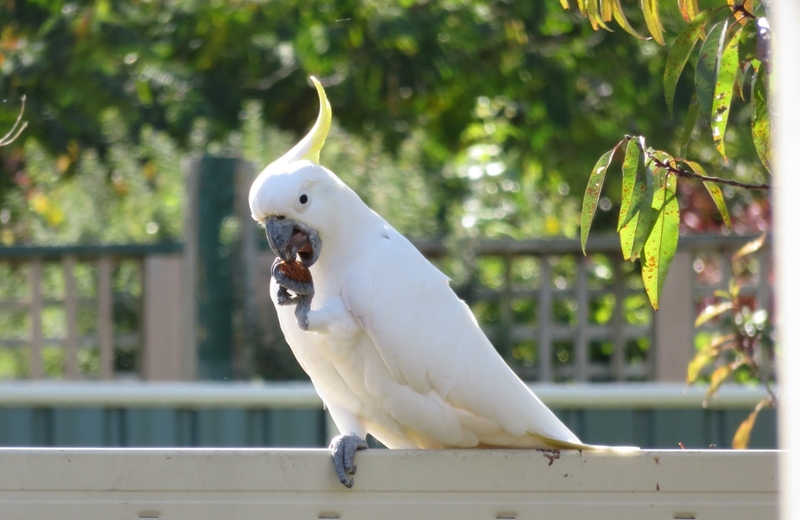 My apologies, I couldn’t find a Rainbow Lorikeet in Palm Cove the day of taking photos, so I had to borrow a busy Lorikeet from a trip we did to Sydney’s Centennial Park. 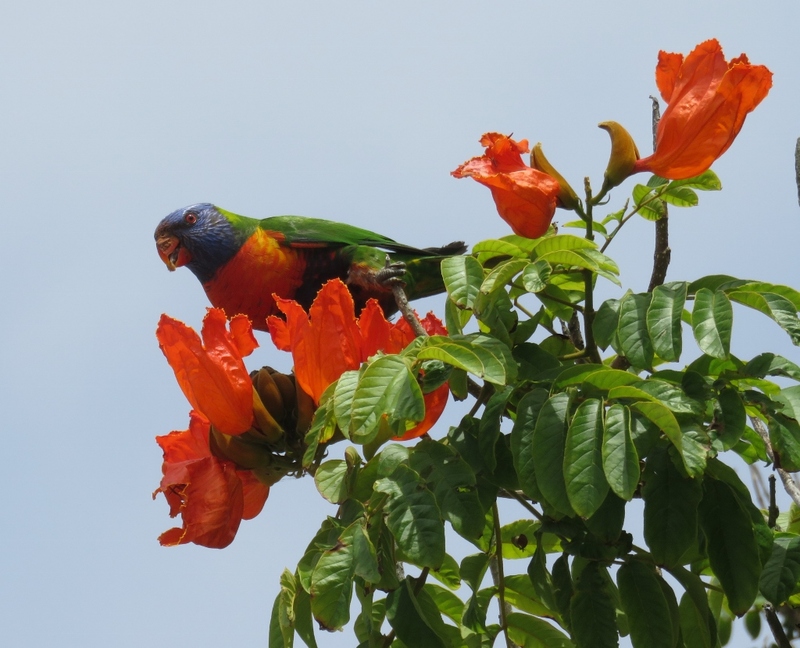 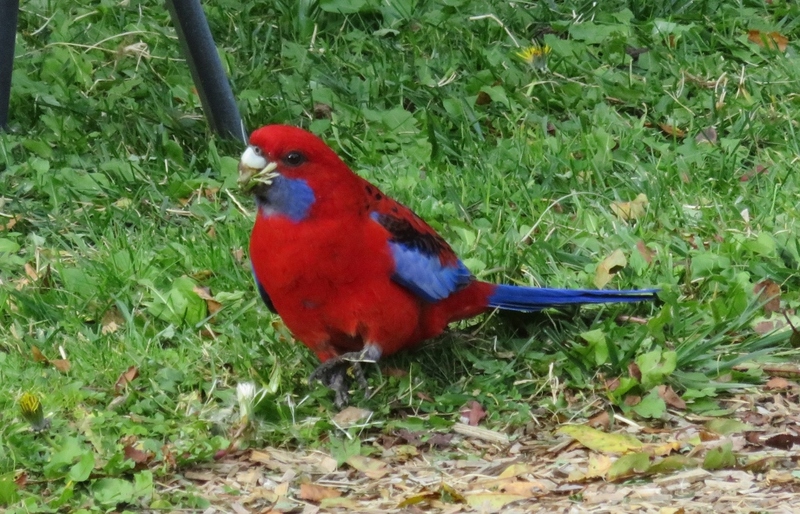 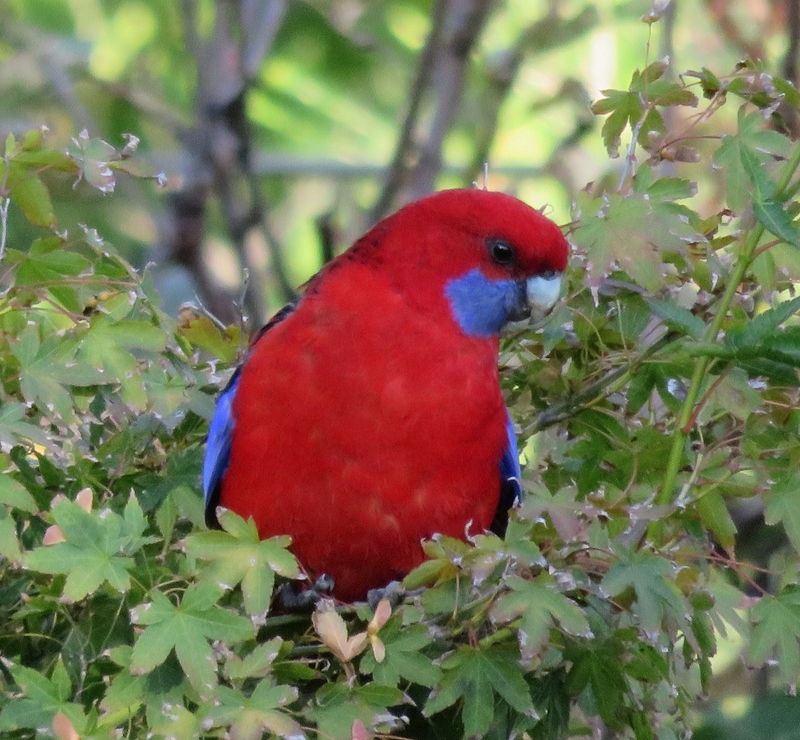 This Lorikeet is feeding on equally striking flowers from a tree called Cape Tulip Red, originally from Africa, but also very common in the warmer parts of Australia. 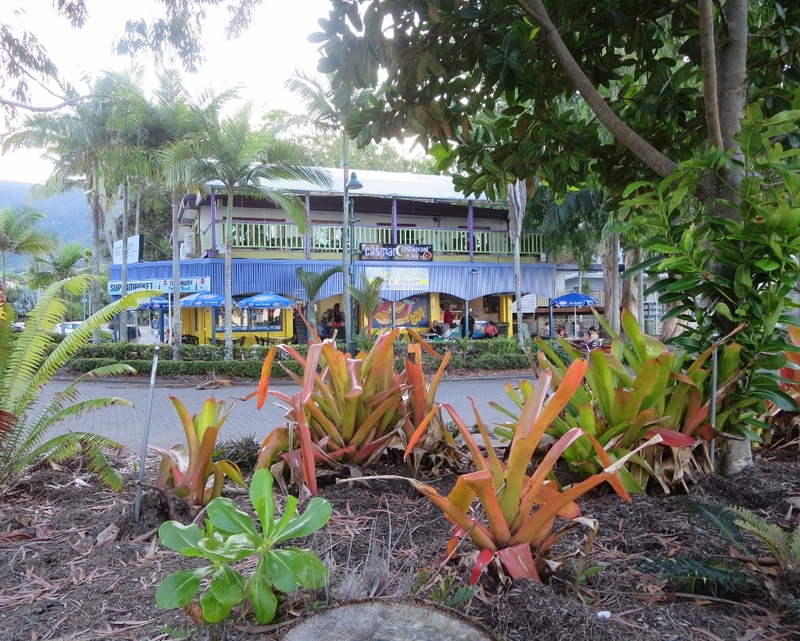 The camels and hippies have gone, but, thank goodness some things stay the same, Pete’s Place, with the best fish and chips in Palm Cove. 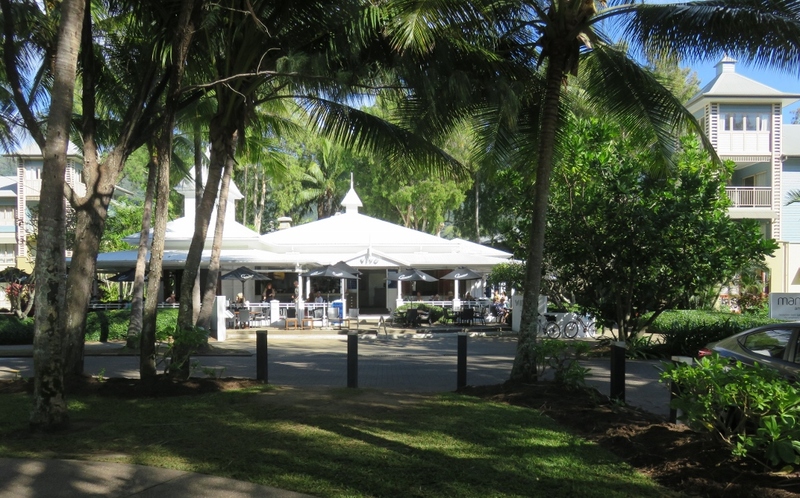 Barramundi is a locally caught fish here, and is absolutely out of this world….may it never change. 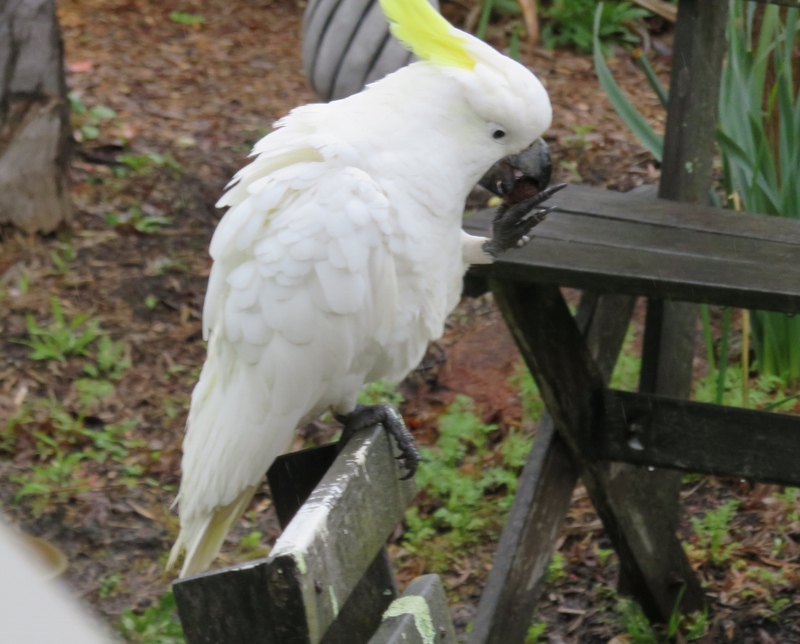 I haven’t got a photo of any of our fish and chip meals because they were eaten so fast! 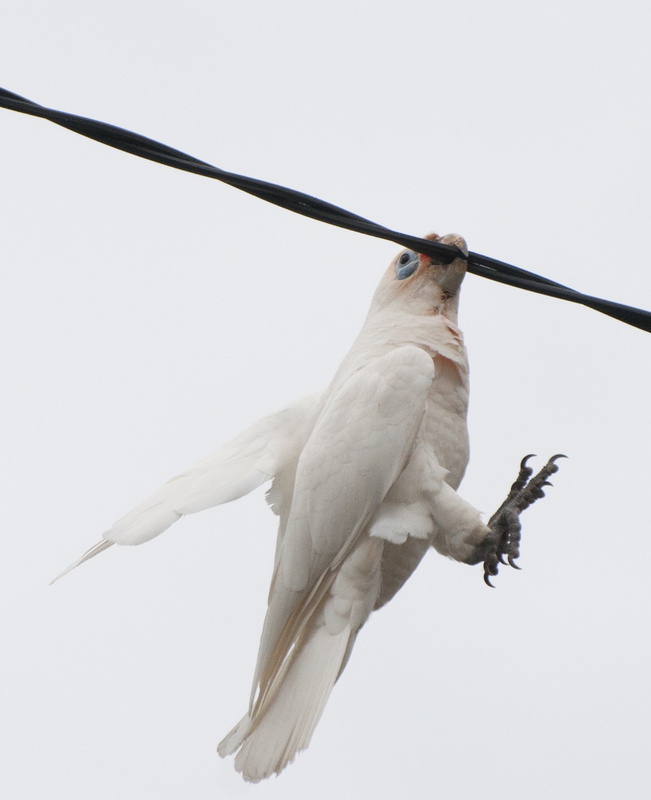 Not even a cockatoo winging in like a Boeing 747 could ruin an evening walk on Palm Cove beach. 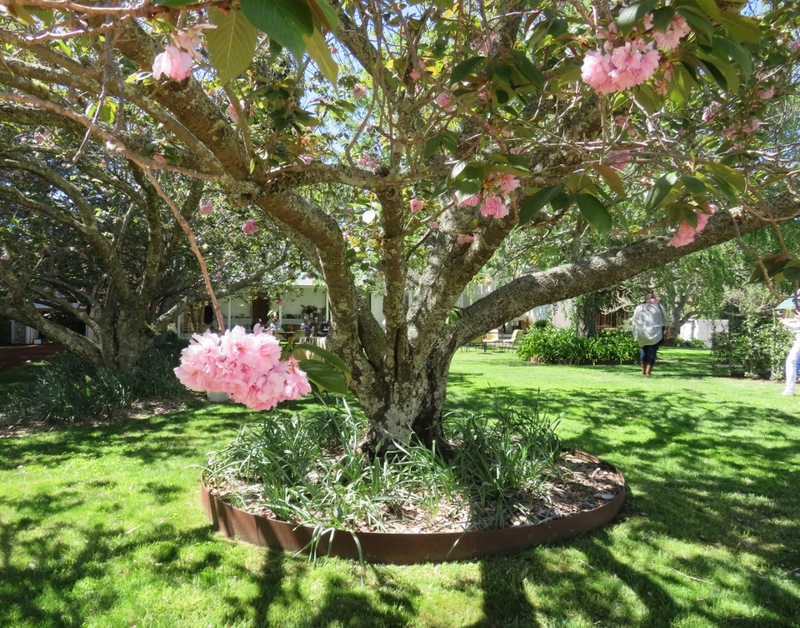 I hope you are enjoying your good fortune if it is summer in your part of the world, and if you are in the middle of winter, as Monty Don says, make it a restorative time. 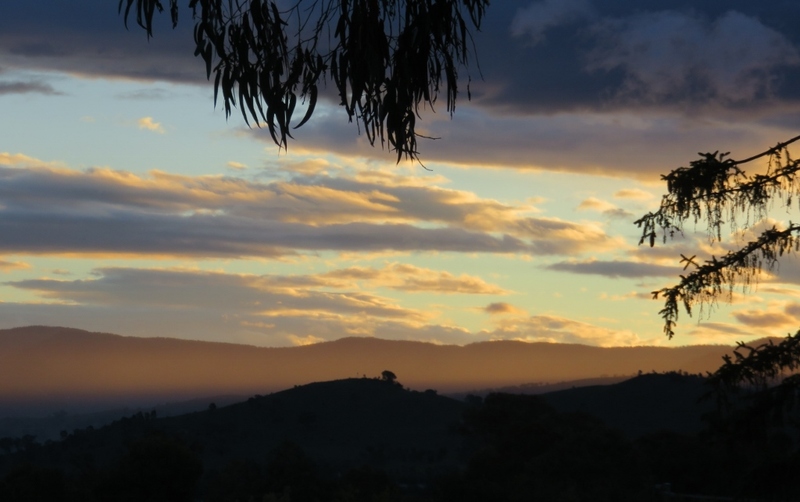 Copyright:Geraldine Mackey: All Rights Reserved. 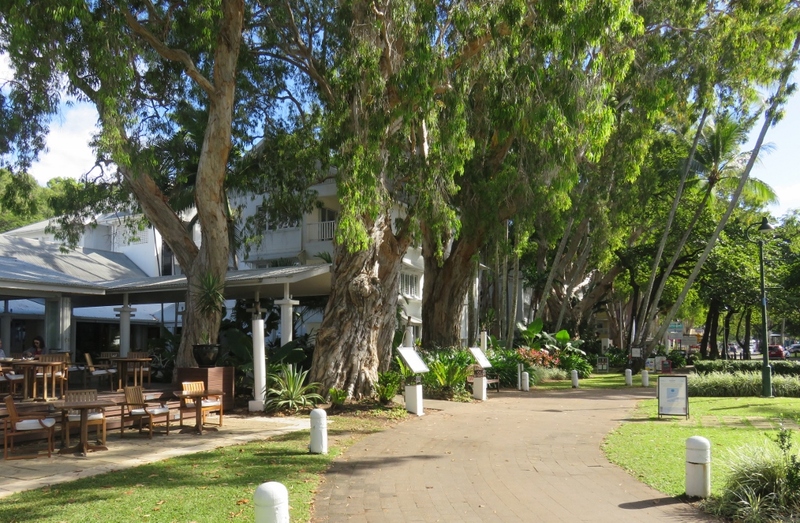 This entry was posted in Queensland's Green Spaces and tagged Barramundi fish and chips, Cairns, camels, Canberra, Captain Cook, cockatoos, Daintree Rainforests, Far North Queensland, flowers, Great Barrier Reef, Melaleuca Trees, Palm Cove, Paperbark trees, tea tree oil, Wet Tropics World Heritage on June 30, 2017 by germac4. 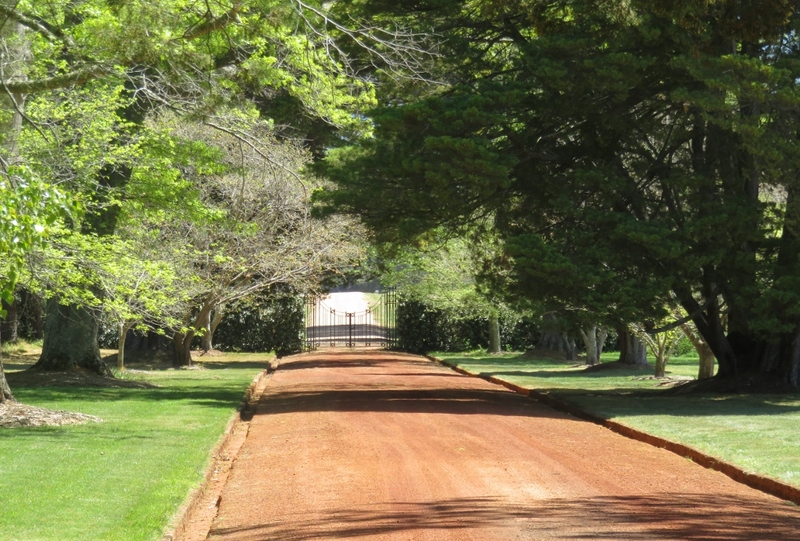 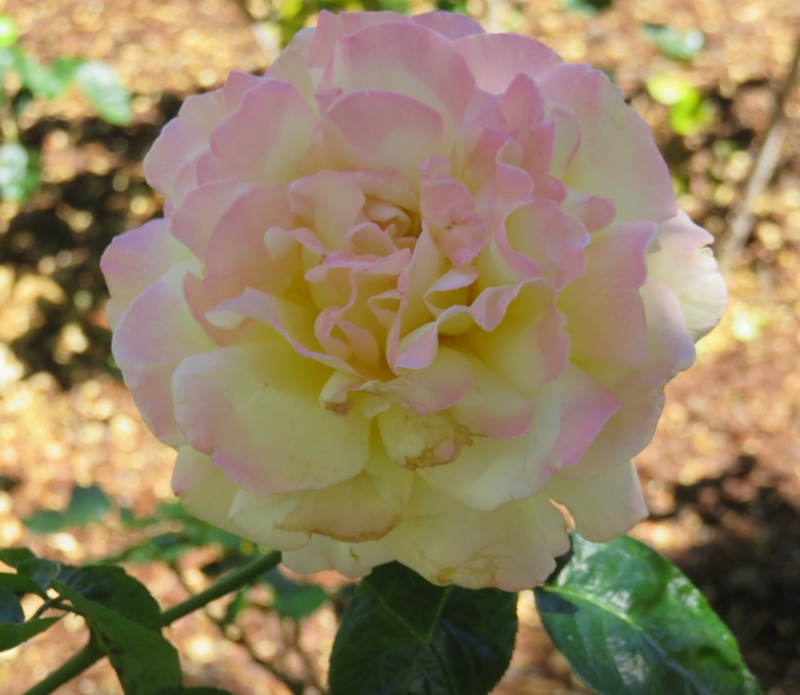 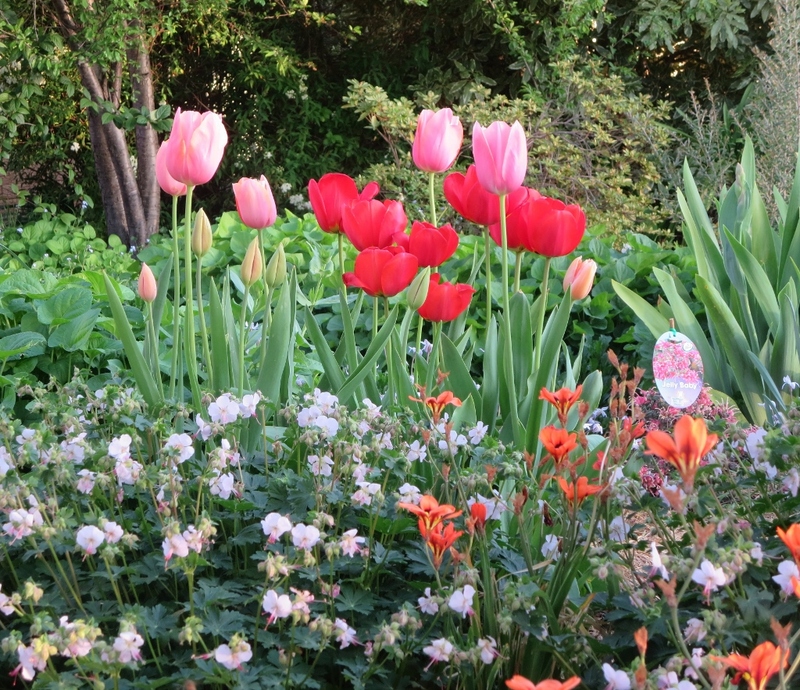 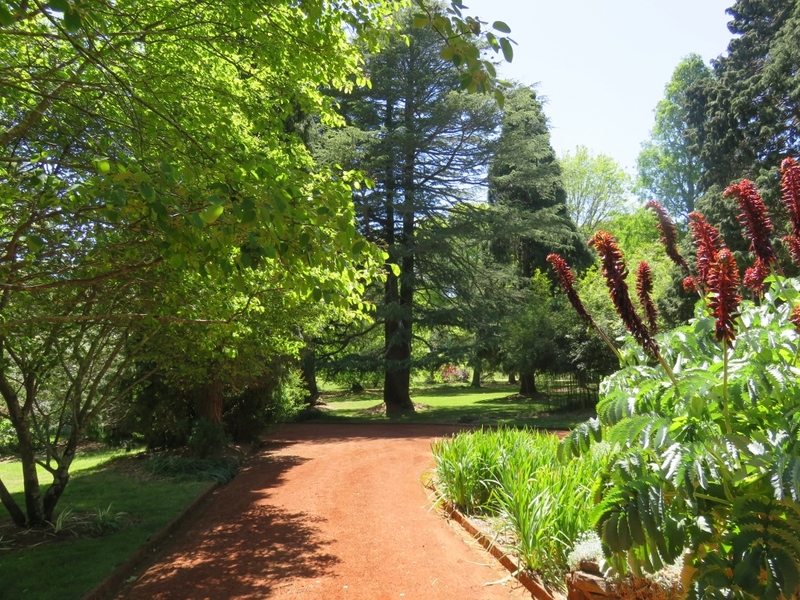 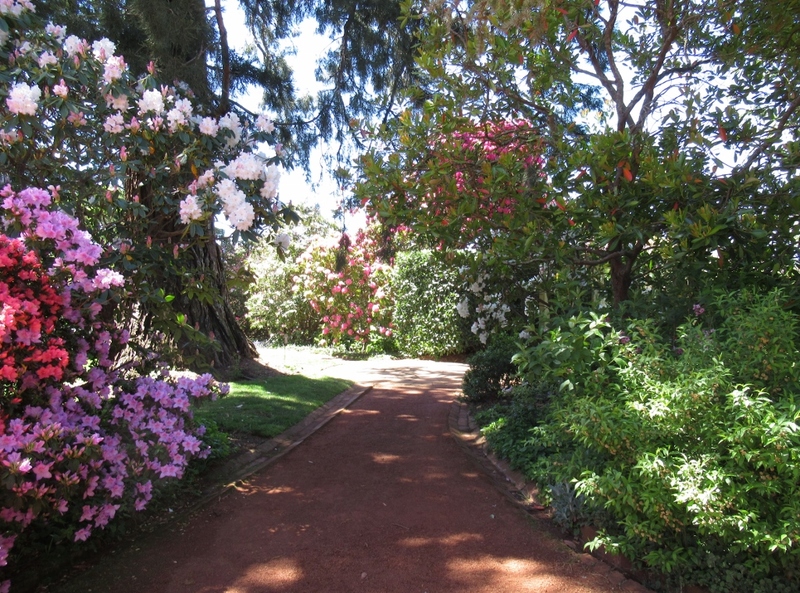 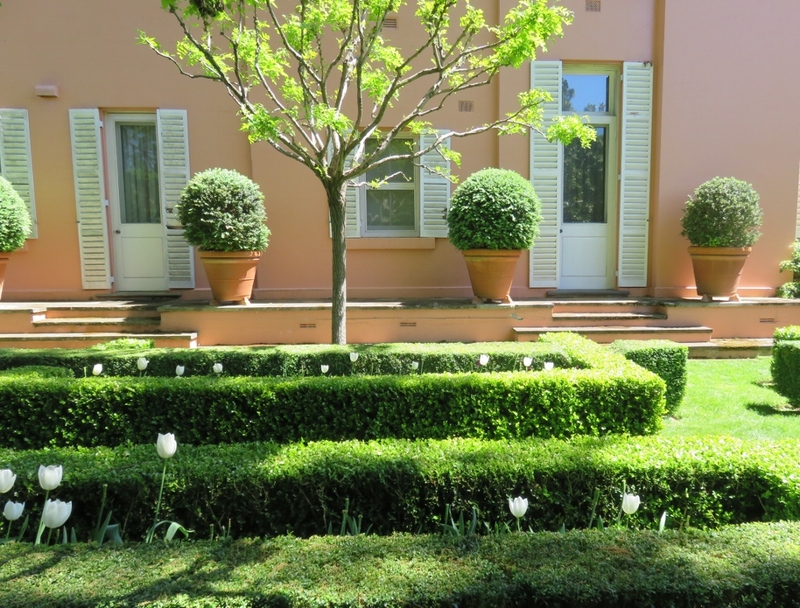 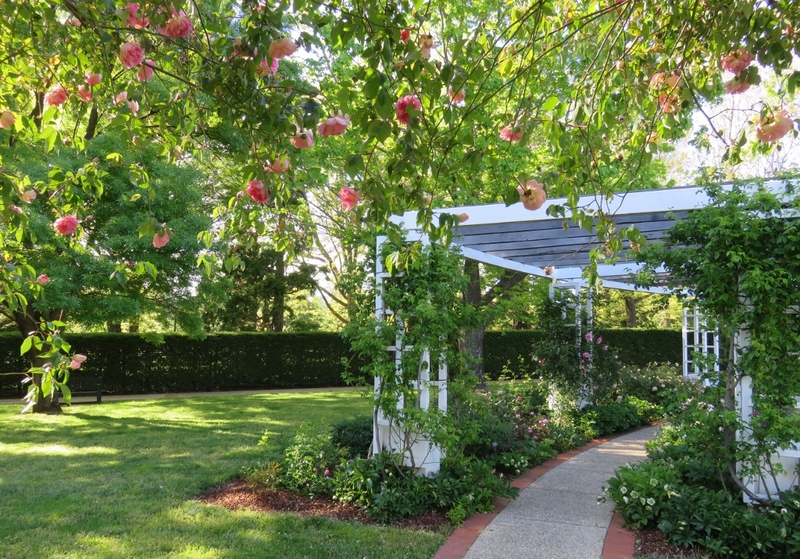 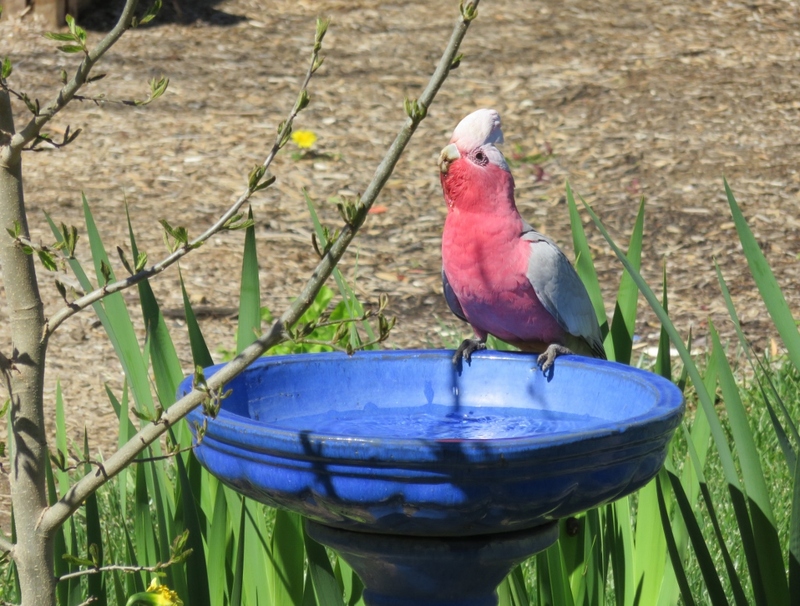 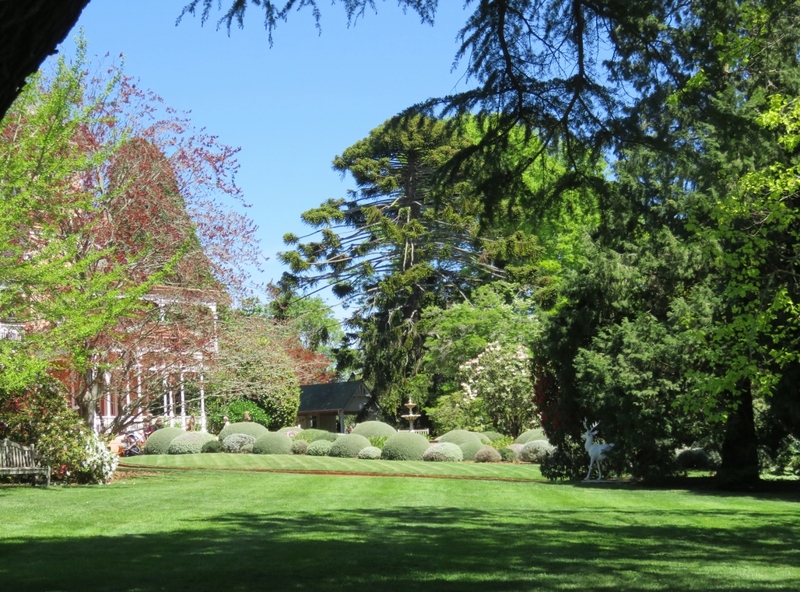 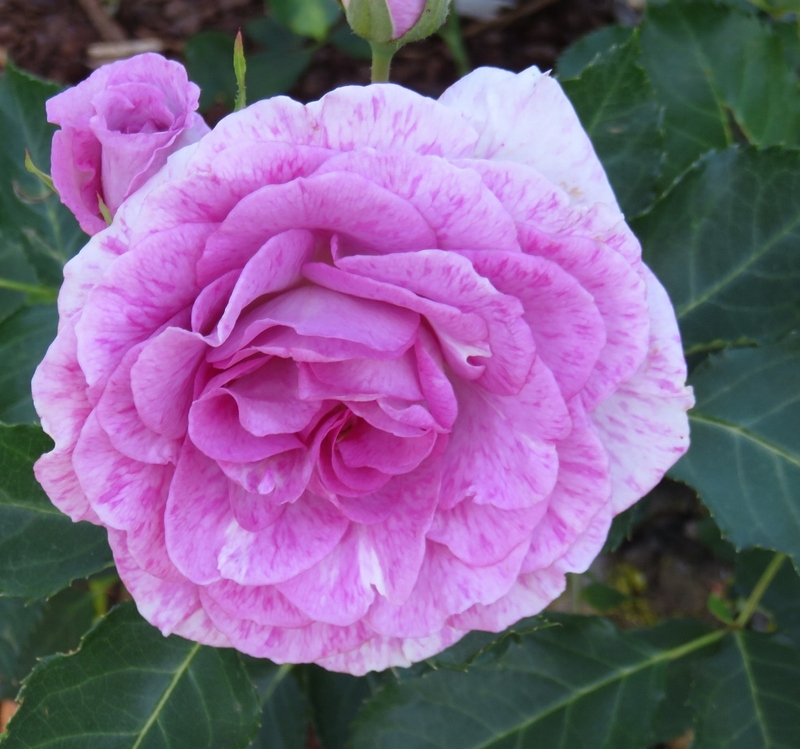 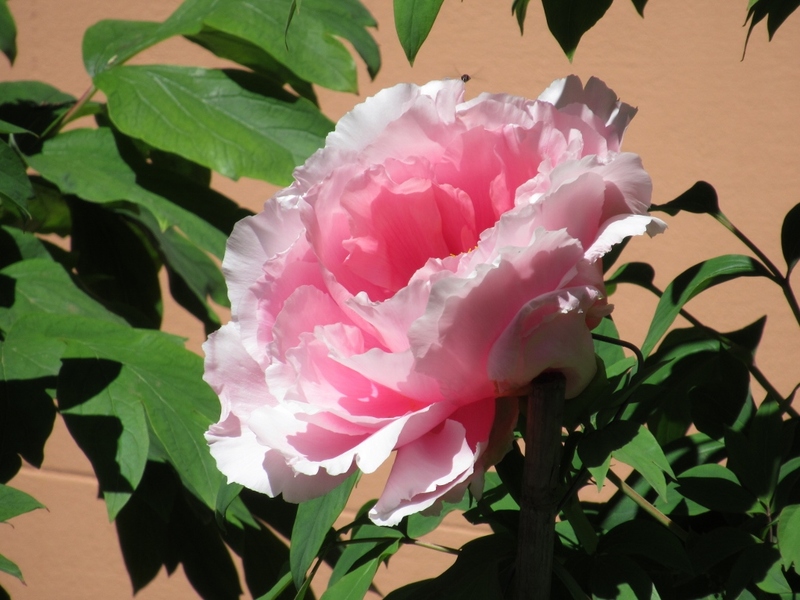 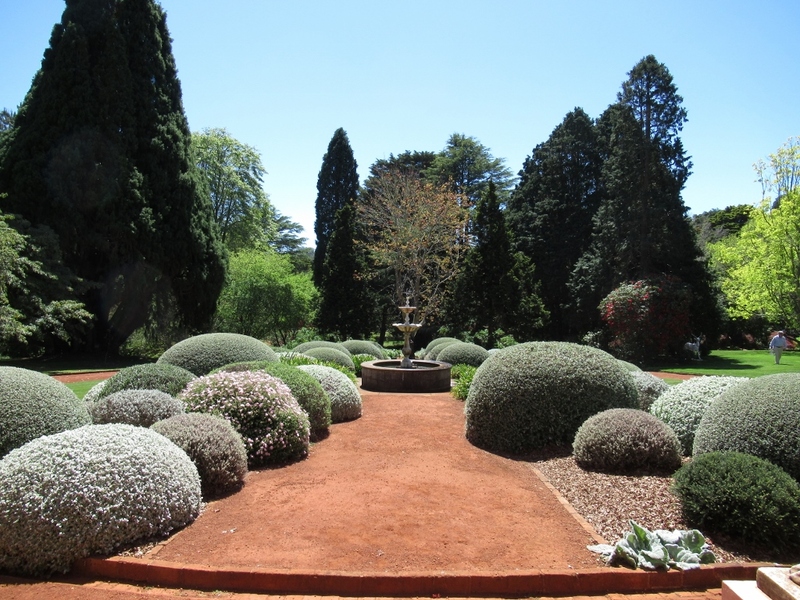 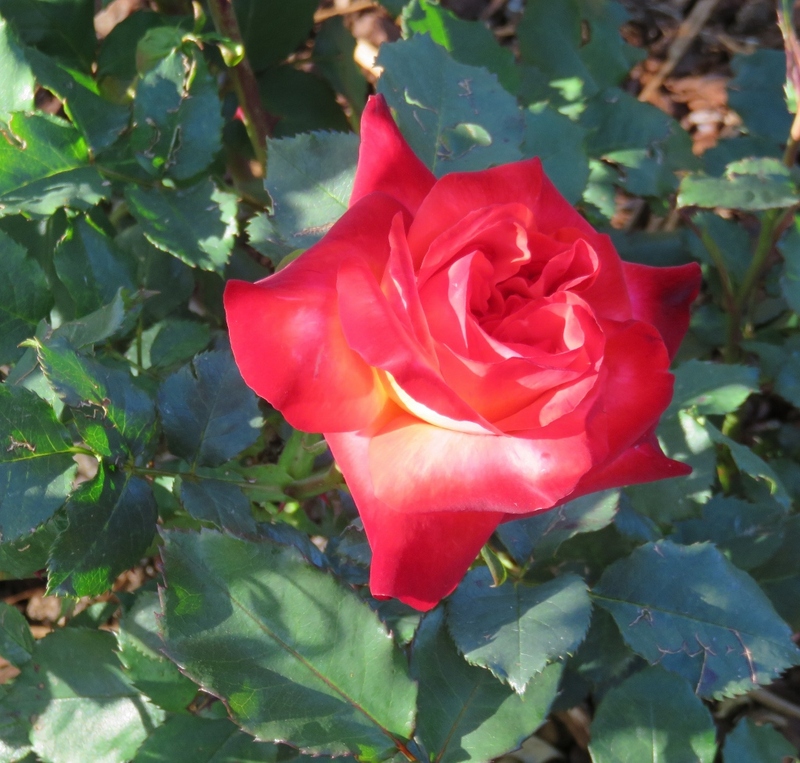 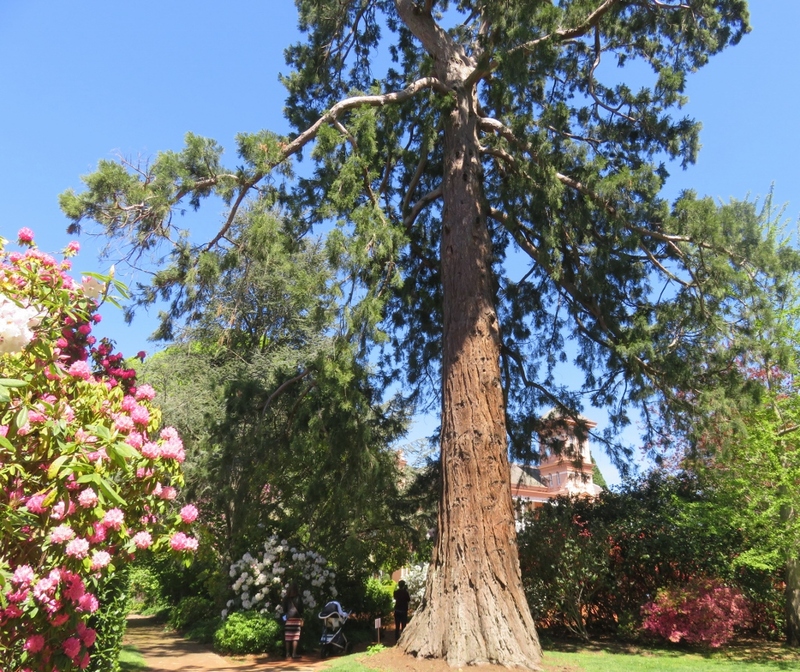 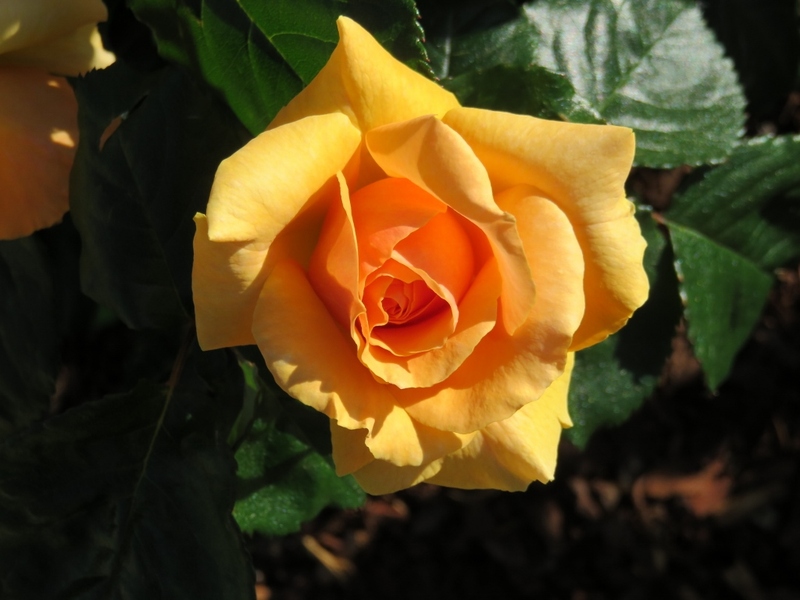 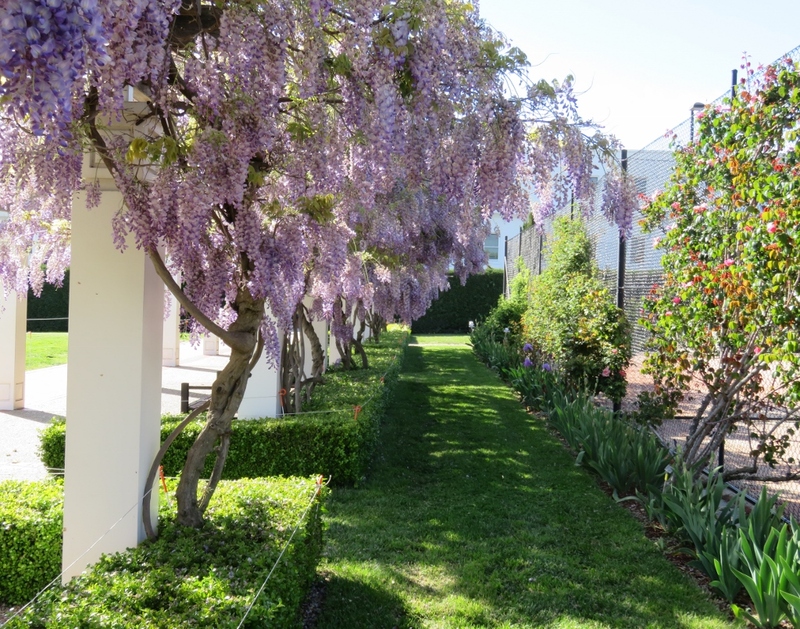 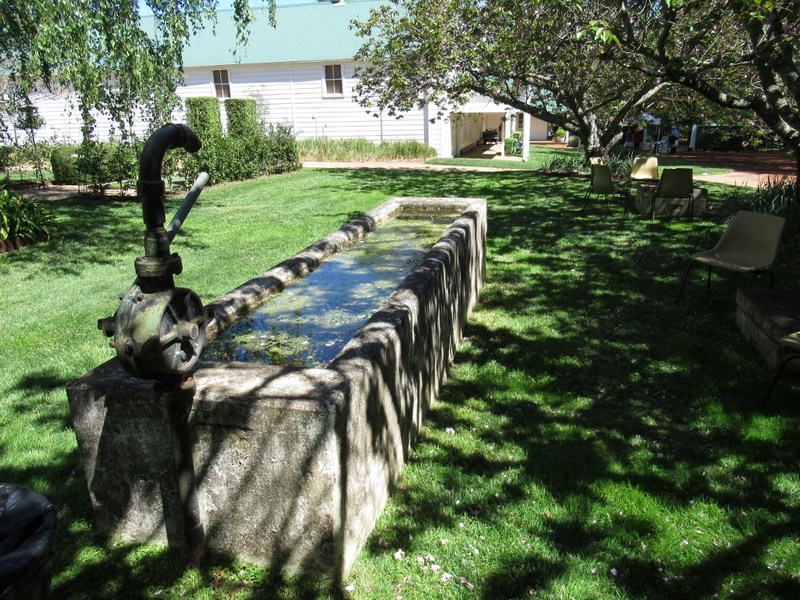 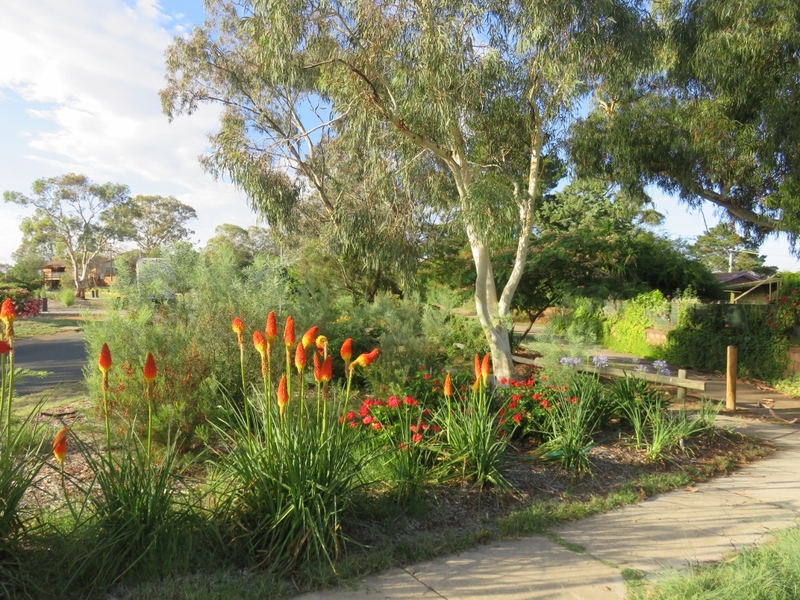 If you love sunshine and roses….then a visit to the Old Parliament House Rose gardens in spring time is a must. 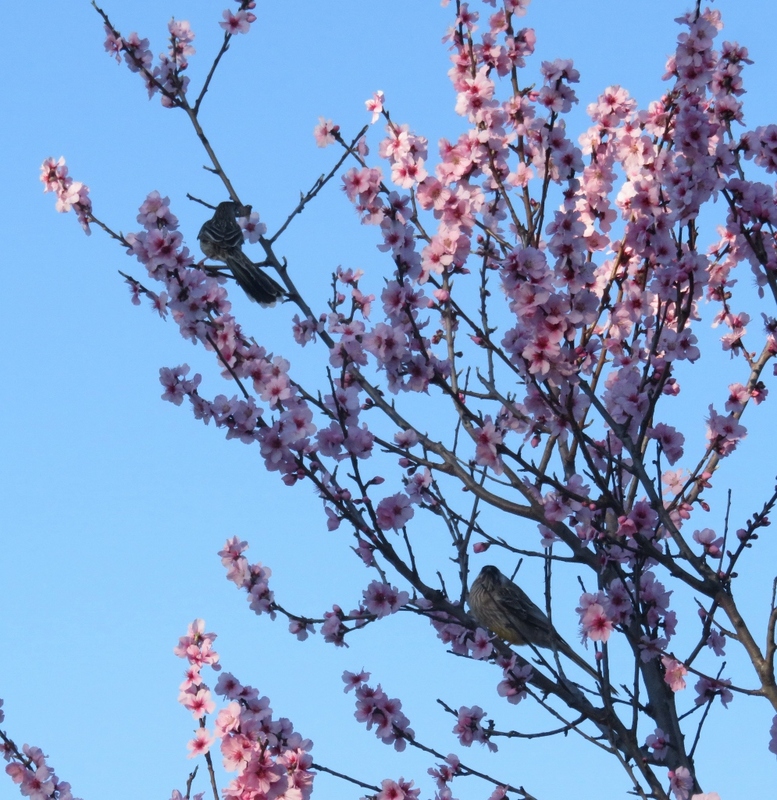 These photos were taken in November, during a gloriously wet spring. 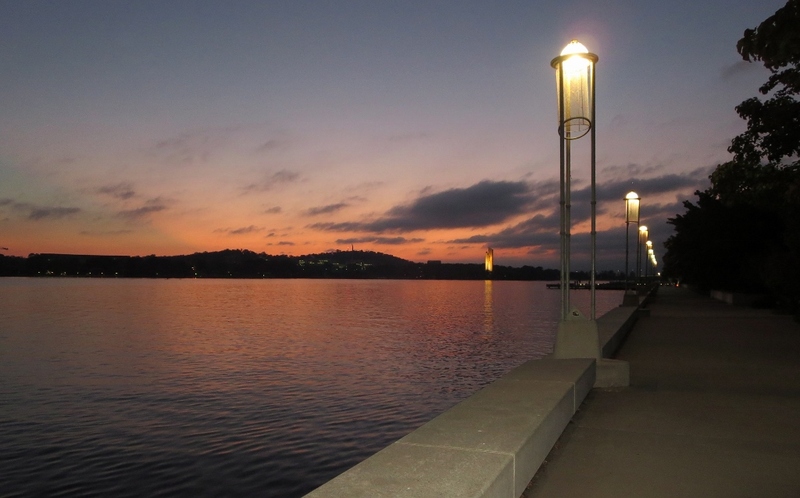 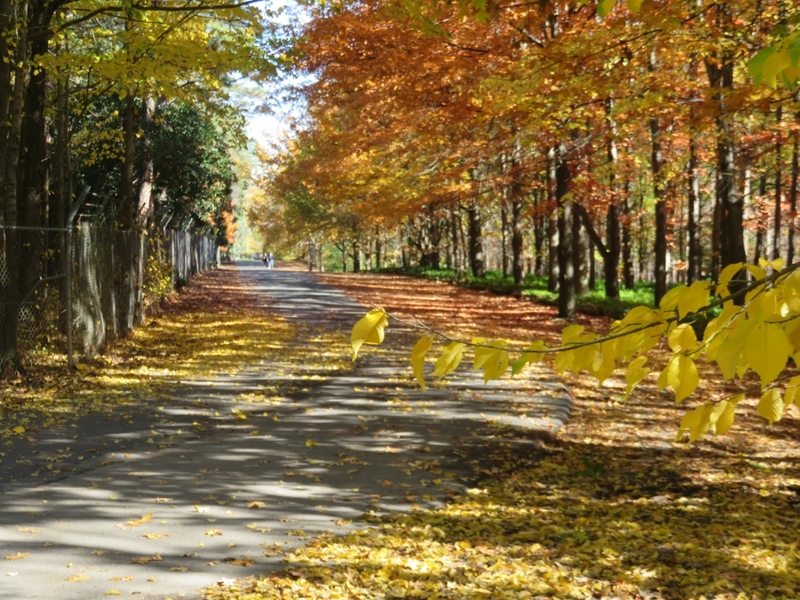 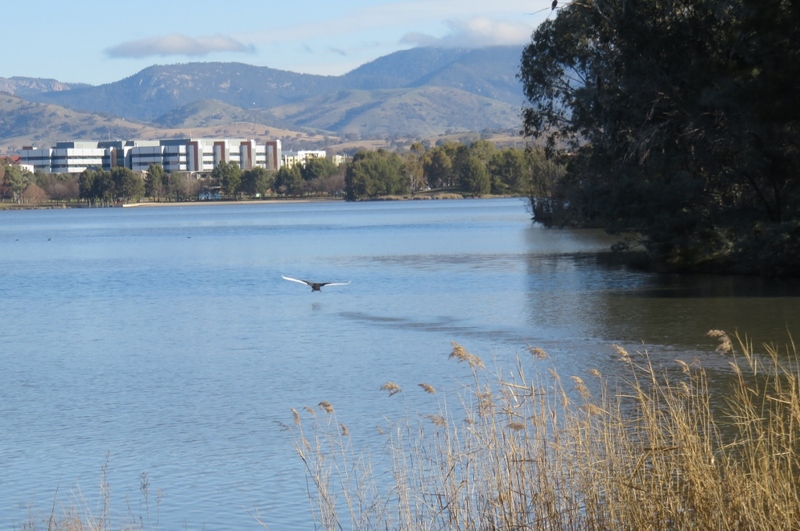 In 1927 Canberra became the new capital of Australia. 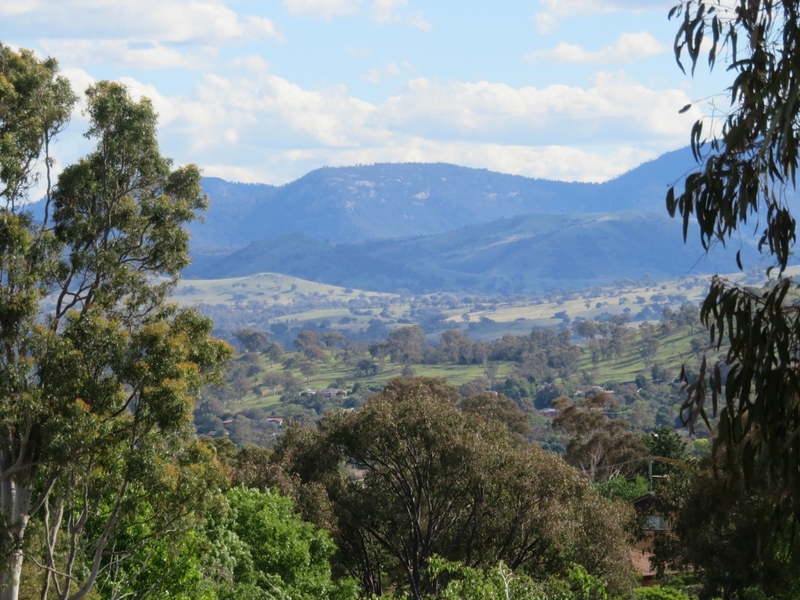 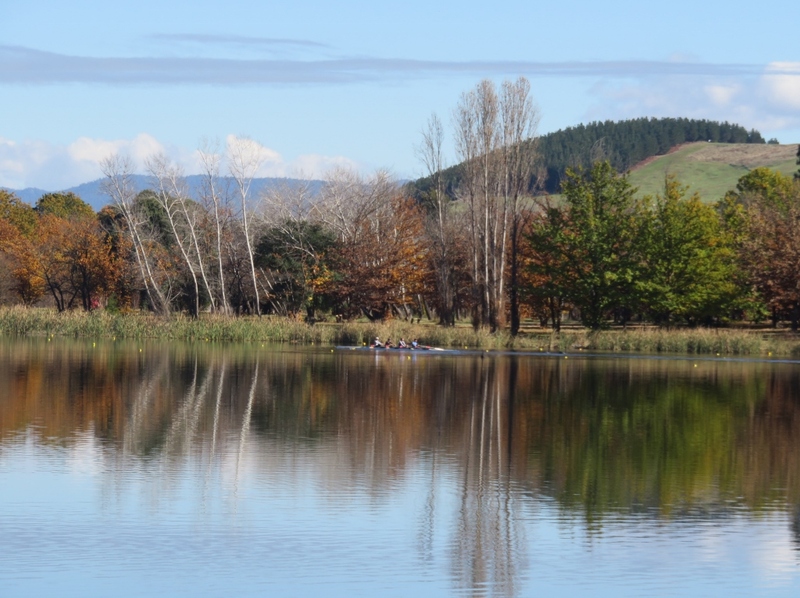 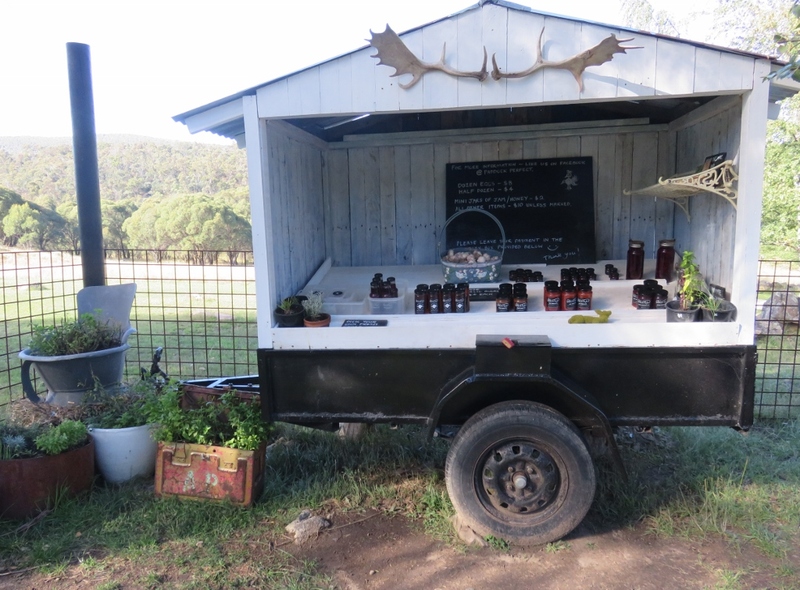 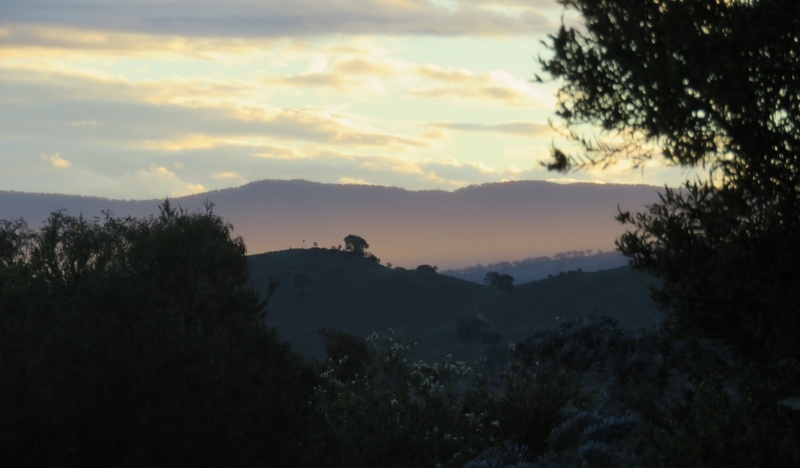 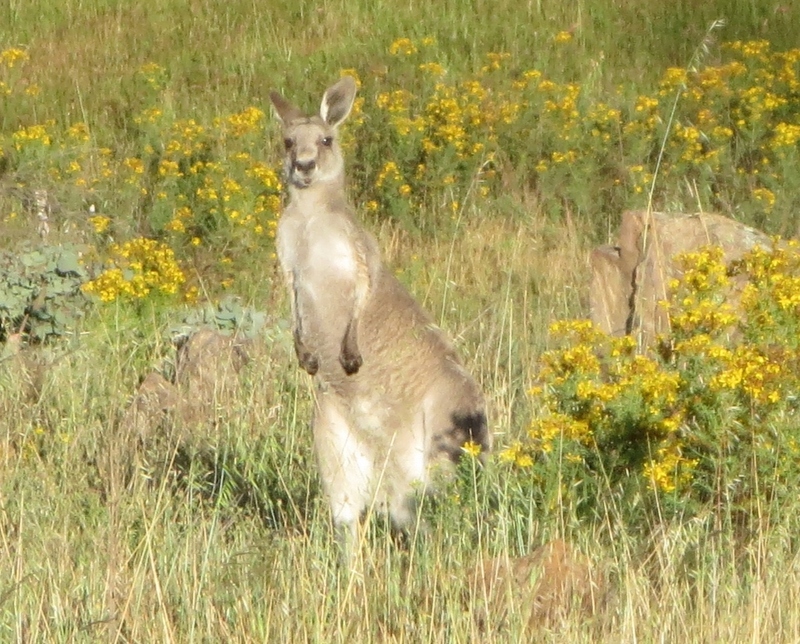 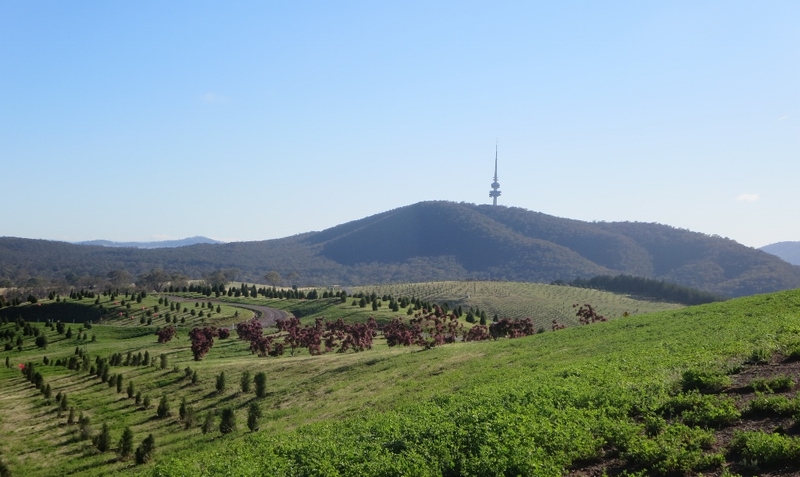 The bush capital…. 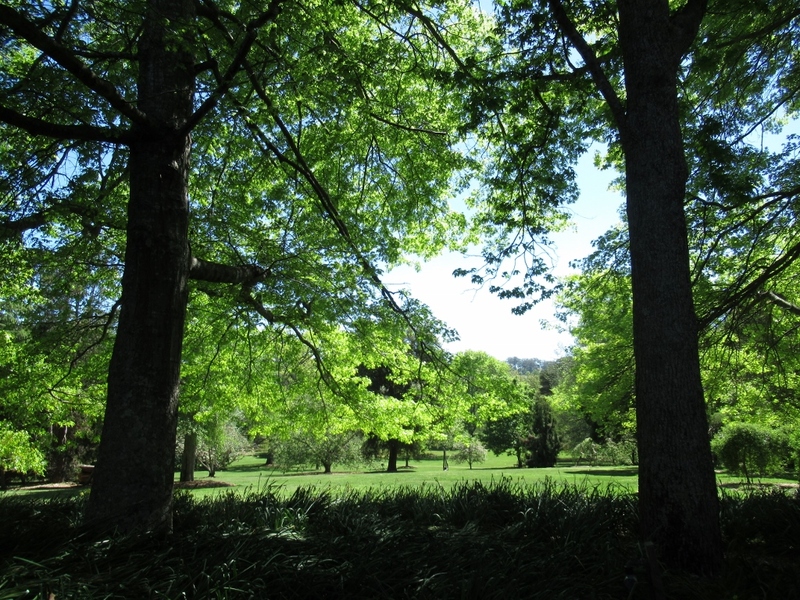 so beautiful today, was, in those days, a cluster of buildings on windswept limestone plains…. 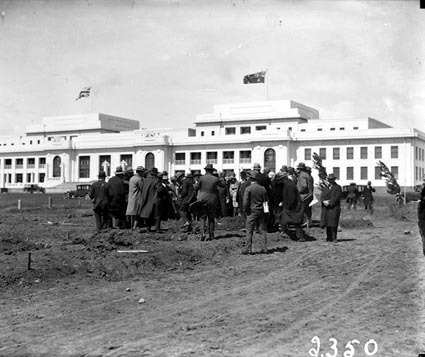 Just look at this old photo of a group of people trying to do some tree planting as they huddle together out in that windswept limestone plain …. 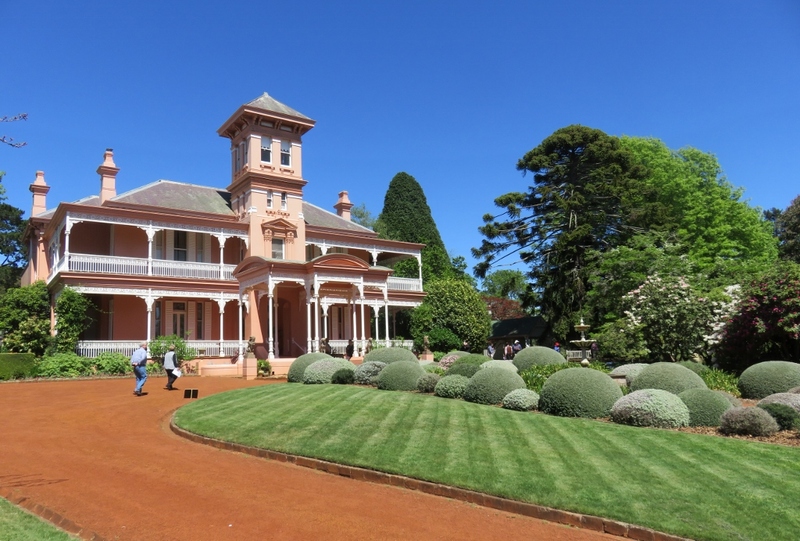 The newly formed capital of Australia was a compromise….neither of the two large cities in Australia, Sydney and Melbourne, wished the other to be the capital. 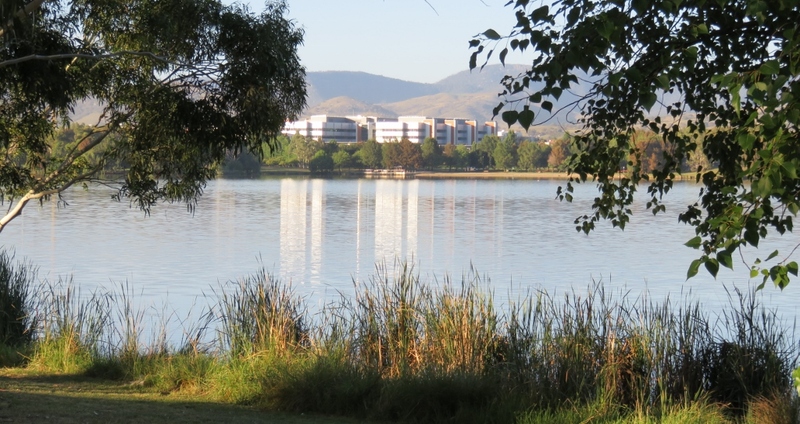 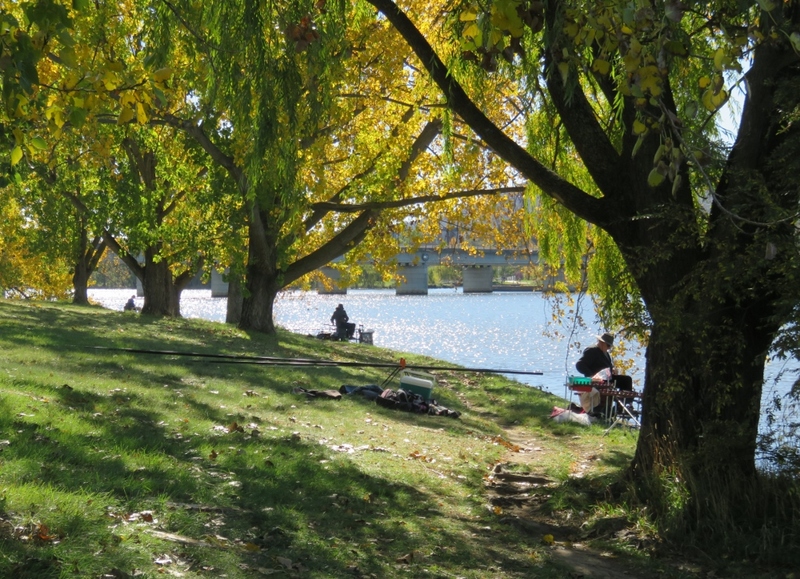 Therefore Canberra, geographically between the two cities, was chosen as the site to be a new capital. 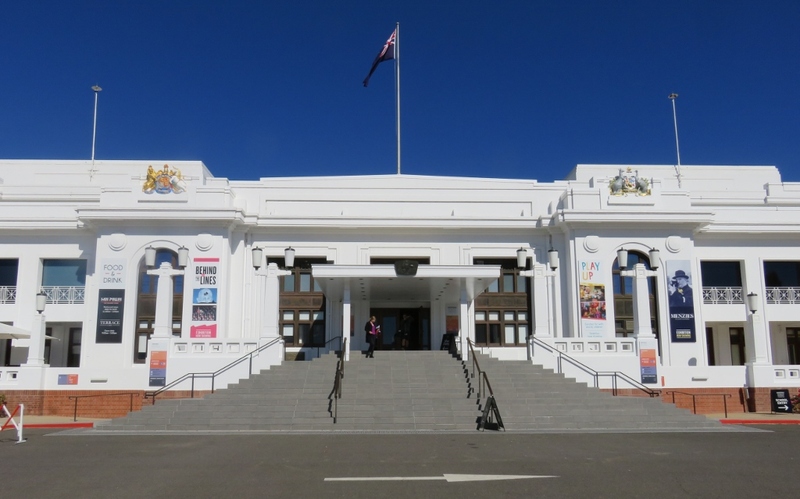 It became the responsibility of parliamentary officer Robert Broinowski to build some gardens around the Old Parliament House and bring some relief to the new buildings. 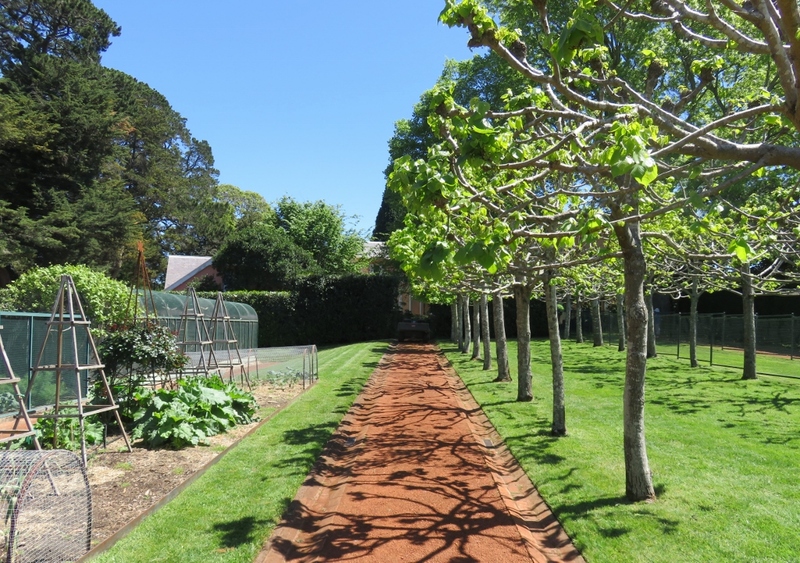 The gardens included tennis courts, and a bowling green… much needed in those days when homes and families were so far away, and travel was long and hard. 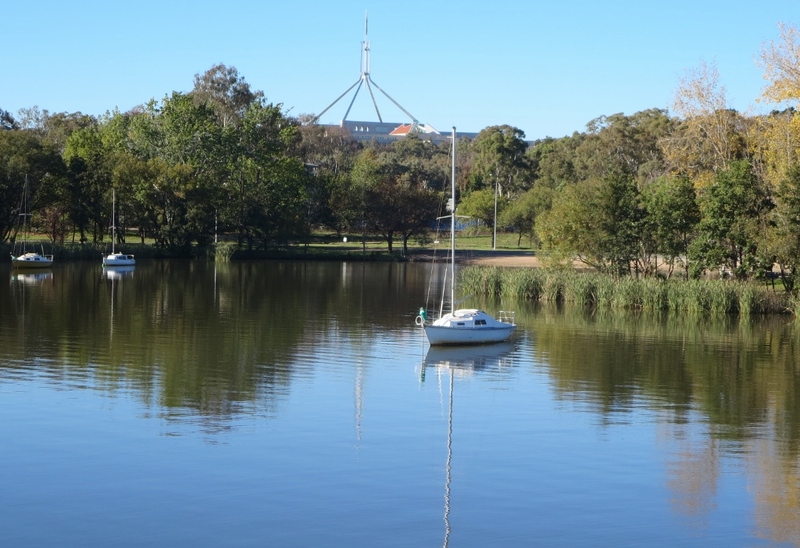 I’m sure those early politicians could not imagine how lovely the grounds of Old Parliament House look today. 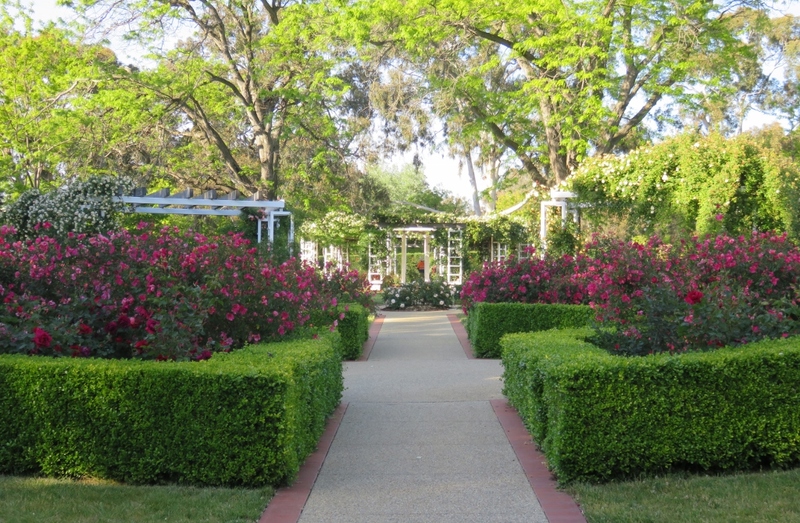 The gardens, on either side of the Old Parliament House, consist of four rose gardens. 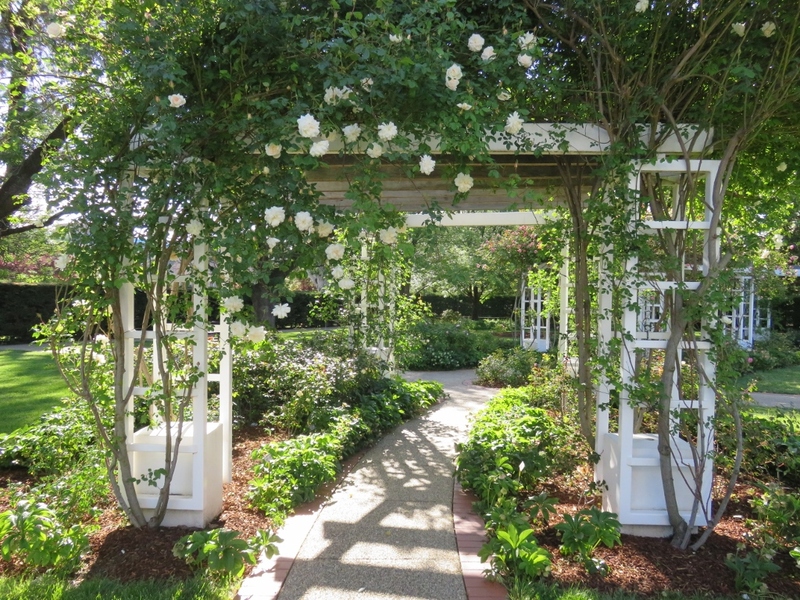 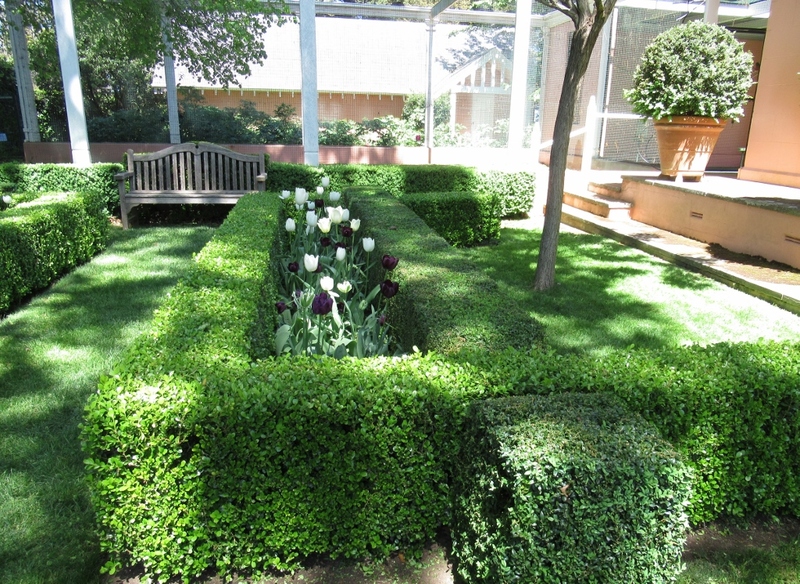 Each garden was originally designed and laid out in a simple quadrant design, with roses in two quadrants. 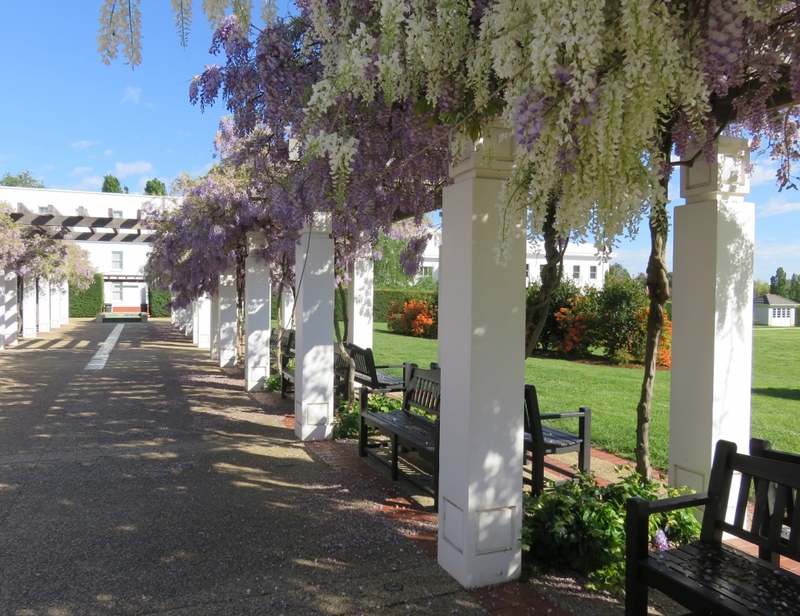 This photo was taken in early summer, when the beautiful lilac and white wisteria on the white pillars had turned to green.. 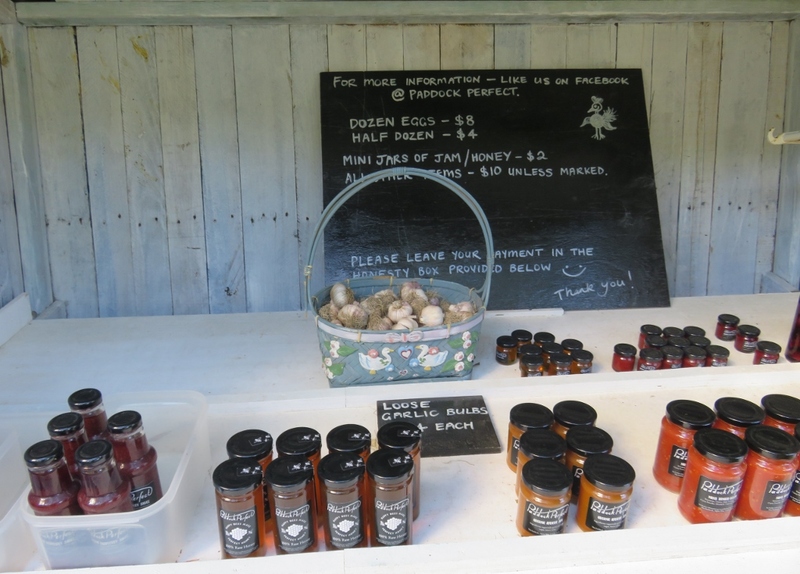 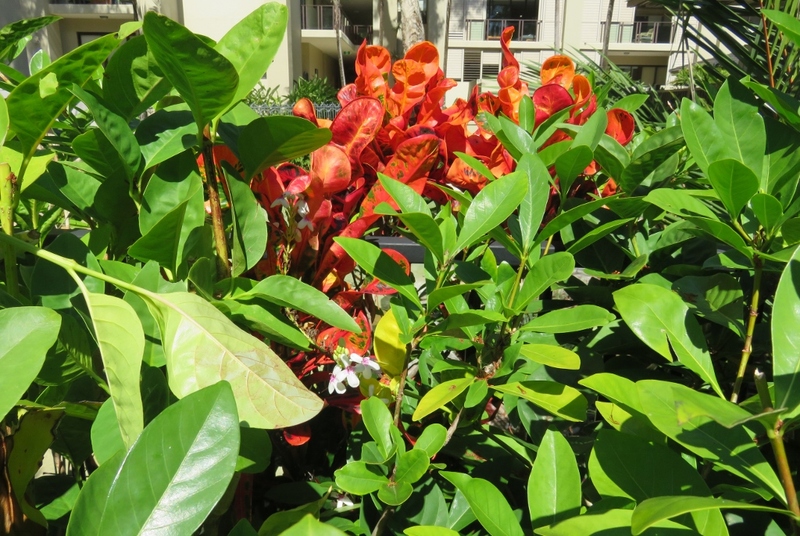 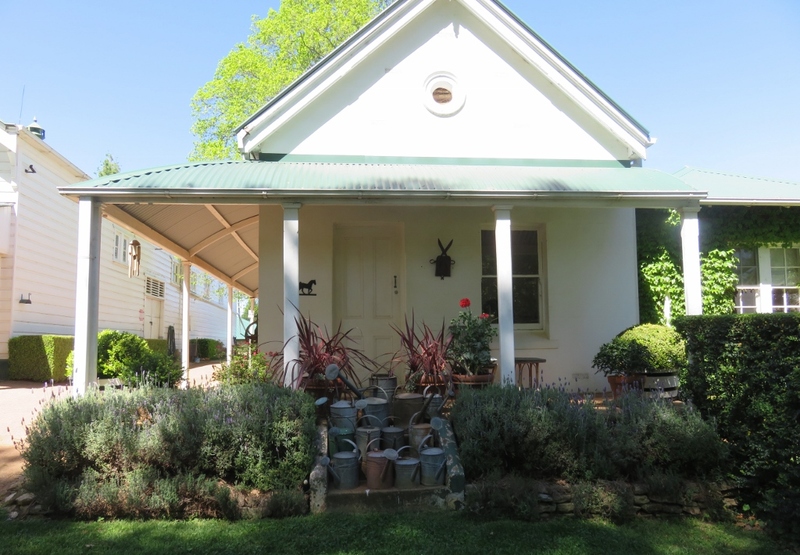 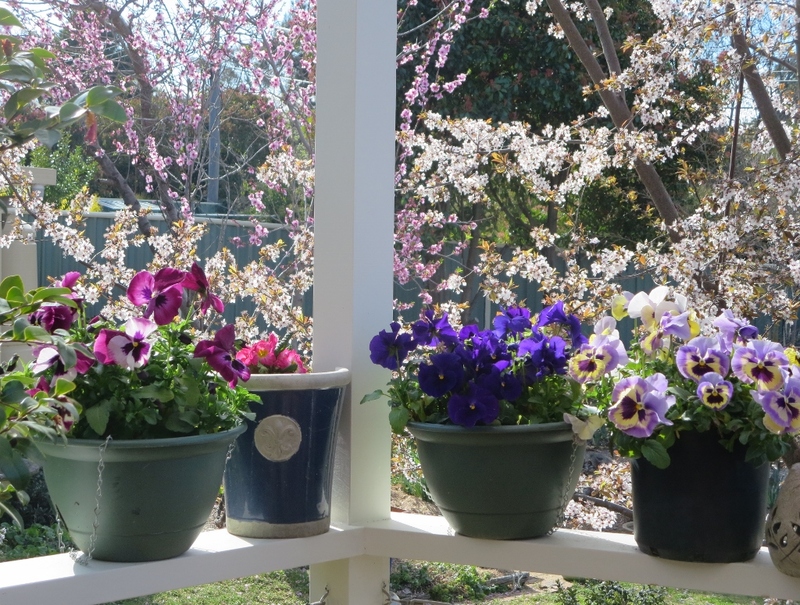 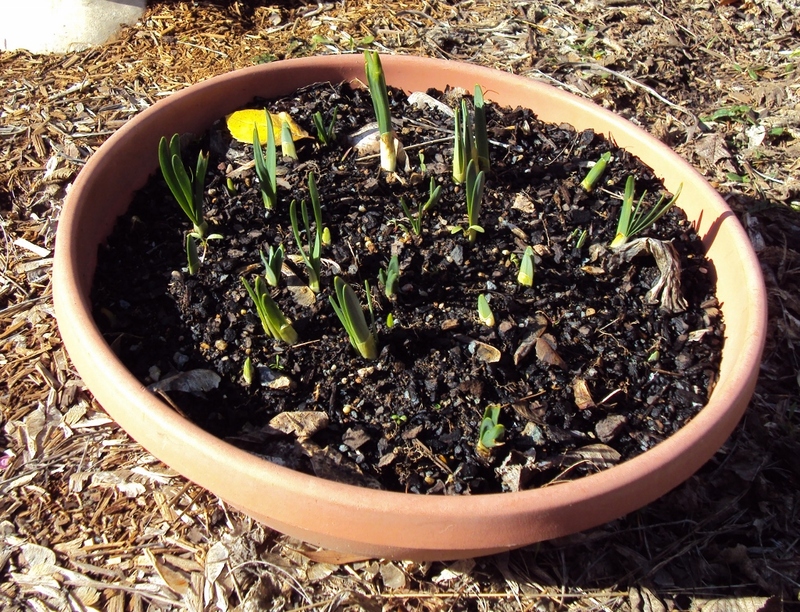 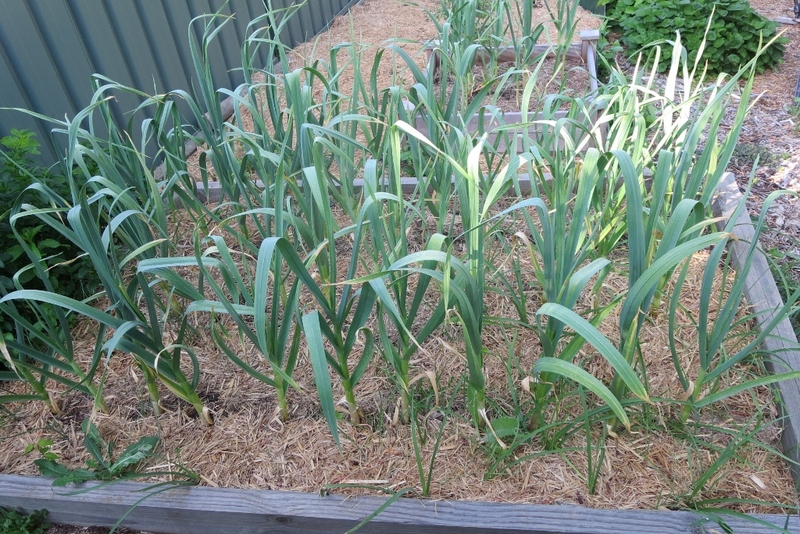 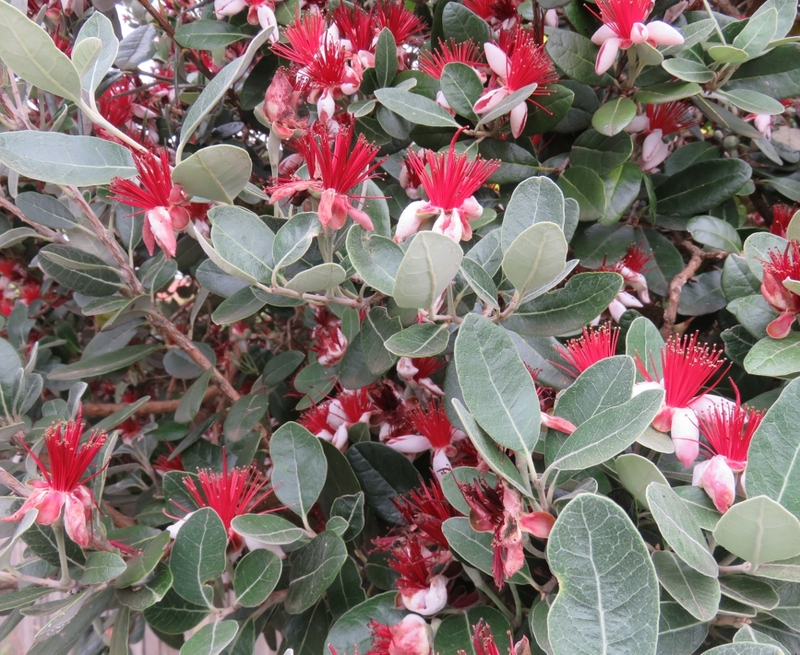 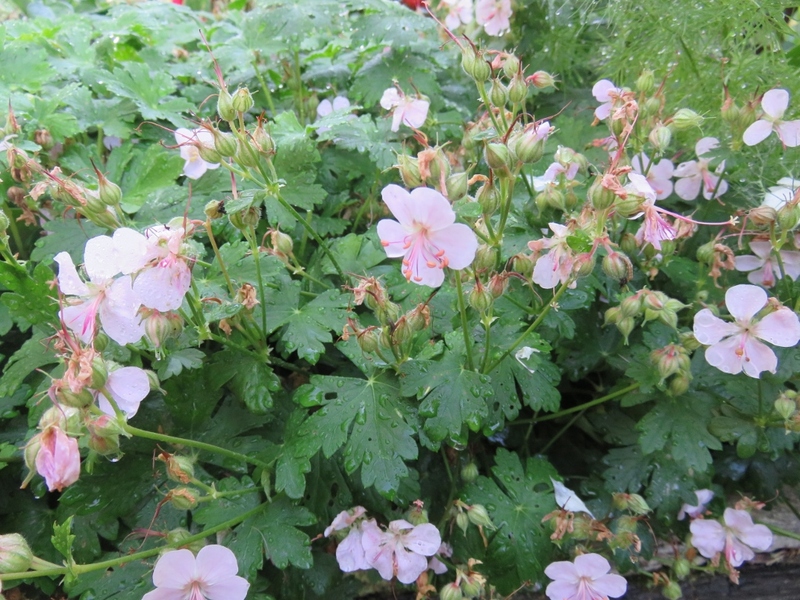 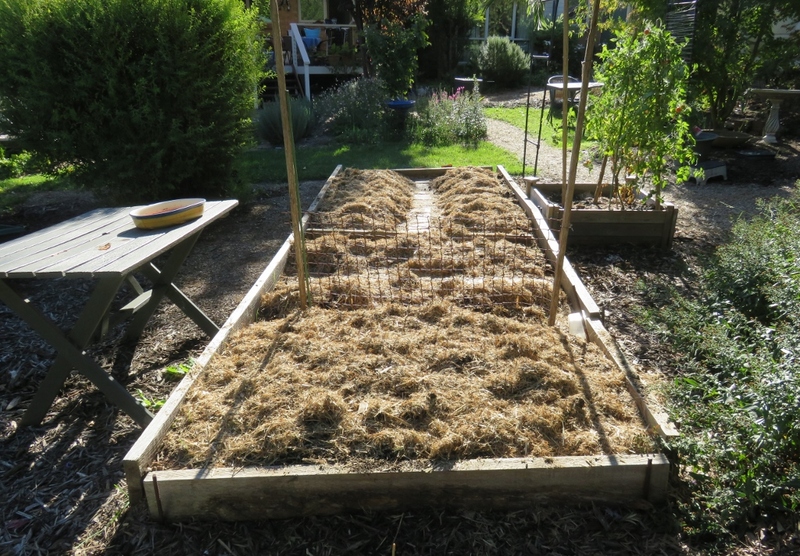 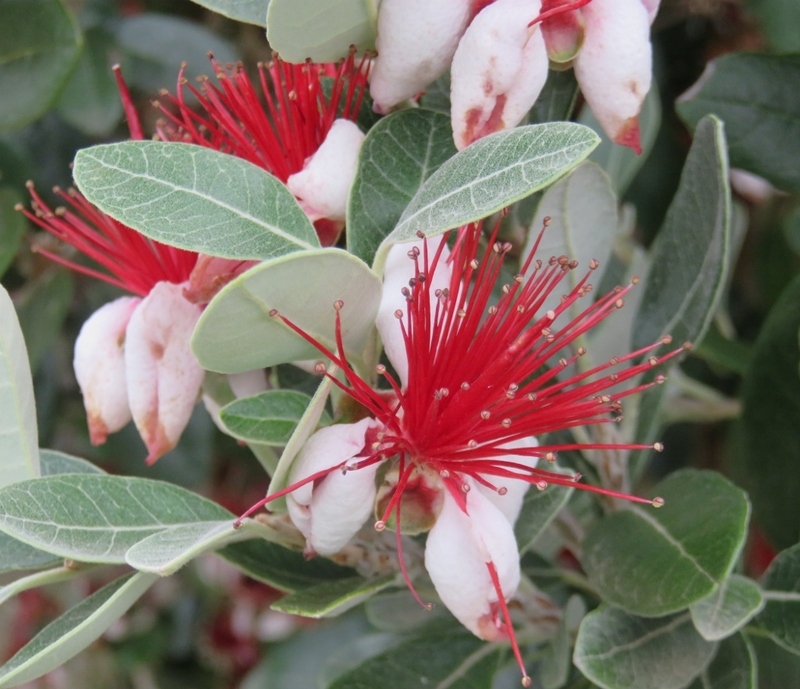 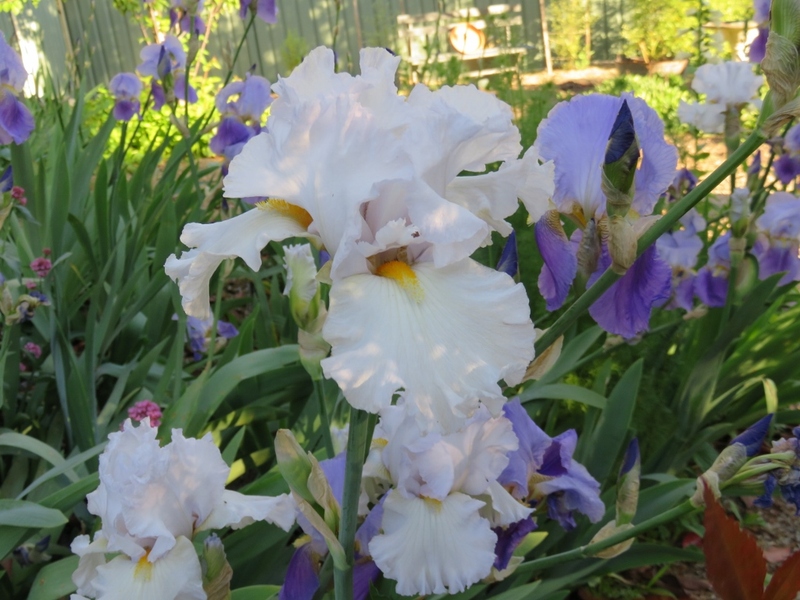 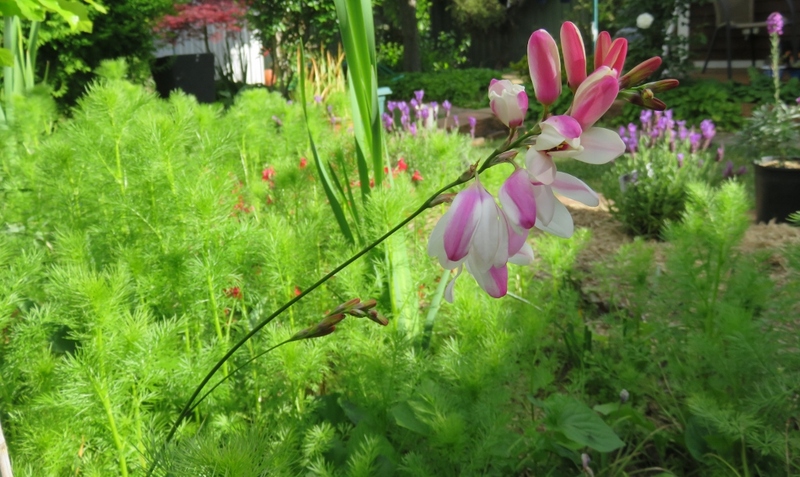 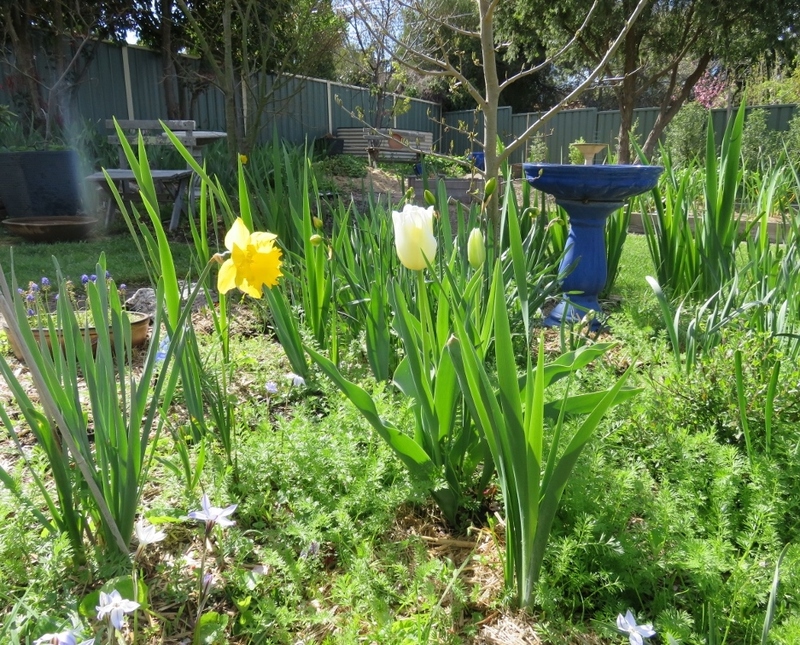 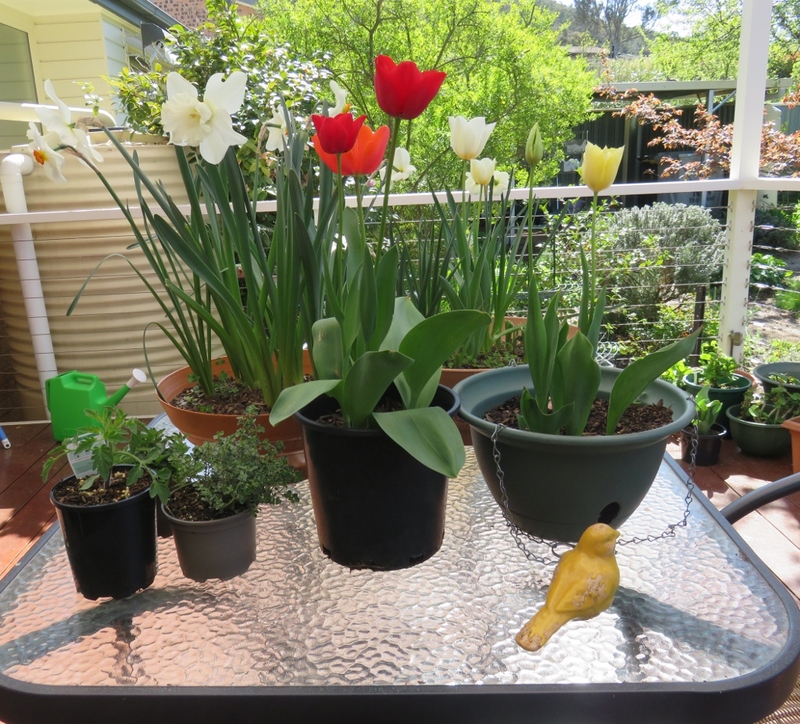 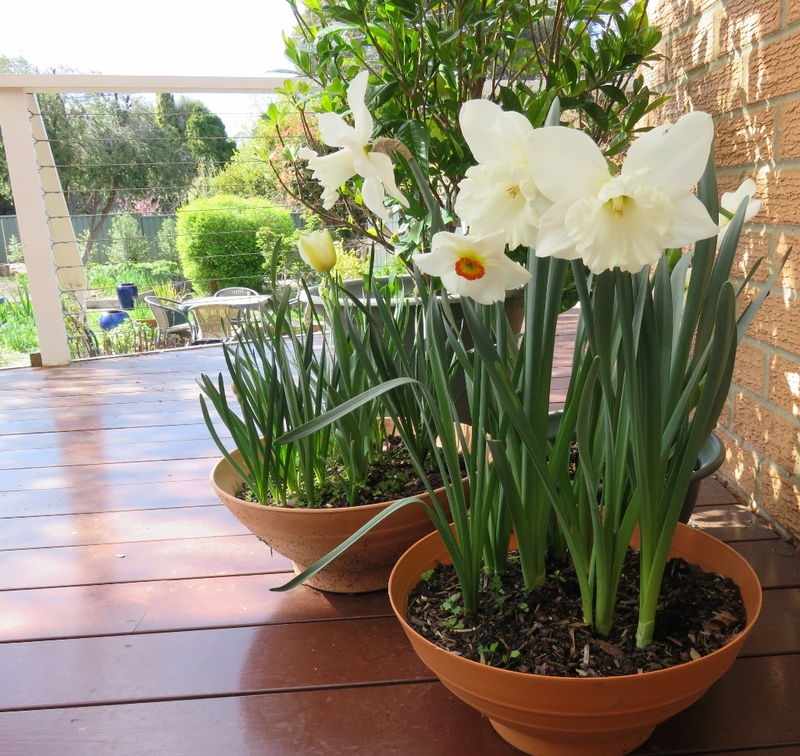 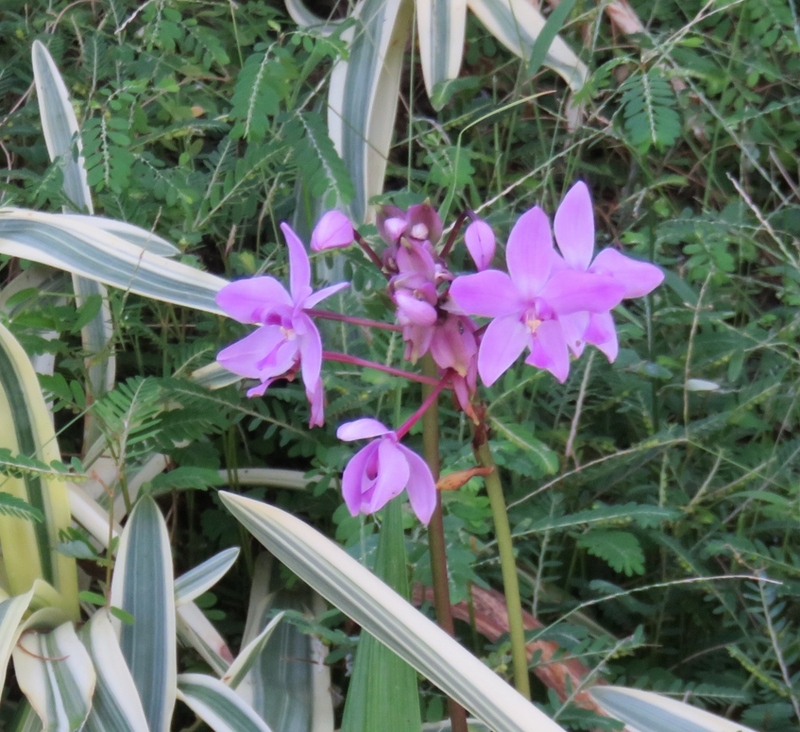 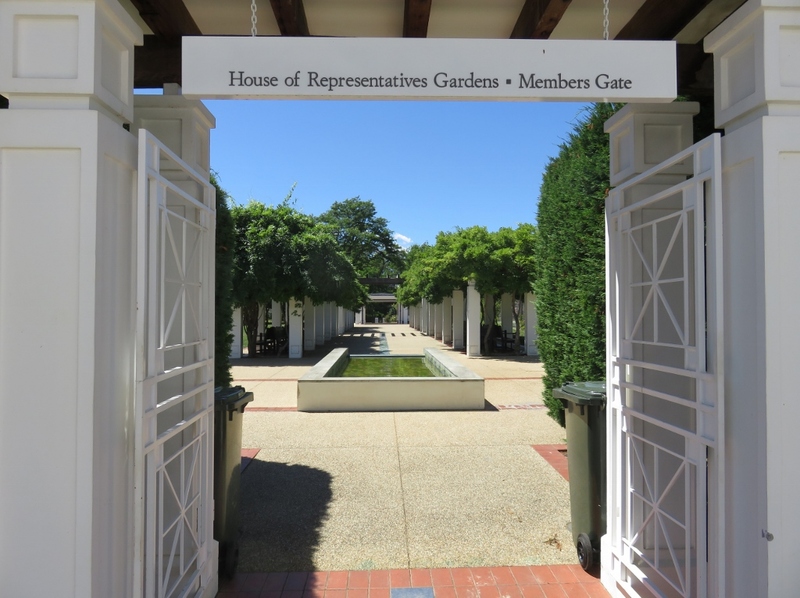 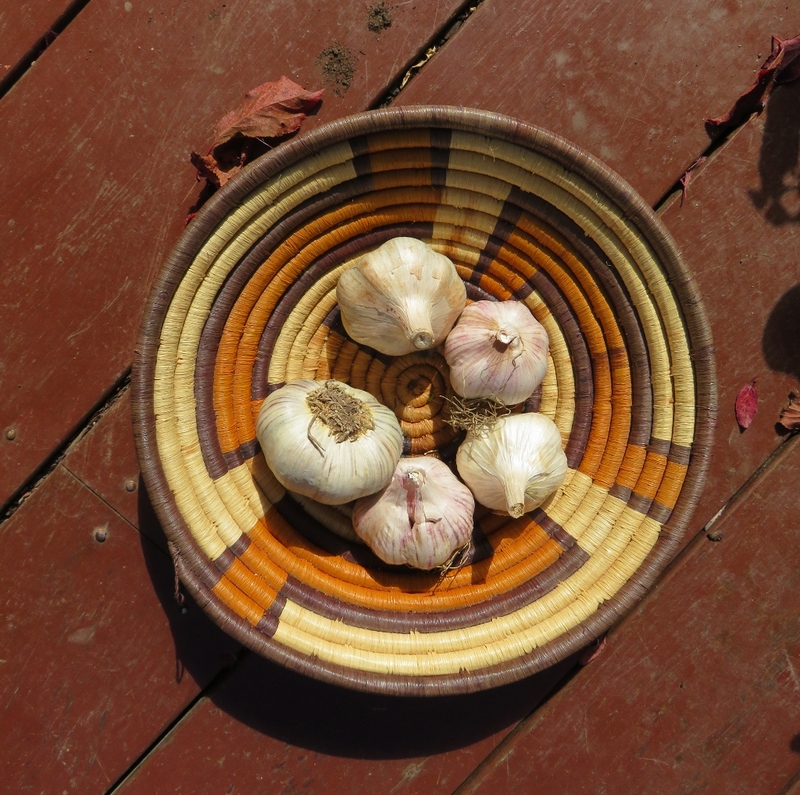 In this post I am writing about the House of Representative Gardens, which has two gardens. 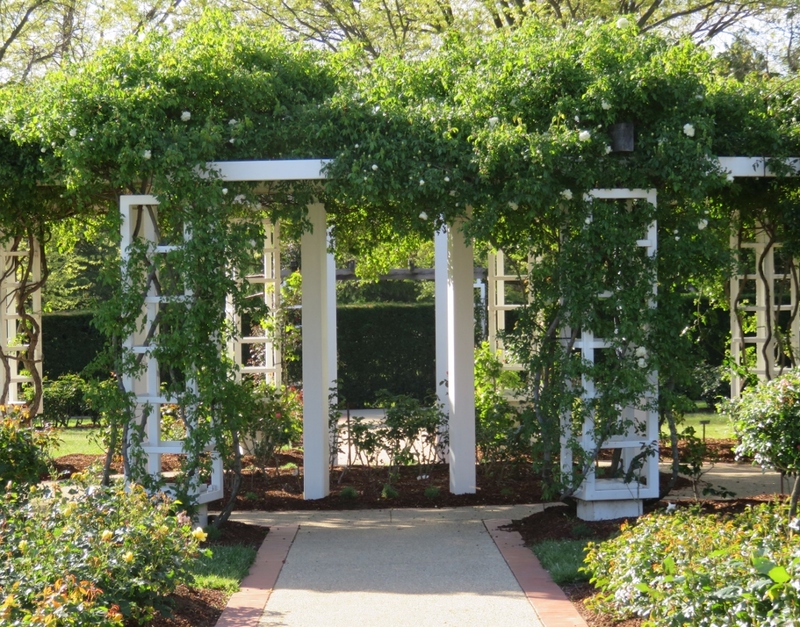 The first is the Macarthur Rose Garden which is filled with one hundred red ”Etoile de Hollande” and shot silk roses donated by the great grand daughter of John and Elizabeth Macarthur. 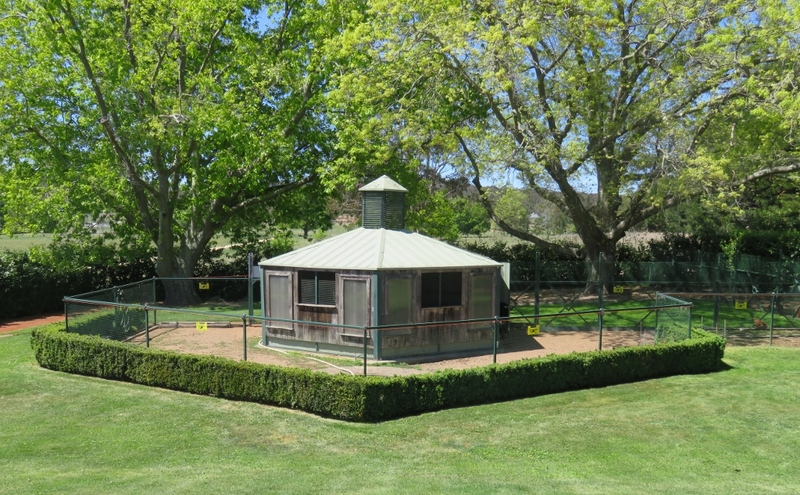 This gift marked the major contribution by John and Elizabeth Macarthur, to the early settlement of Australia in the breeding of Merino sheep at Parramatta and Camden. 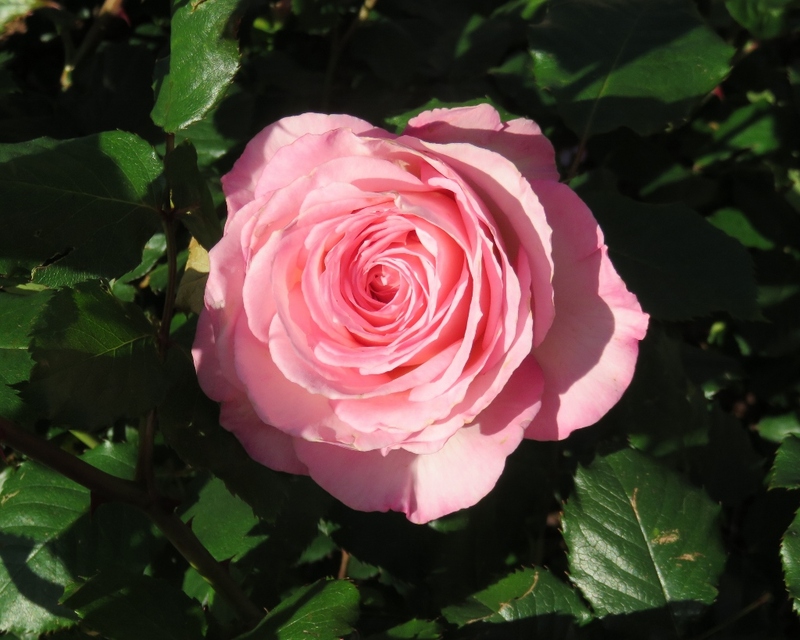 Many large farms from settlement to today, have lovely gardens and include roses. 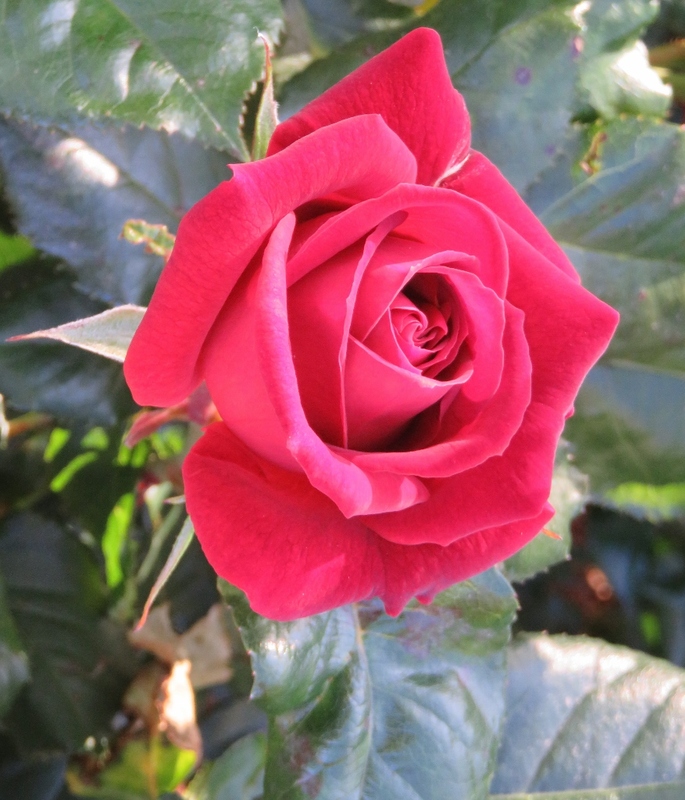 The decision was made to plant roses in all the gardens. 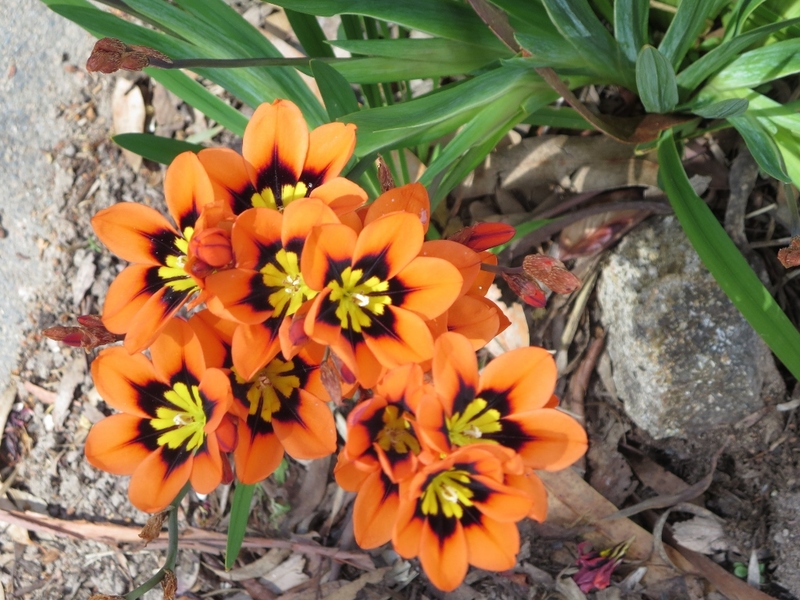 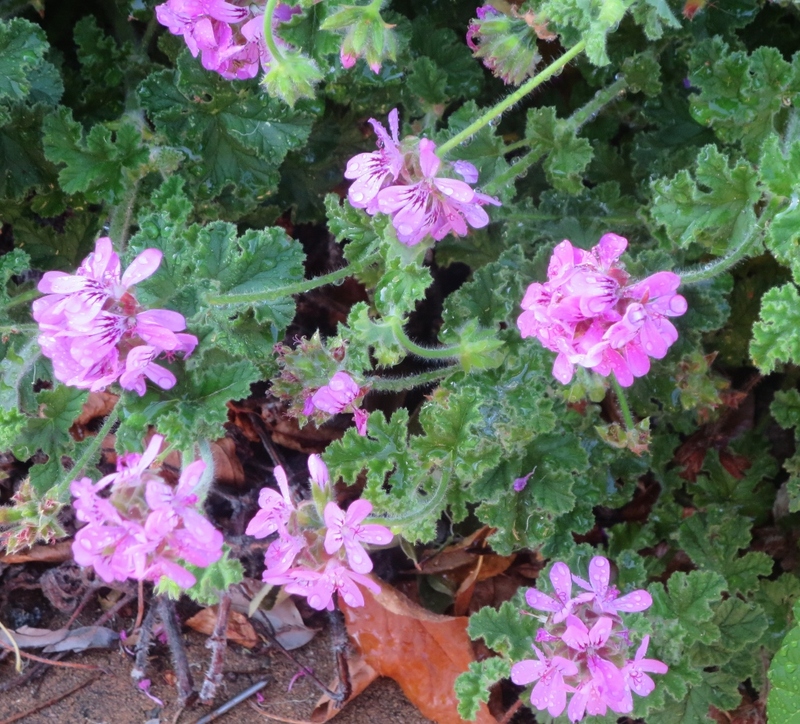 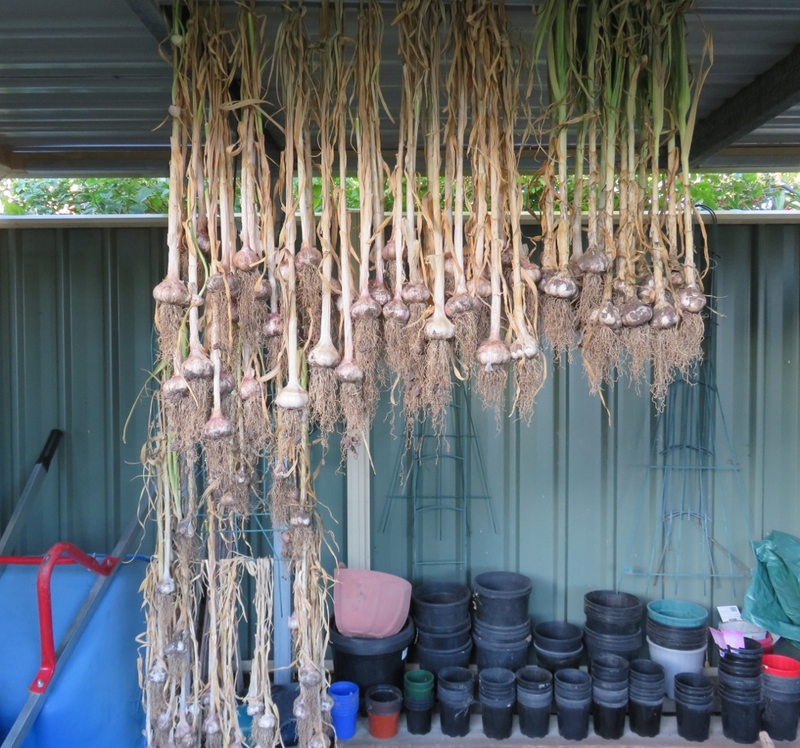 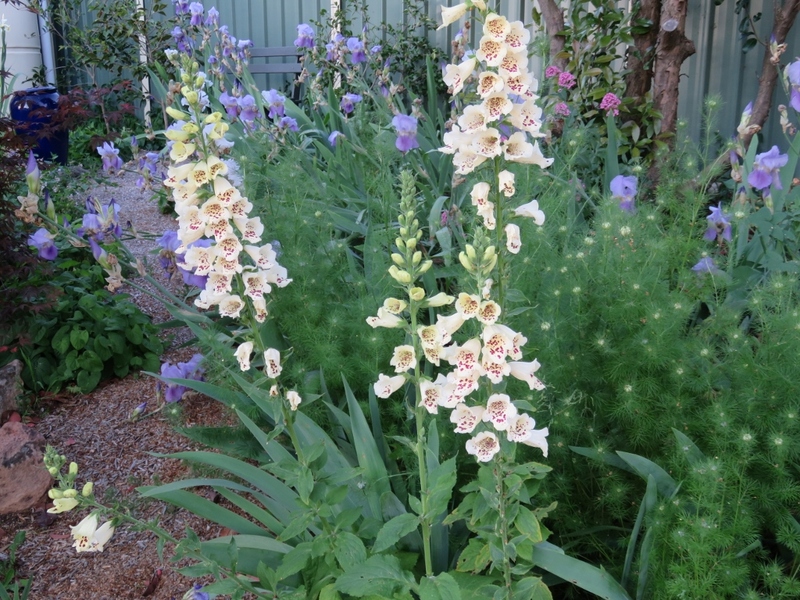 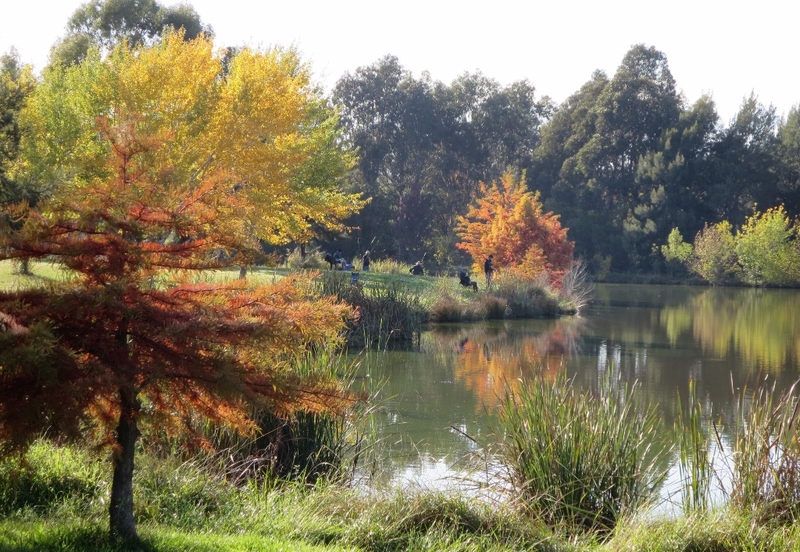 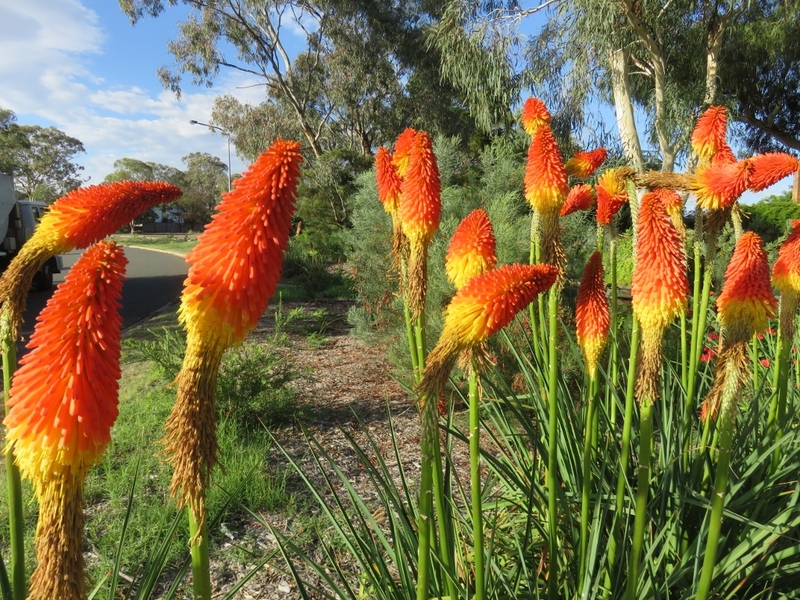 They provided colour to the unrelenting browns and greys of the Australian landscape, they reminded politicians of homes in the Northern Hemisphere, and lastly and most importantly, they were cheap to grow and very hardy. 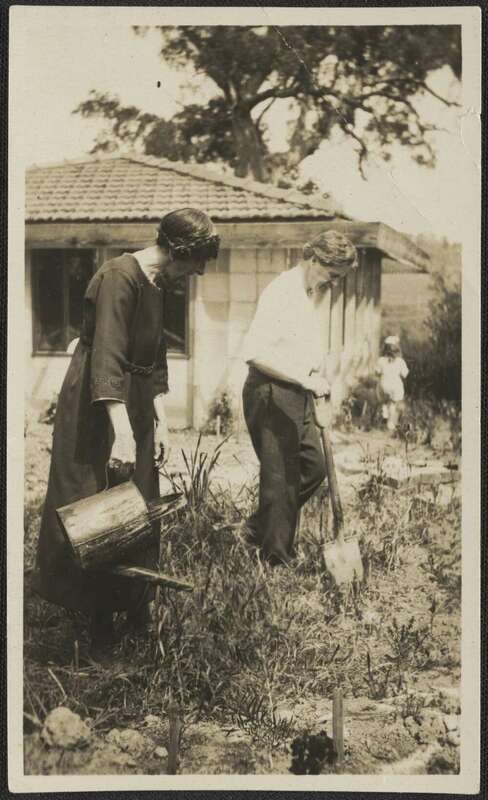 Fortunately Broinowski was a passionate gardener, and, even during the Depression he kept up the project of designing and planting by searching for donations far and wide. 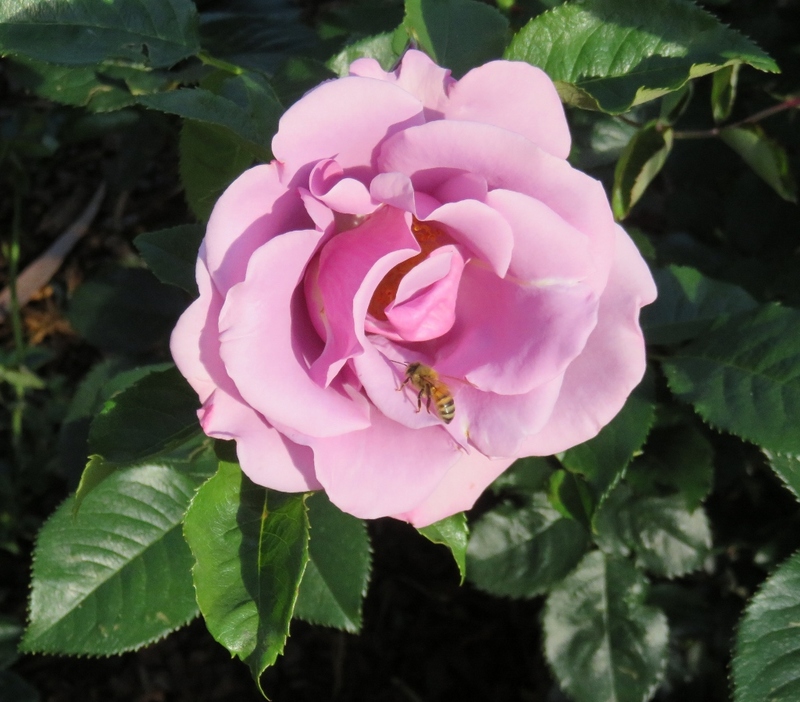 He asked the wives of politicians to support the second garden, known appropriately as the Ladies Rose garden, and started gathering donations of one shilling and four pence per rose. 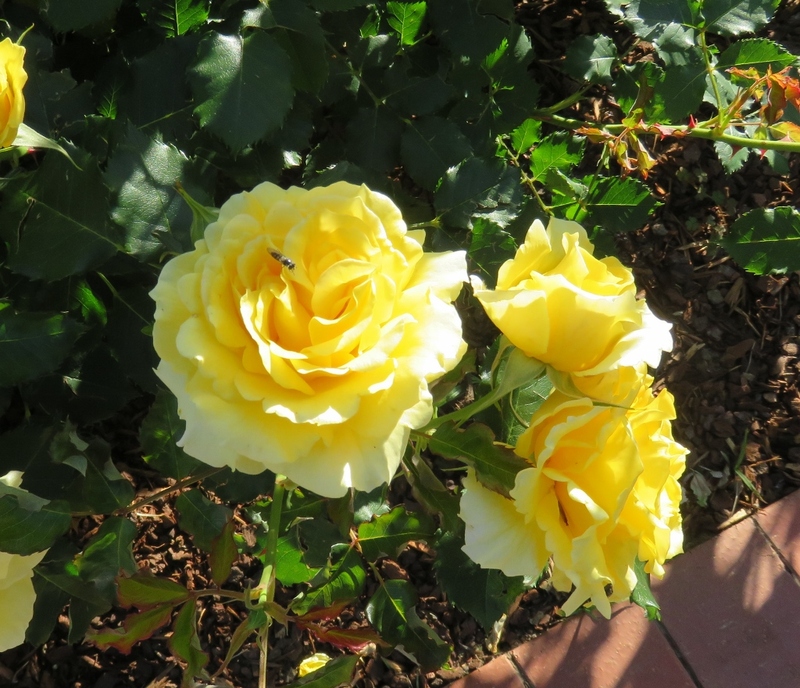 This garden has Hybrid Tea and Floribunda roses which were very popular at the time, and are an absolute delight to look at on a spring day….here are just a few..
Once you start looking at these lovely roses, you are hooked, and there is no known cure! 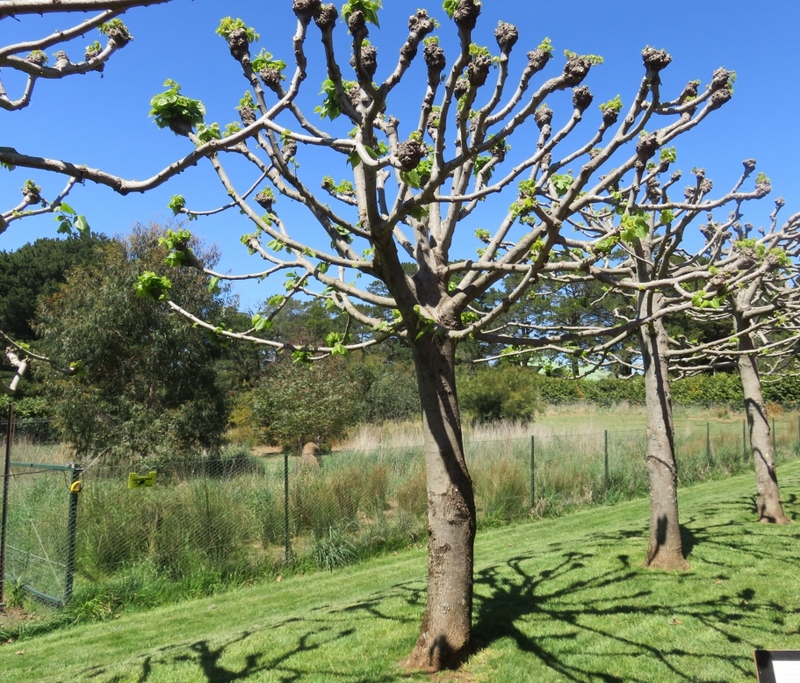 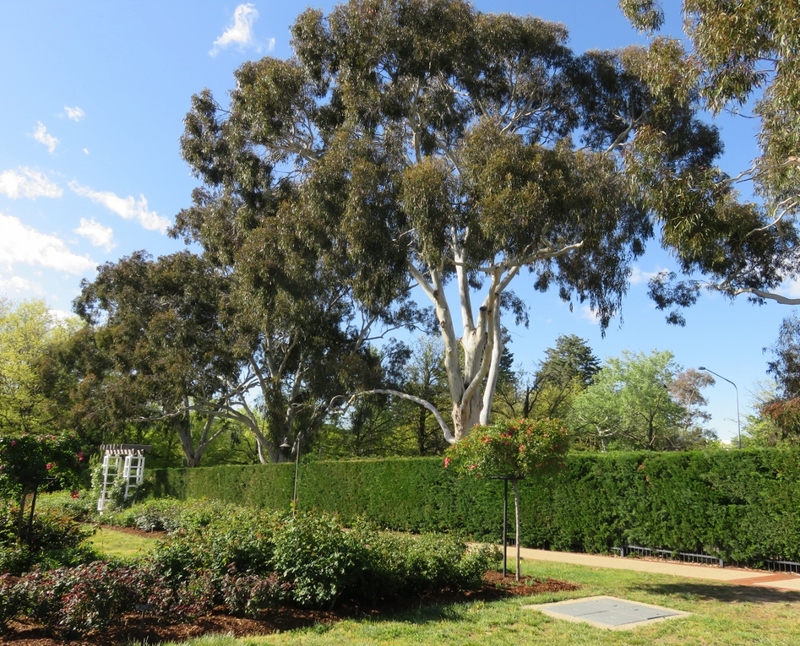 Charles Weston had originally designed and planted Eucalyptus trees around the grounds of Parliament House, and these, and dense hedges keep the roses safe from hot dry winds. 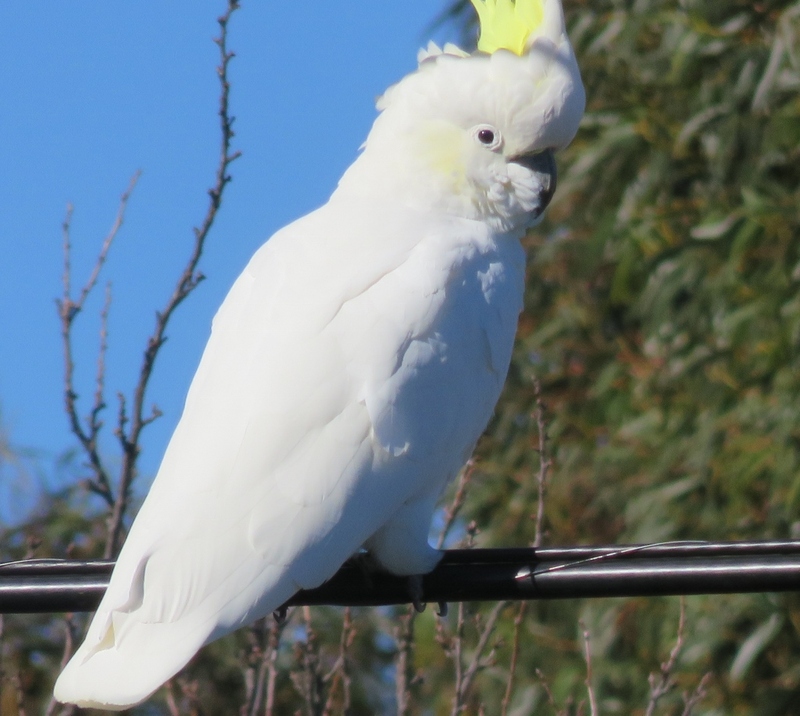 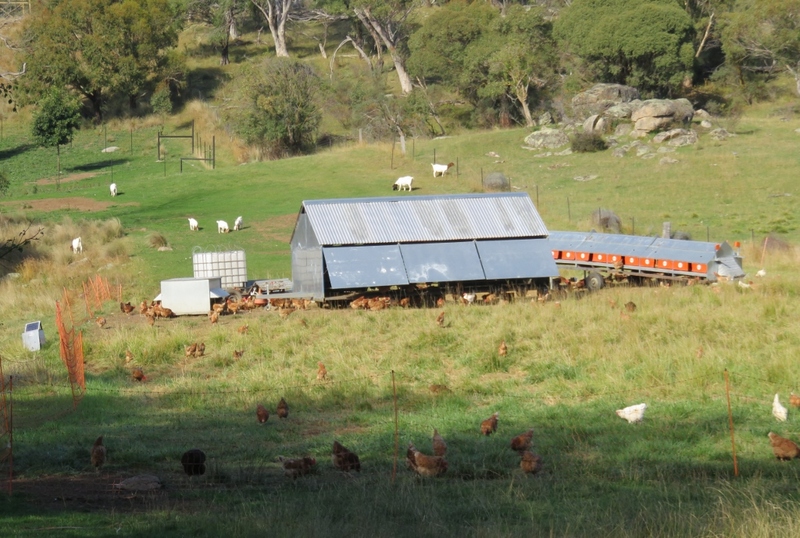 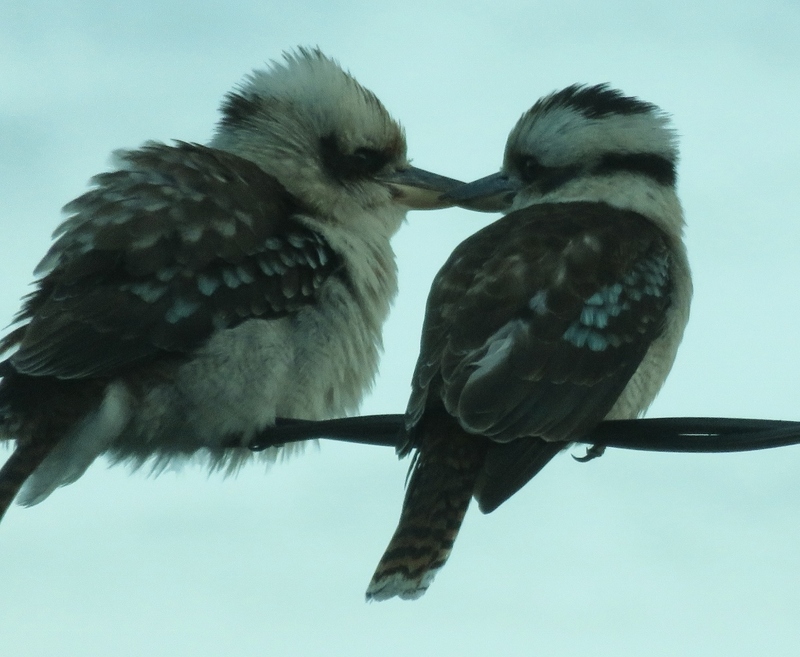 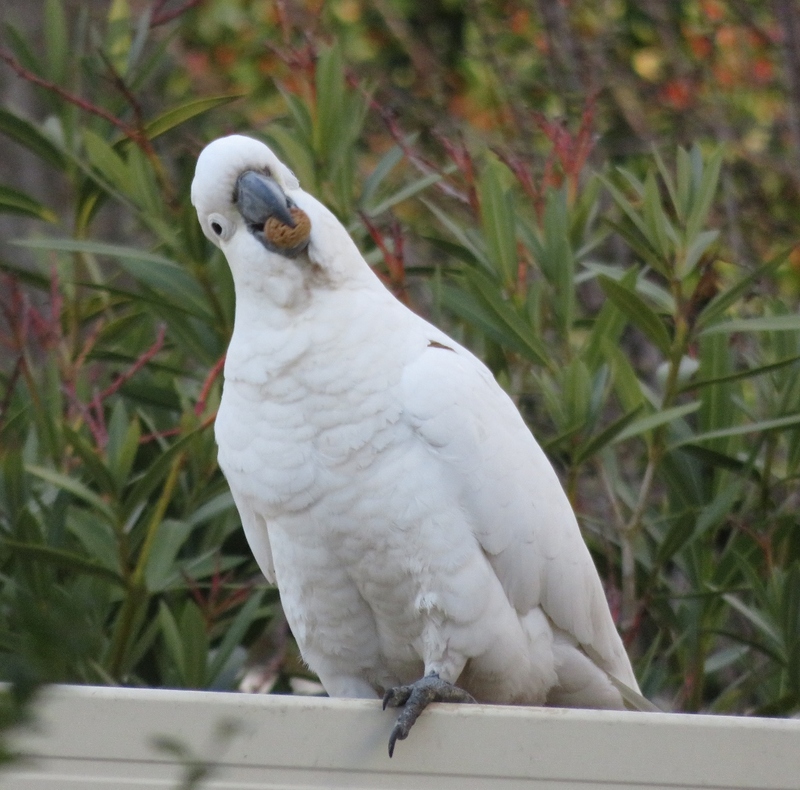 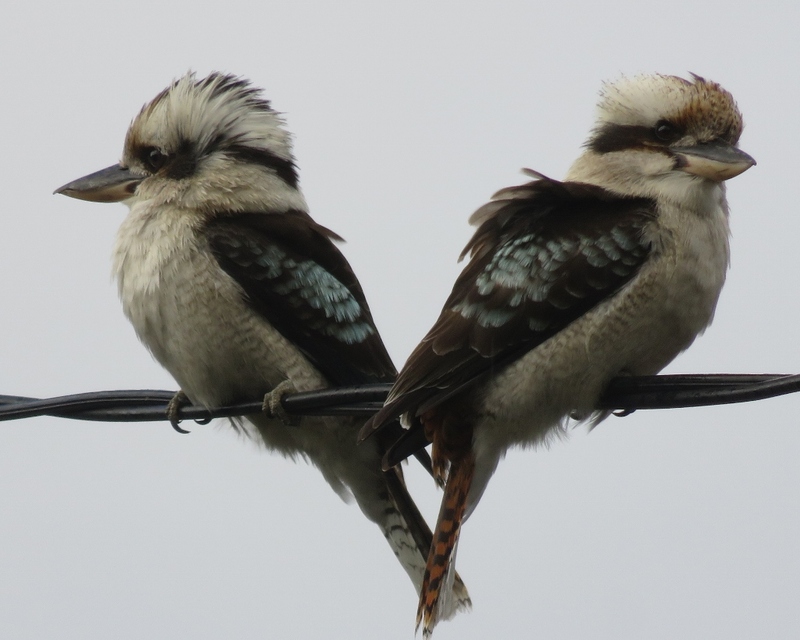 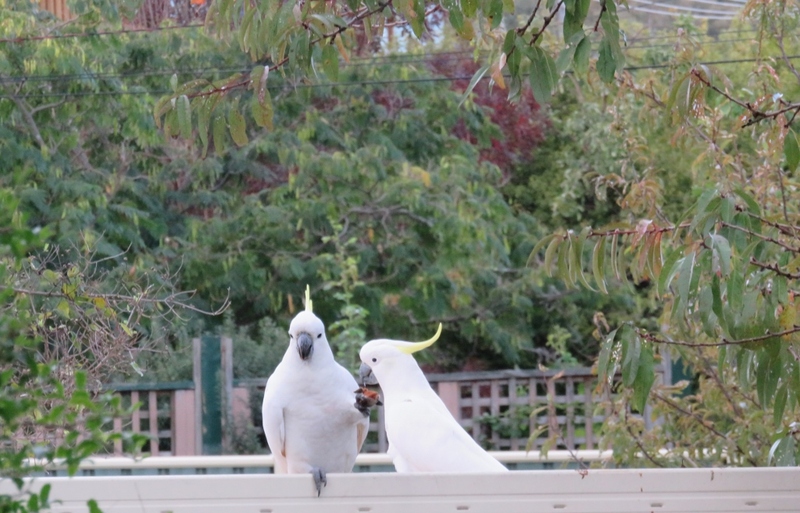 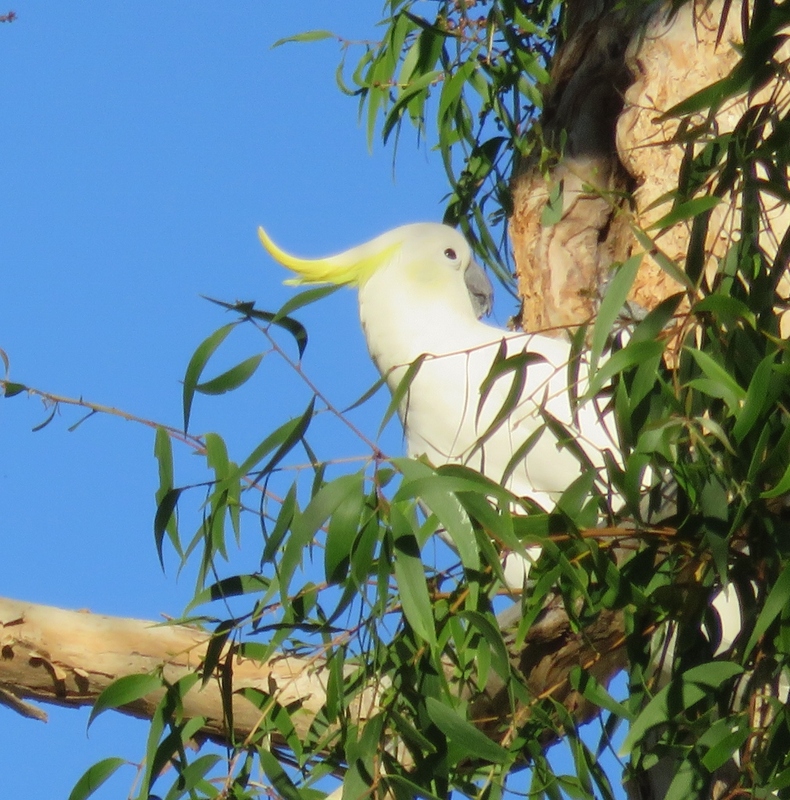 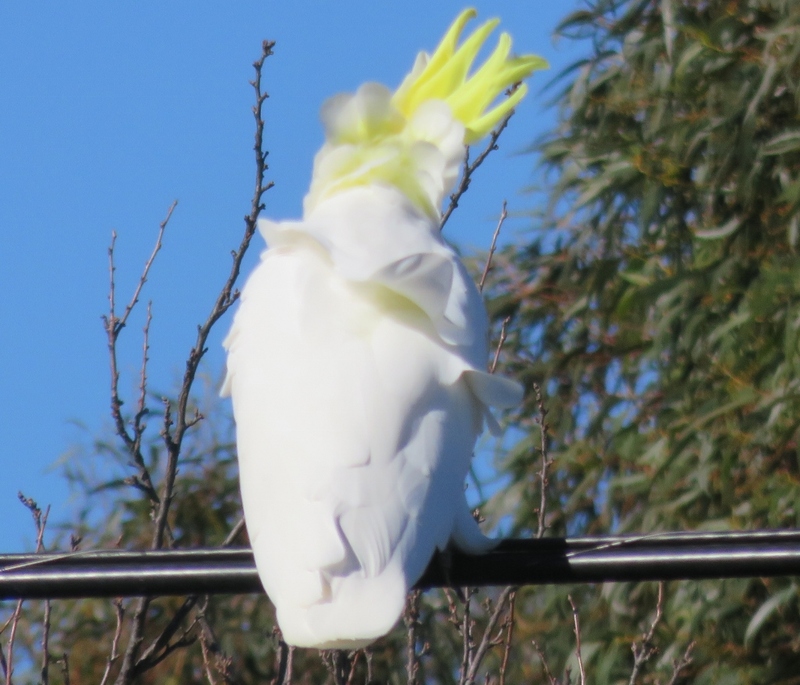 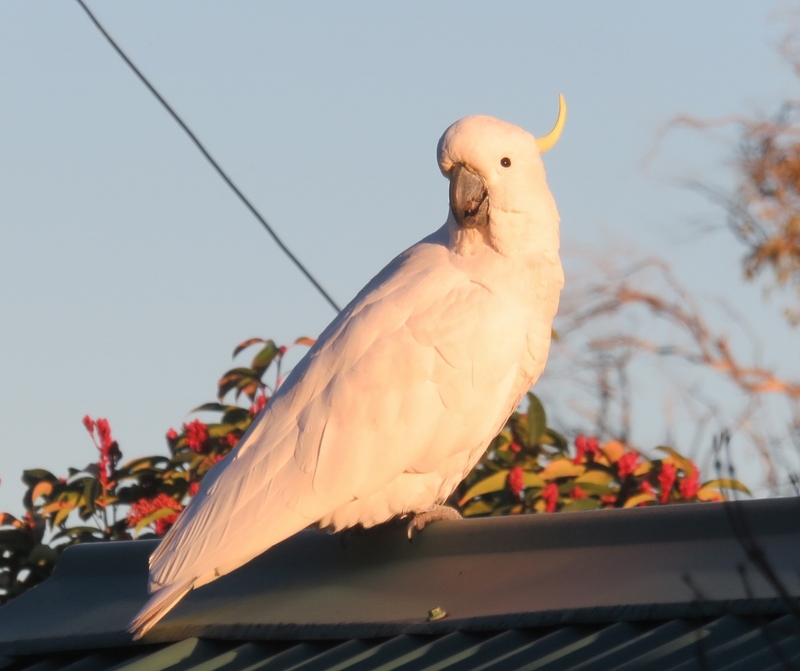 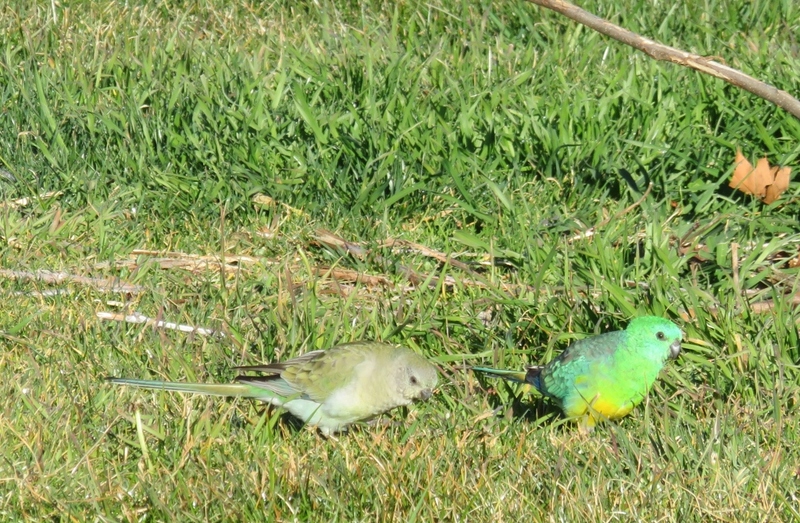 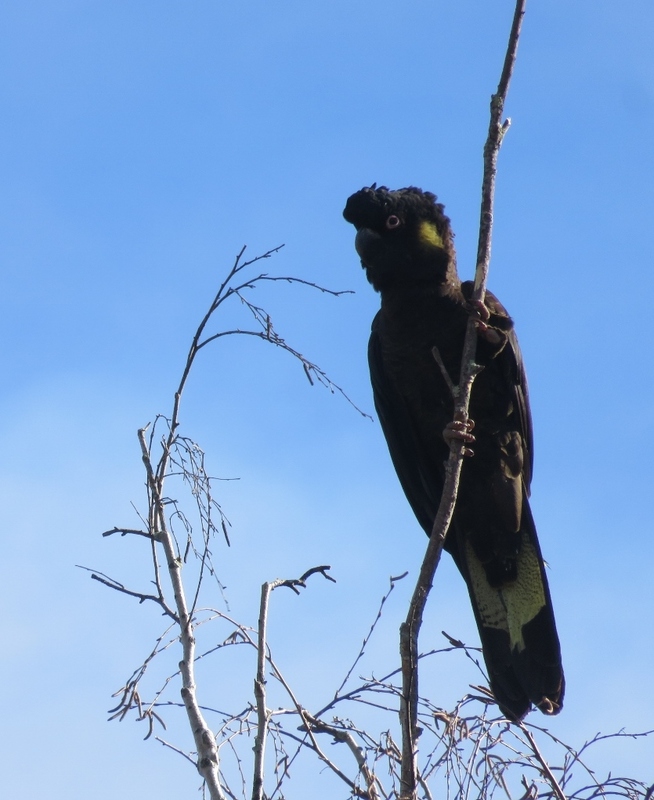 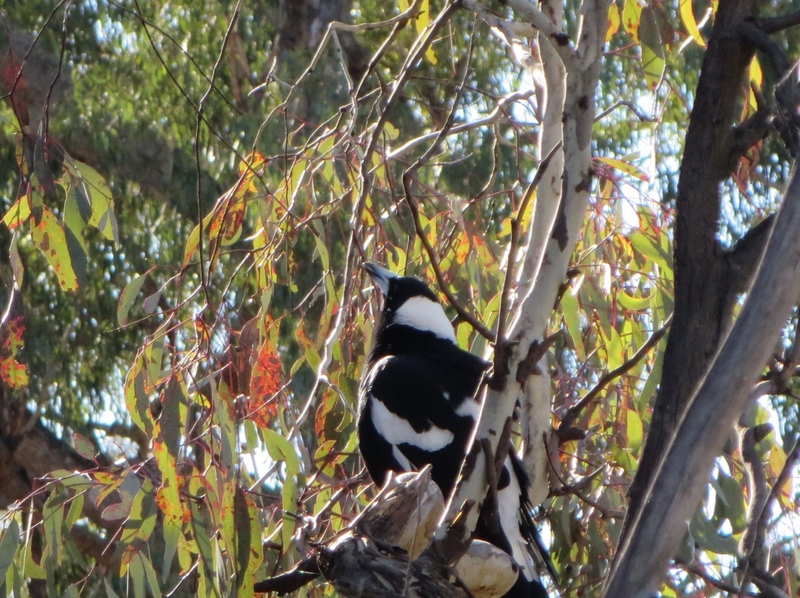 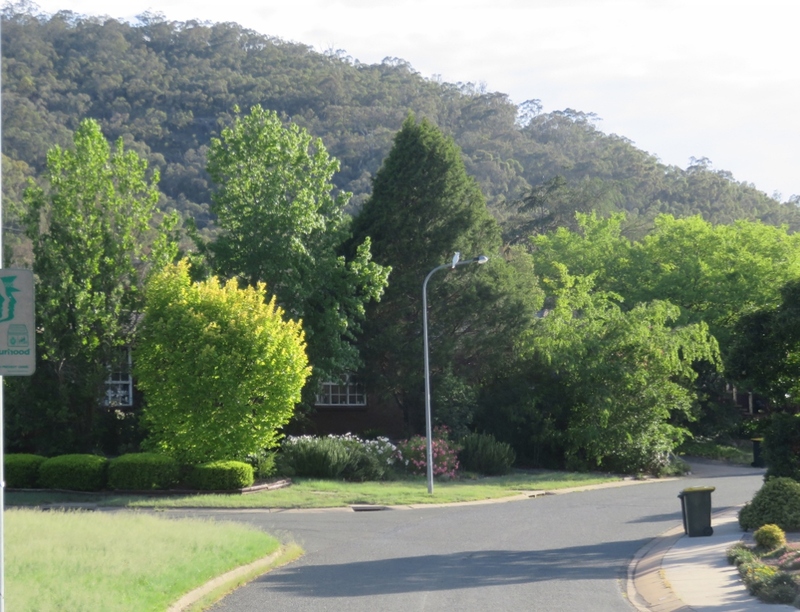 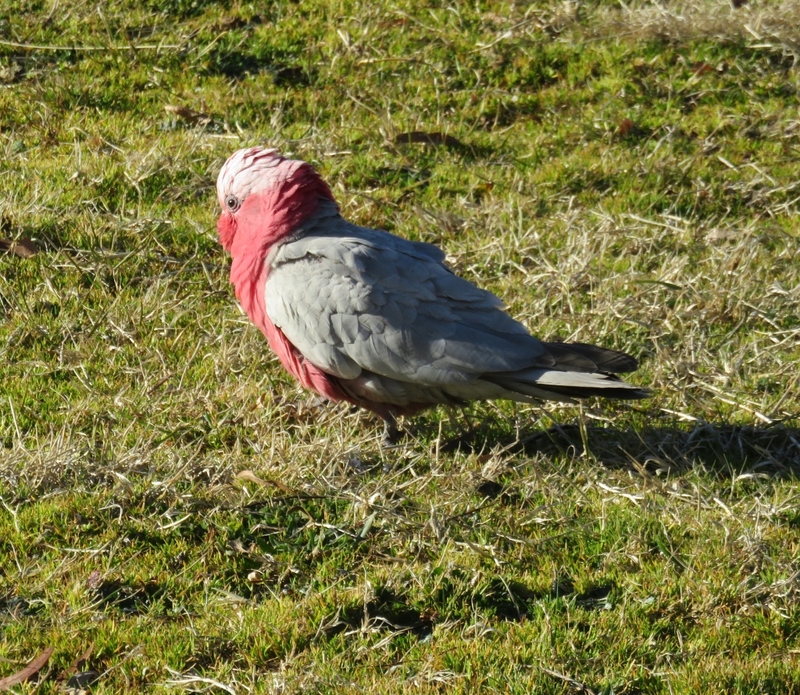 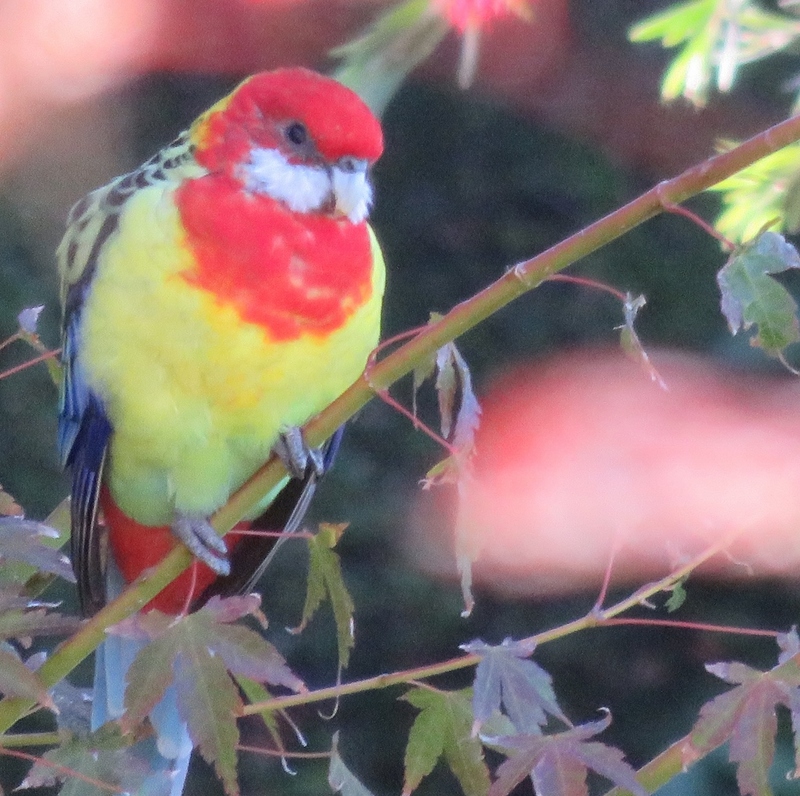 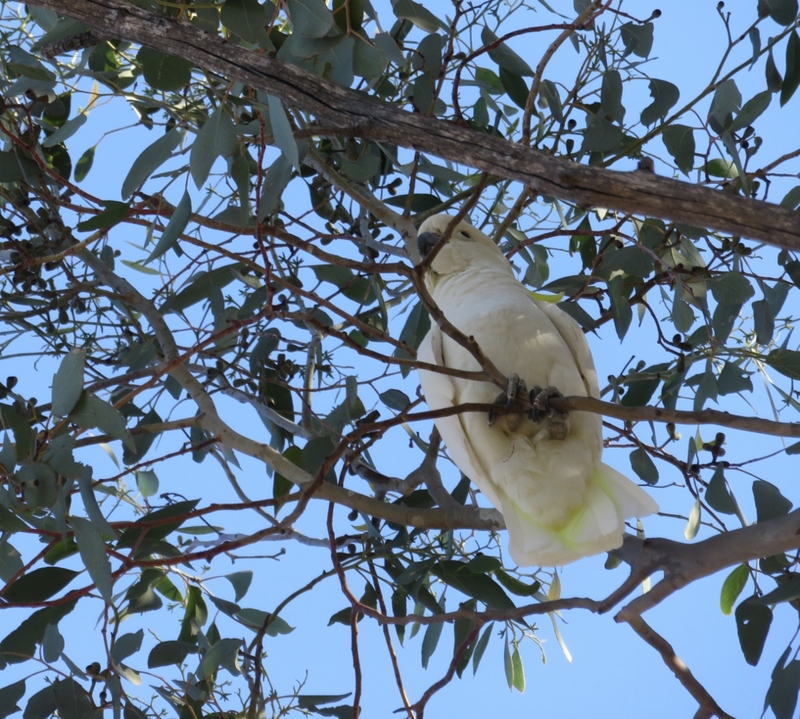 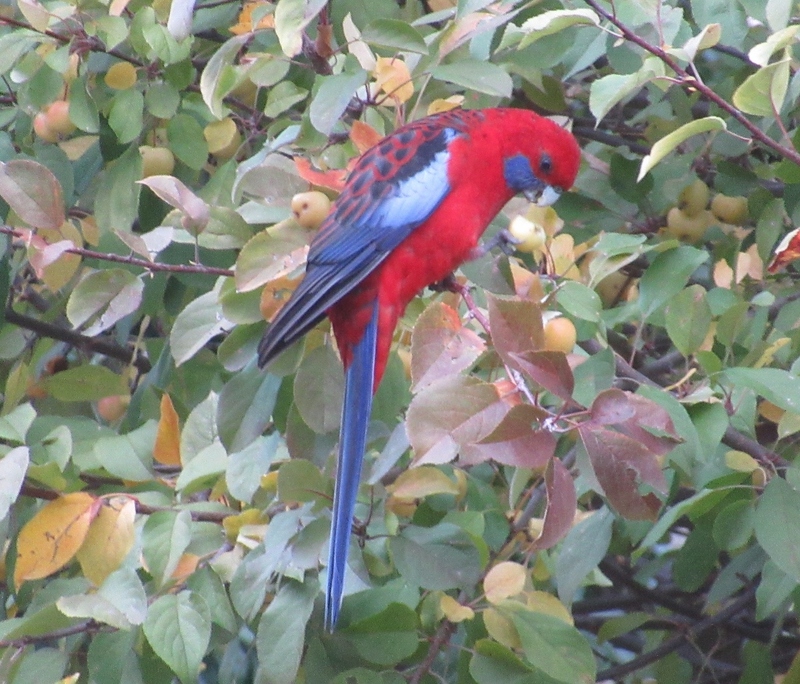 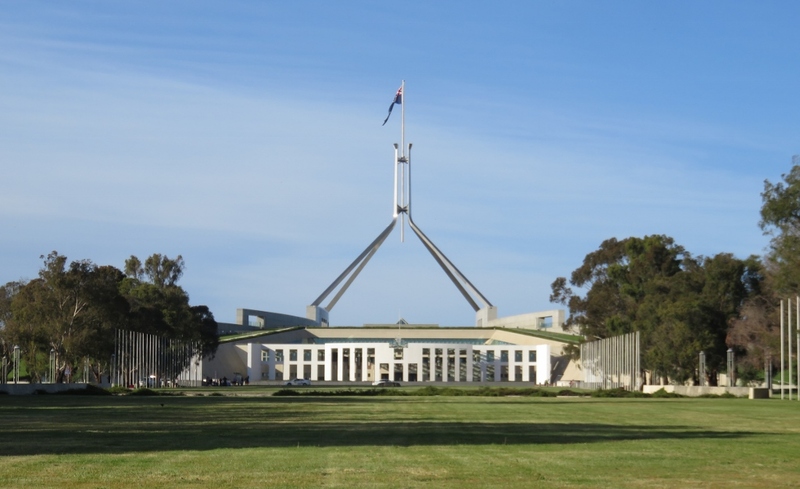 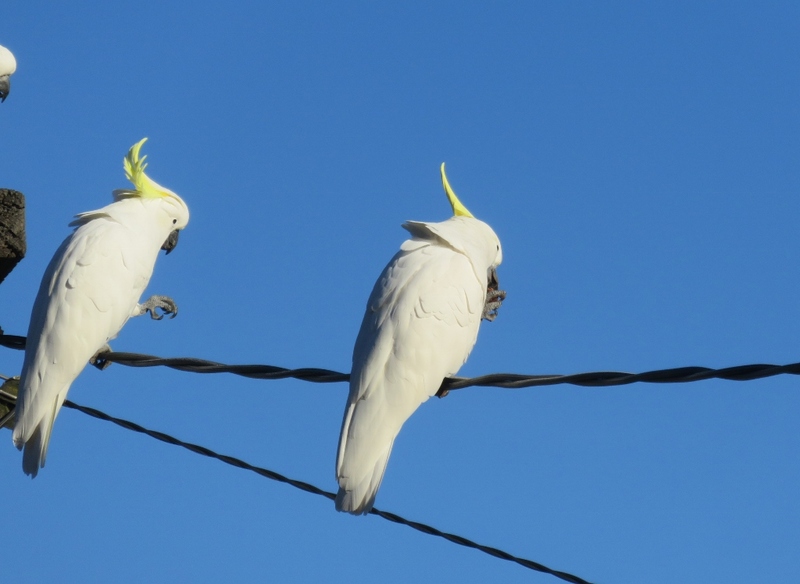 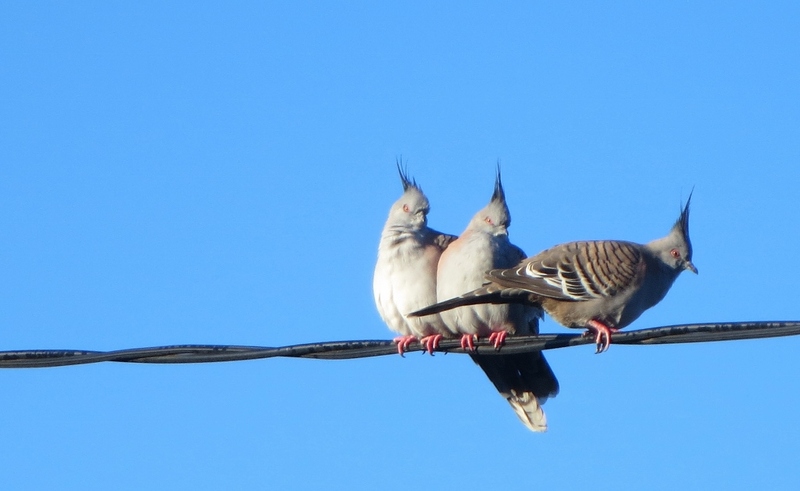 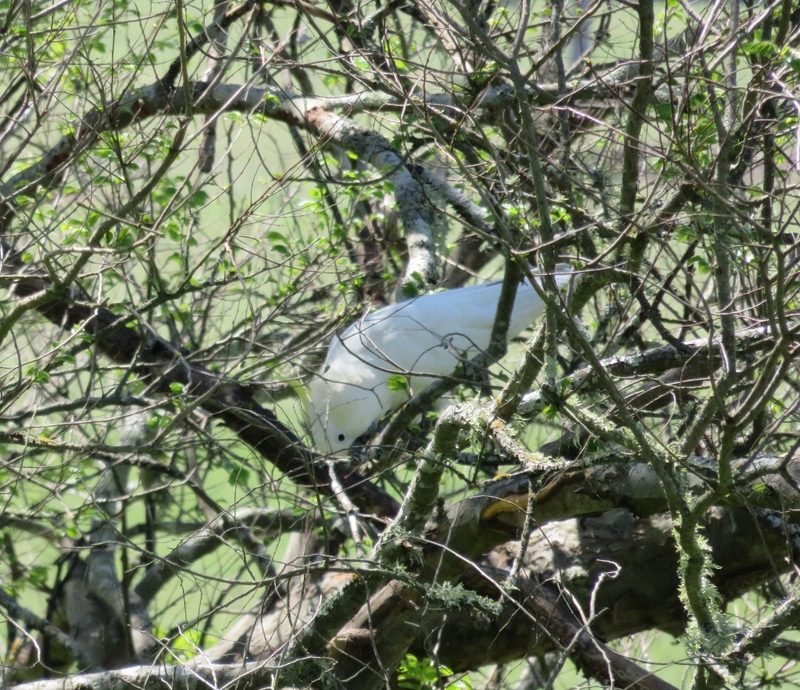 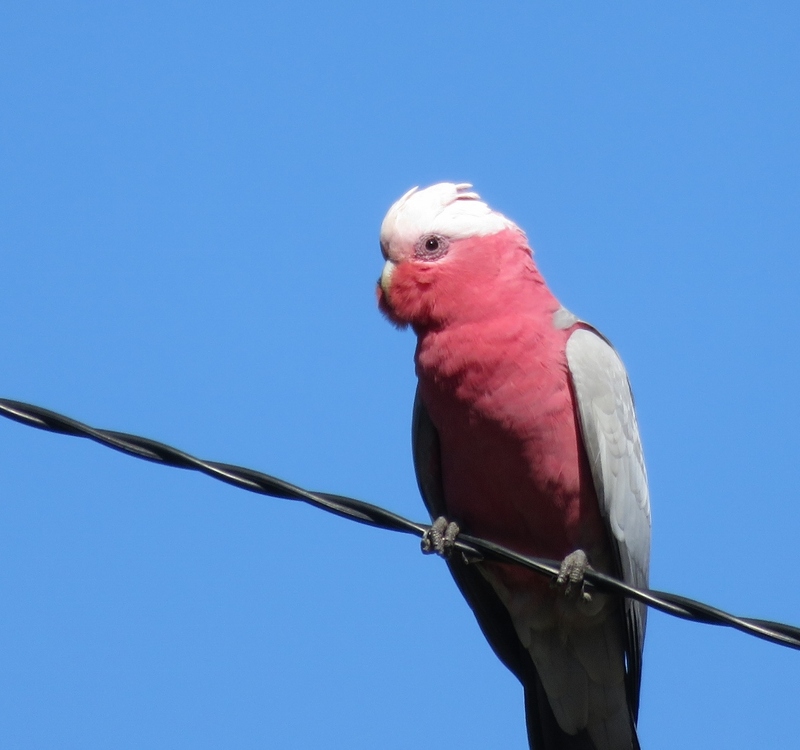 This would not be a post about Canberra if I didn’t include some of our resident Sulphur Crested Cockatoos…….a number of them spend time around Parliament House, no doubt using the Eucalyptus trees for nesting, and the acorn trees for food. 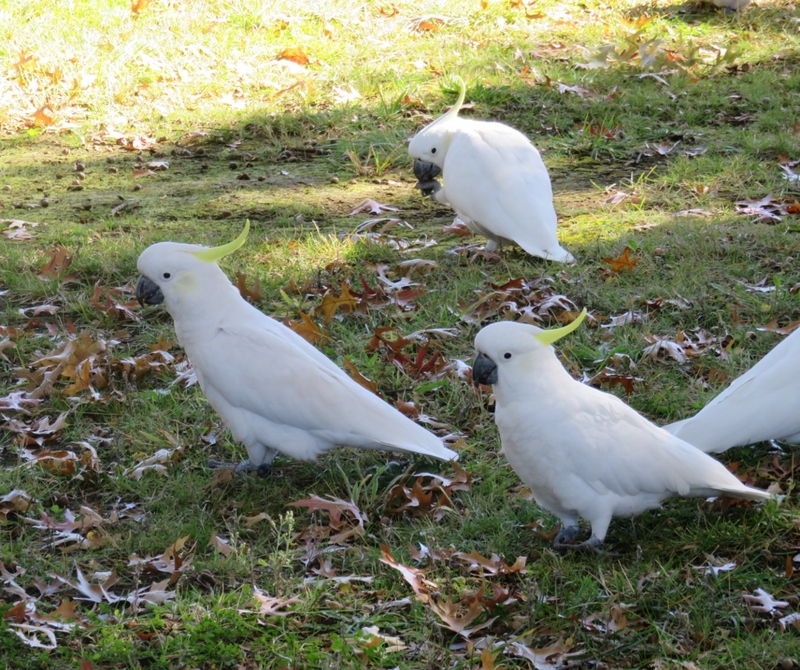 Sulphur Crested Cockatoos eating on the grass around Old Parliament House in autumn. 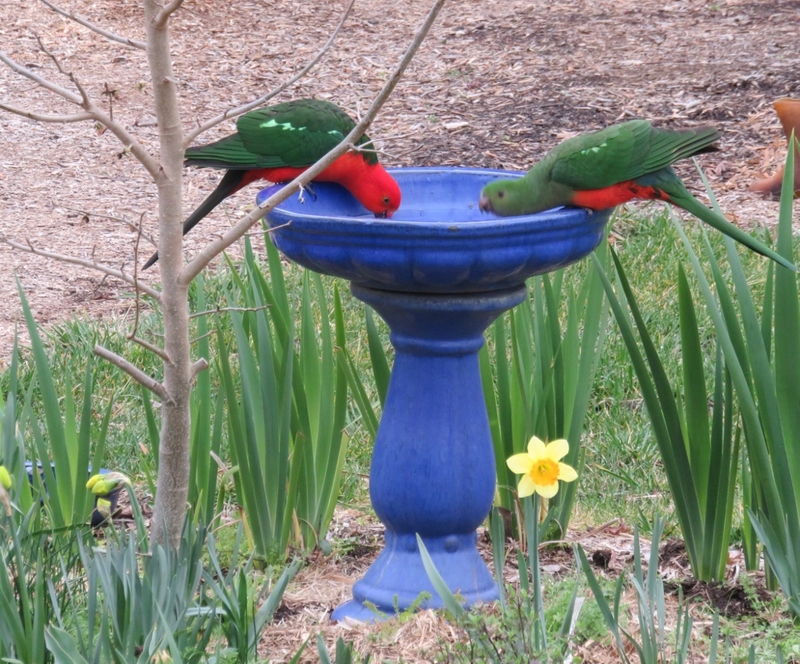 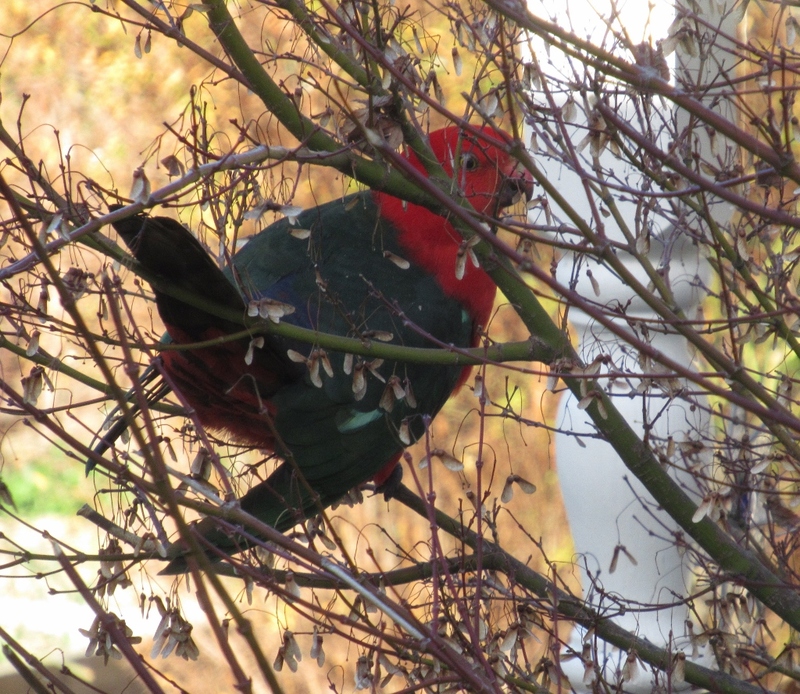 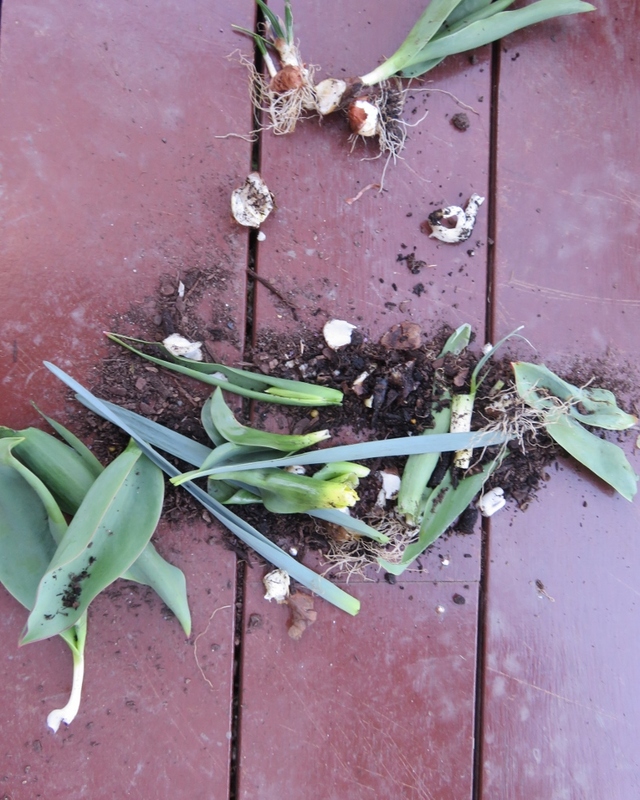 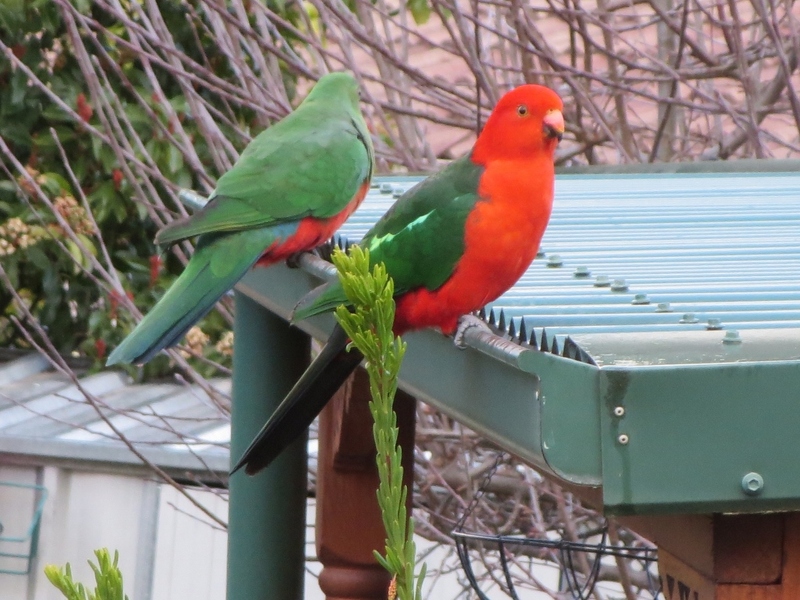 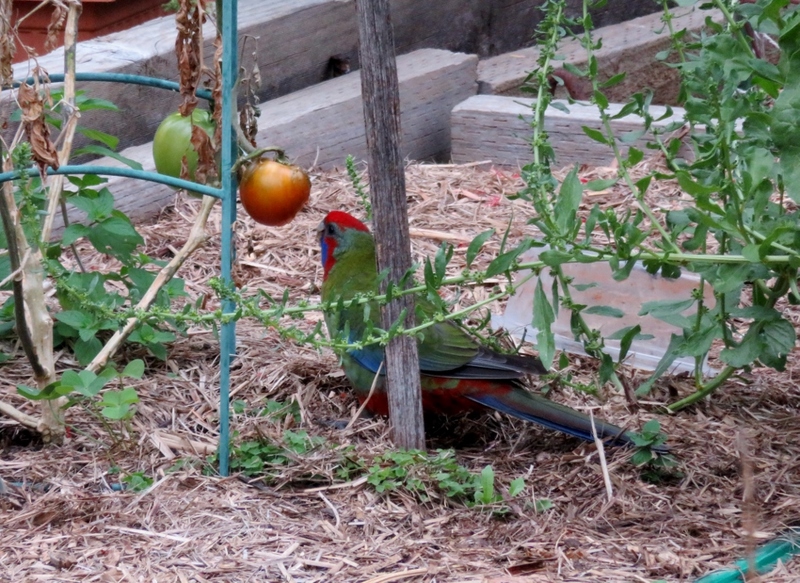 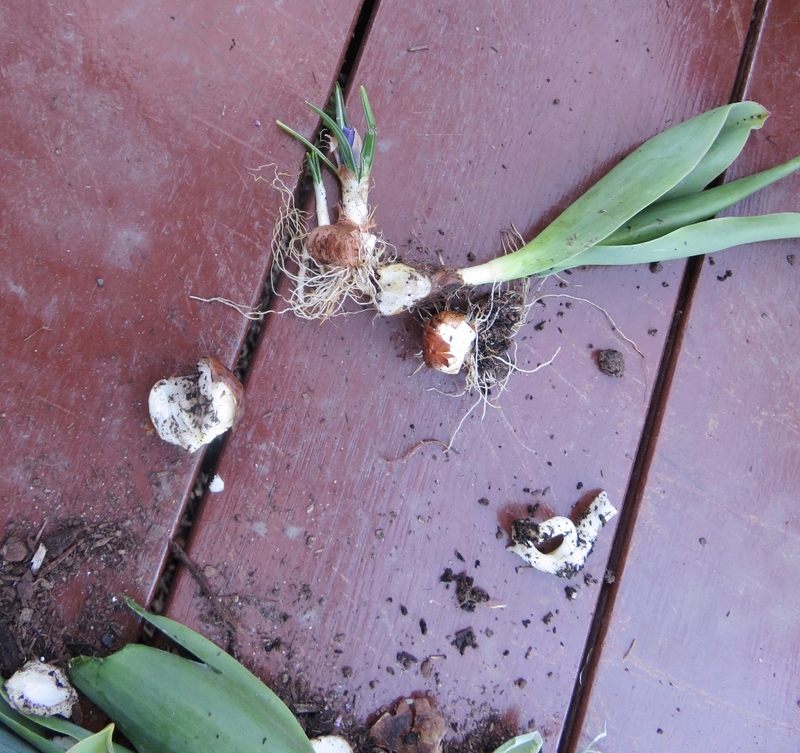 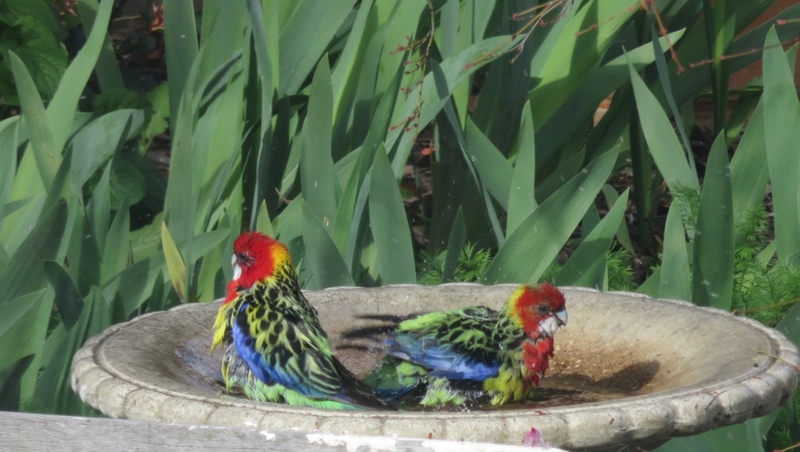 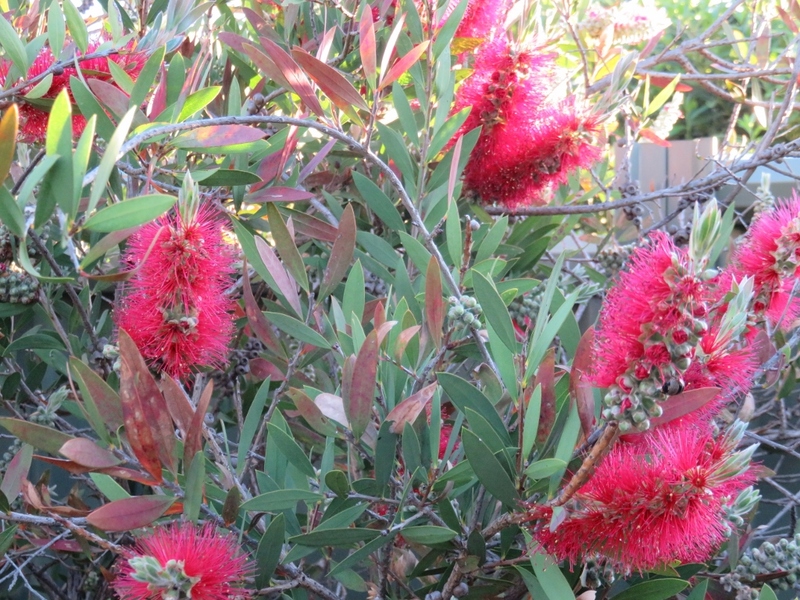 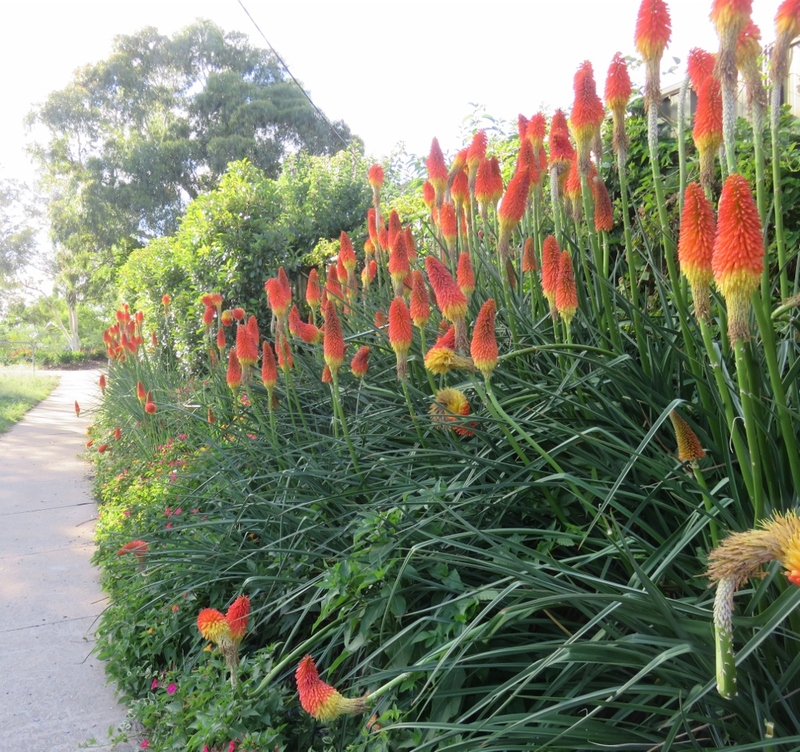 I haven’t check with the gardeners, but I suspect the Cockatoos have a penchant for loping the stems of tender colourful plants, like roses, and may be a mixed blessing here. 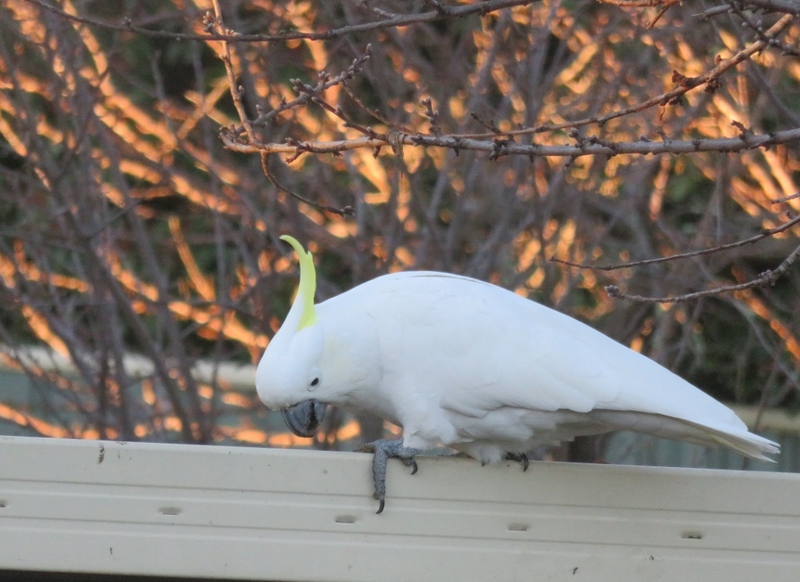 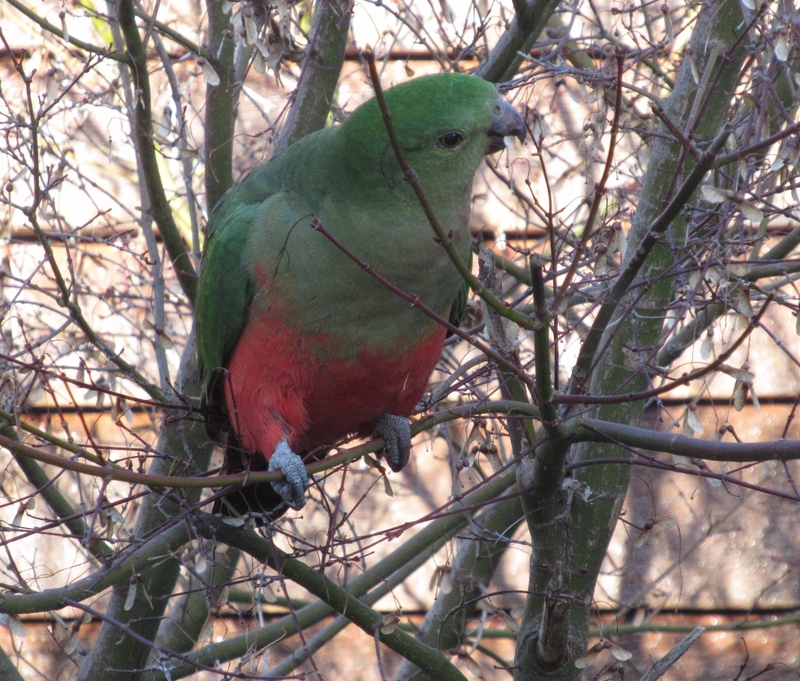 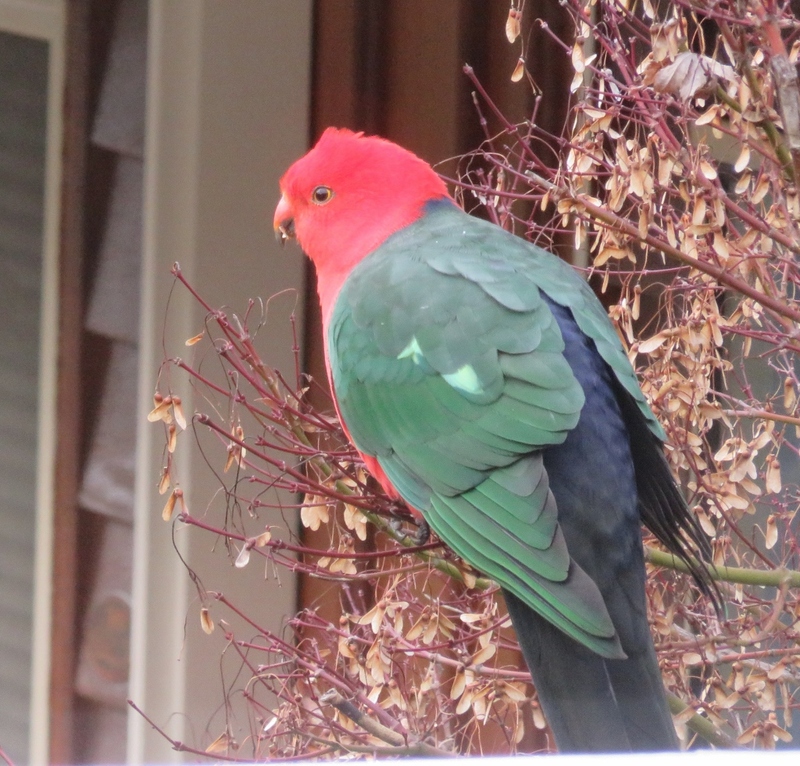 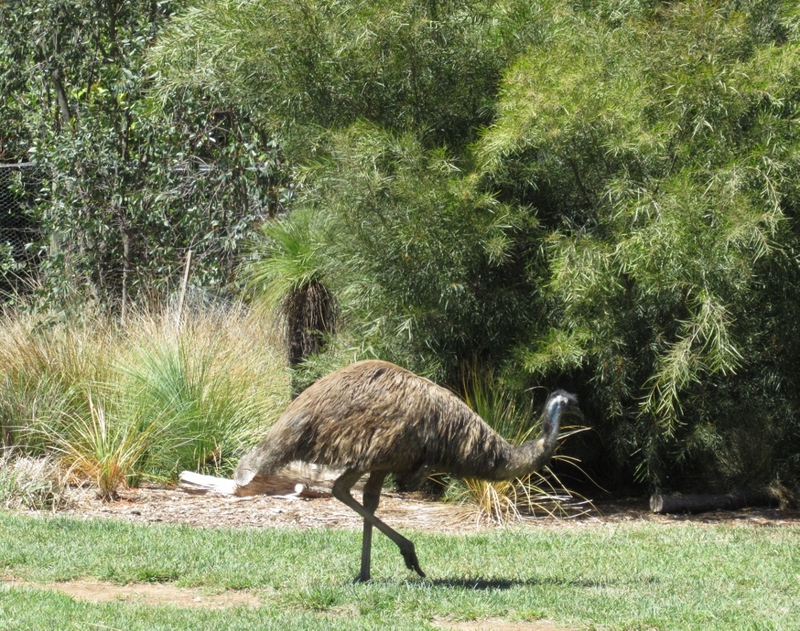 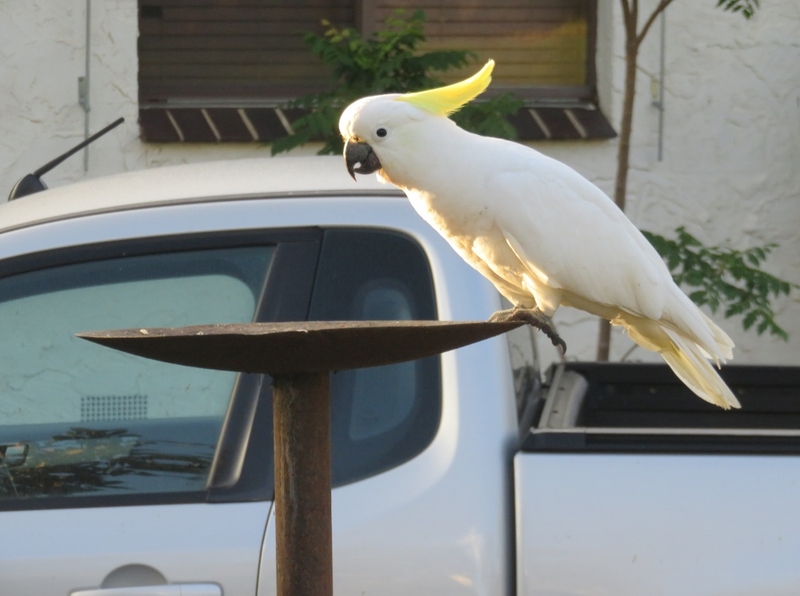 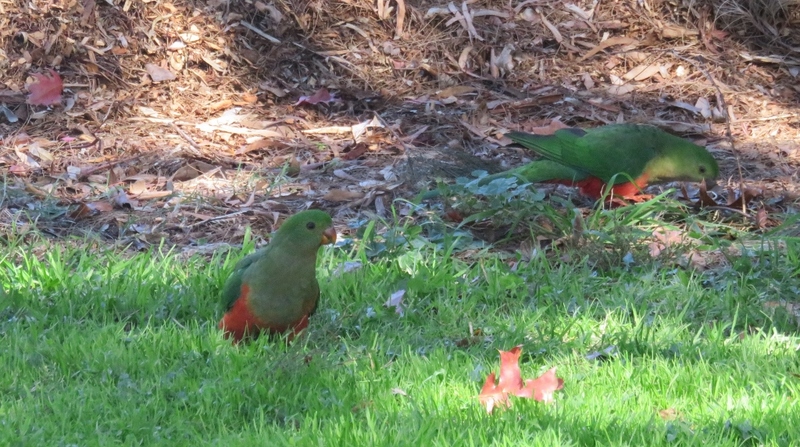 ….. but there is something endearingly Australian about having recalcitrant Cockatoos in residence so close to the seat of government. 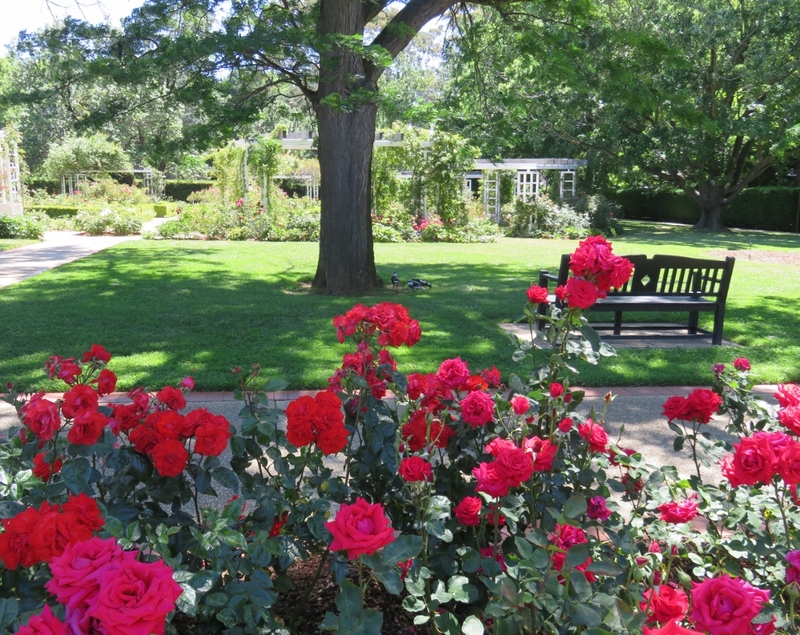 This entry was posted in Canberra's Public Gardens and tagged Canberra Old Parliament House Rose Gardens, cockatoos, Floribunda Roses, House of Represntative Gardens, Hybrid Tea Roses, Ladies Rose garden, Macarthur Rose Garden, politicans, Robert Broinowski, roses on February 10, 2017 by germac4.